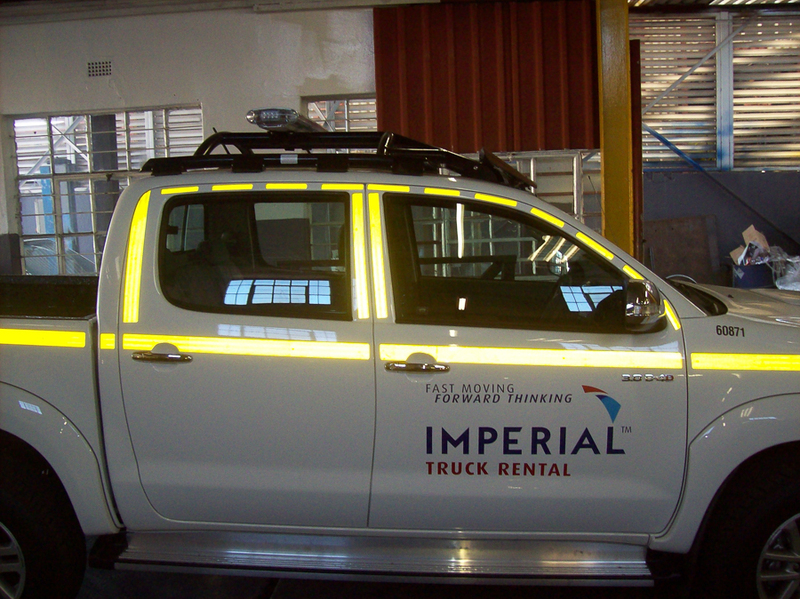 We strive to render high quality service and skills, without compromising the safety or integrity of the company and our employees. 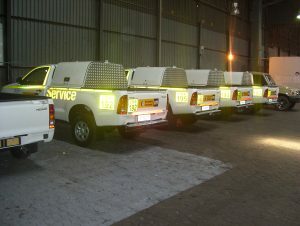 And servicing our customers with their best interest in mind. 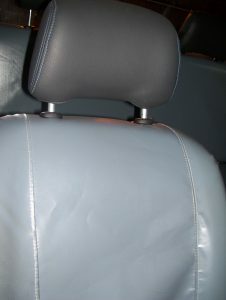 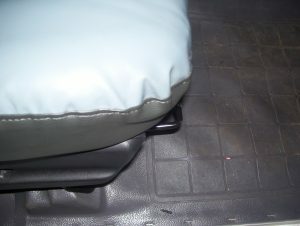 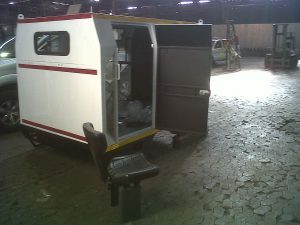 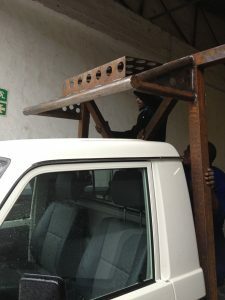 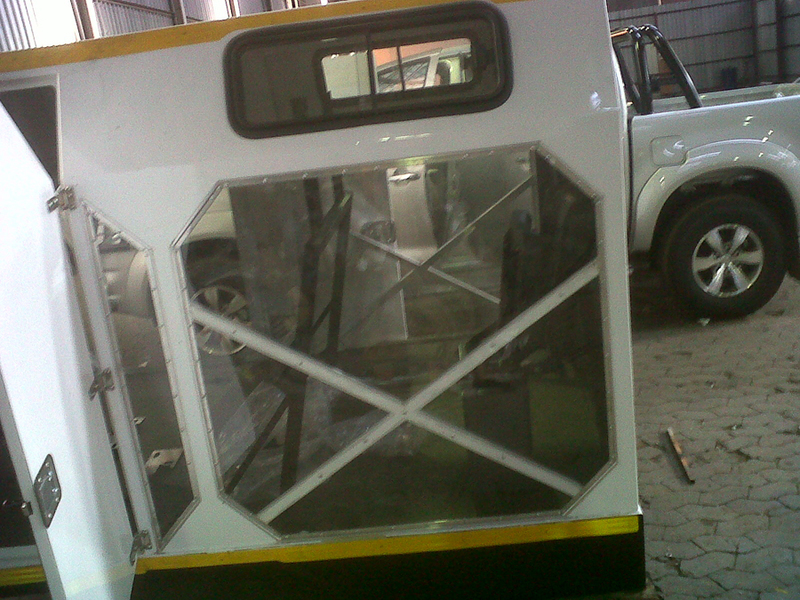 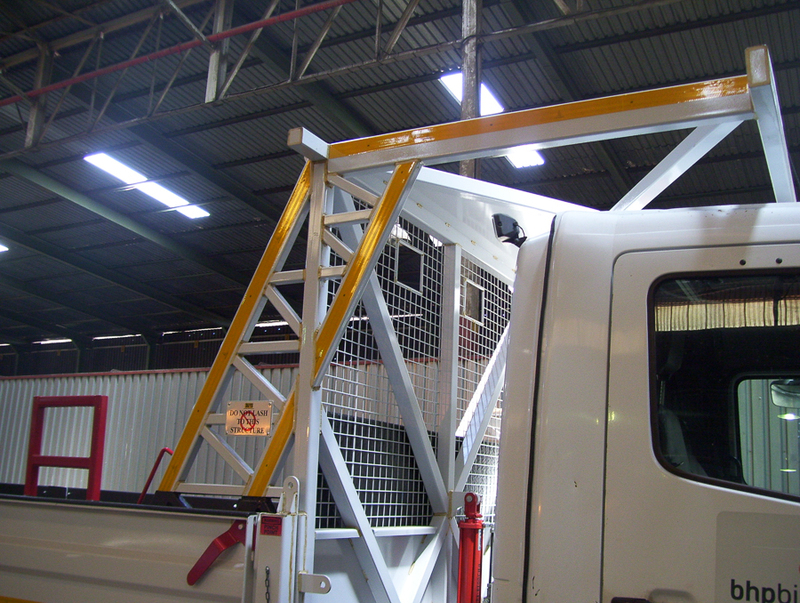 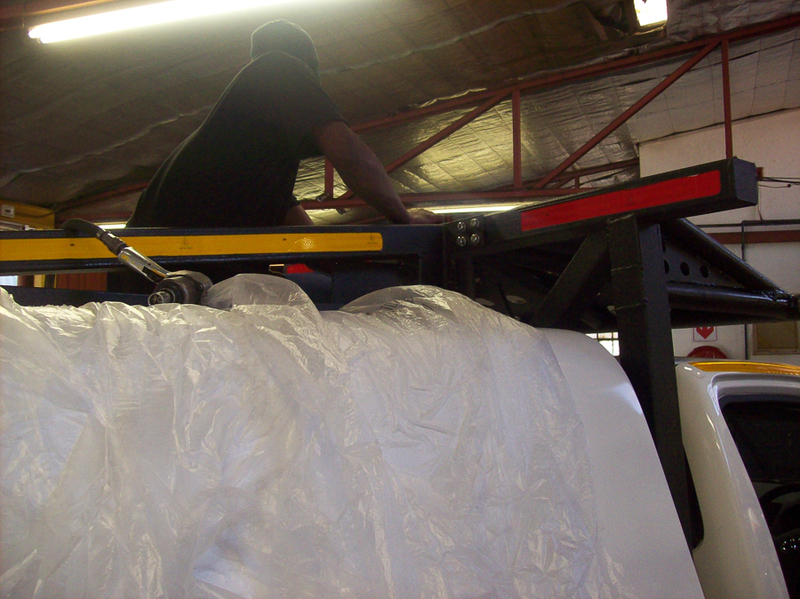 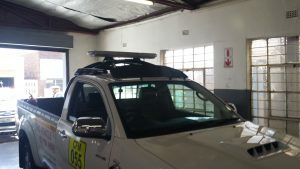 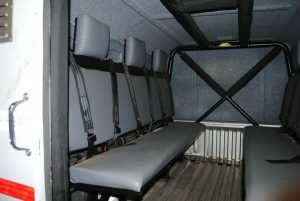 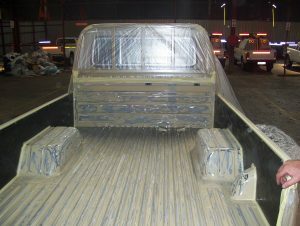 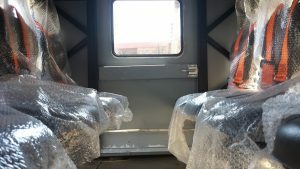 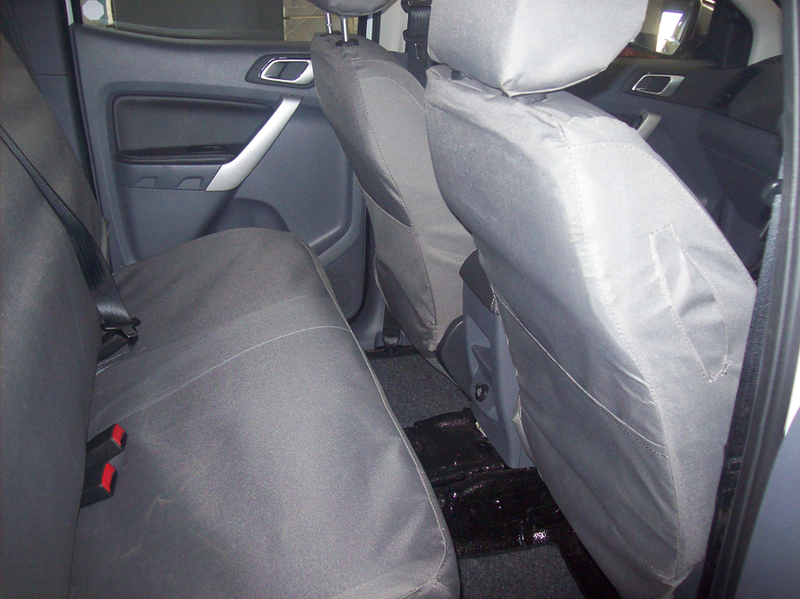 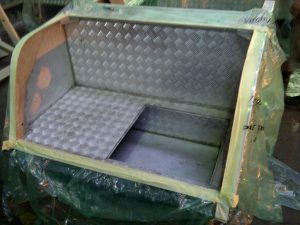 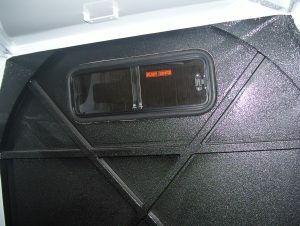 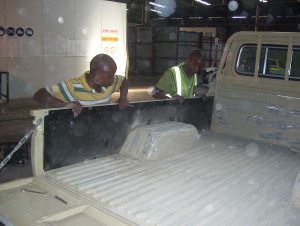 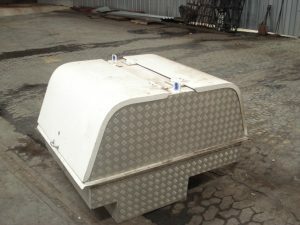 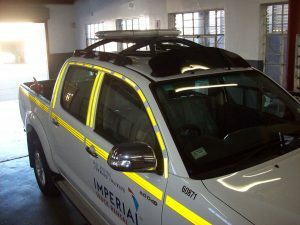 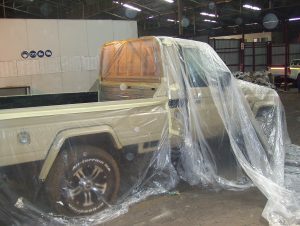 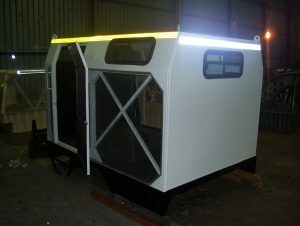 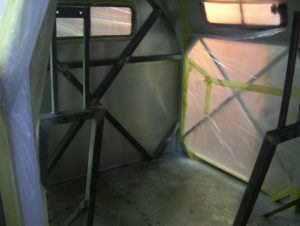 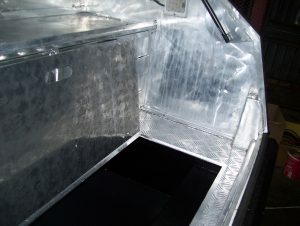 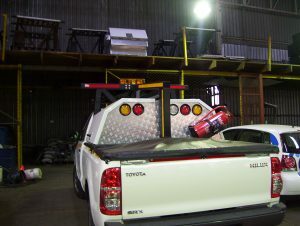 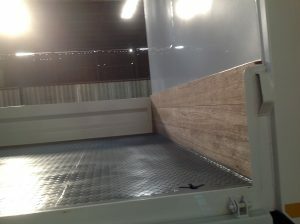 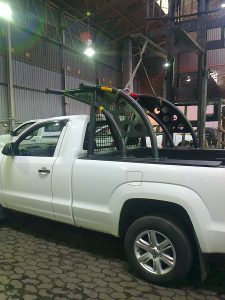 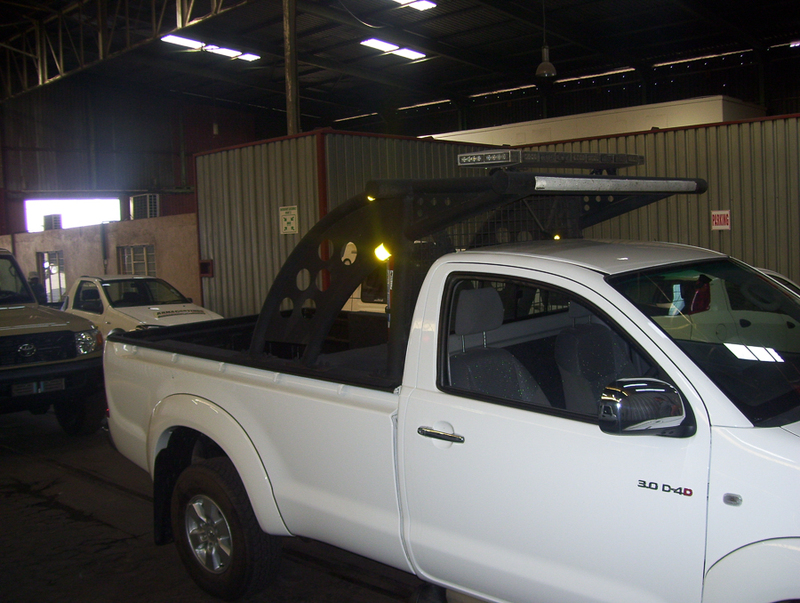 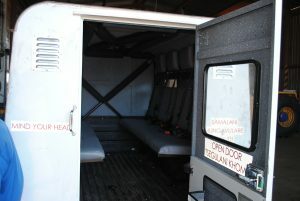 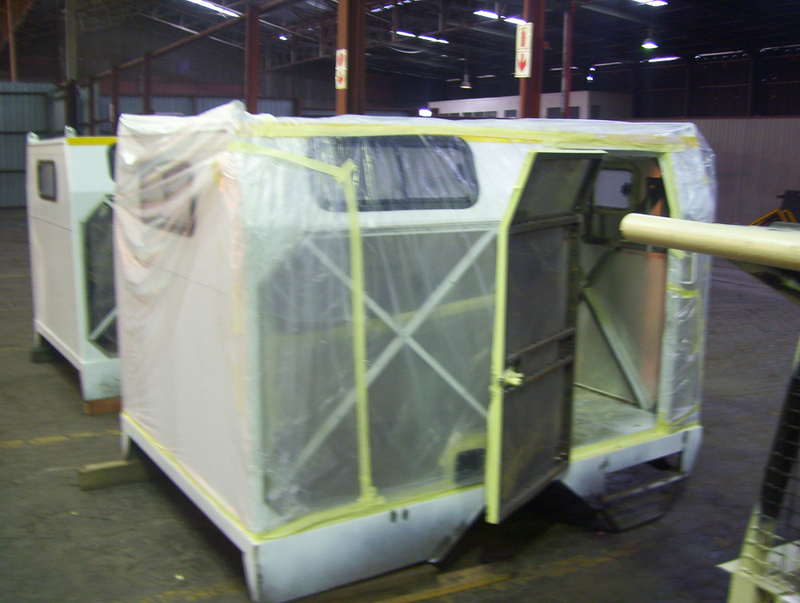 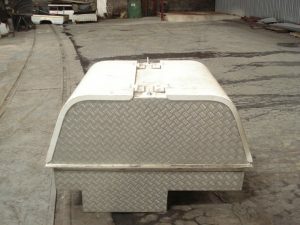 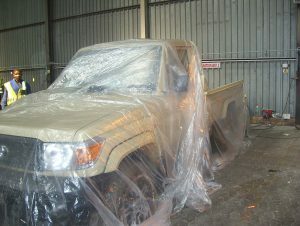 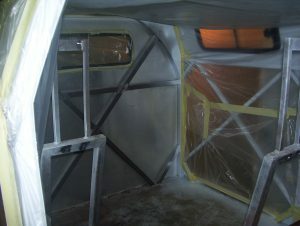 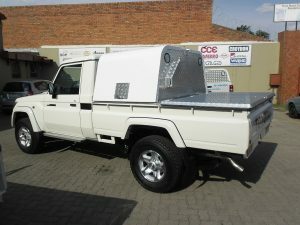 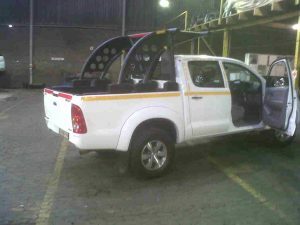 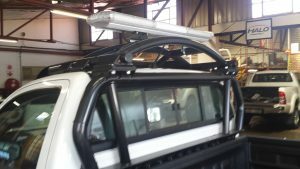 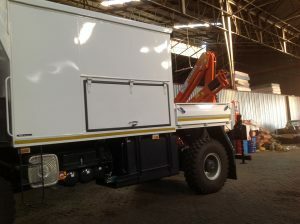 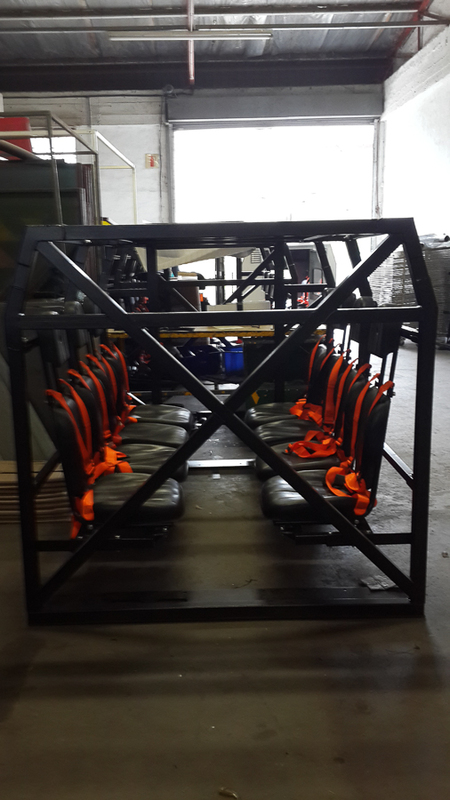 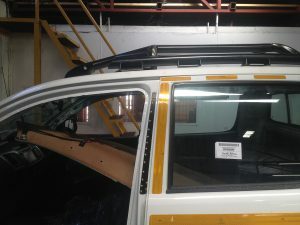 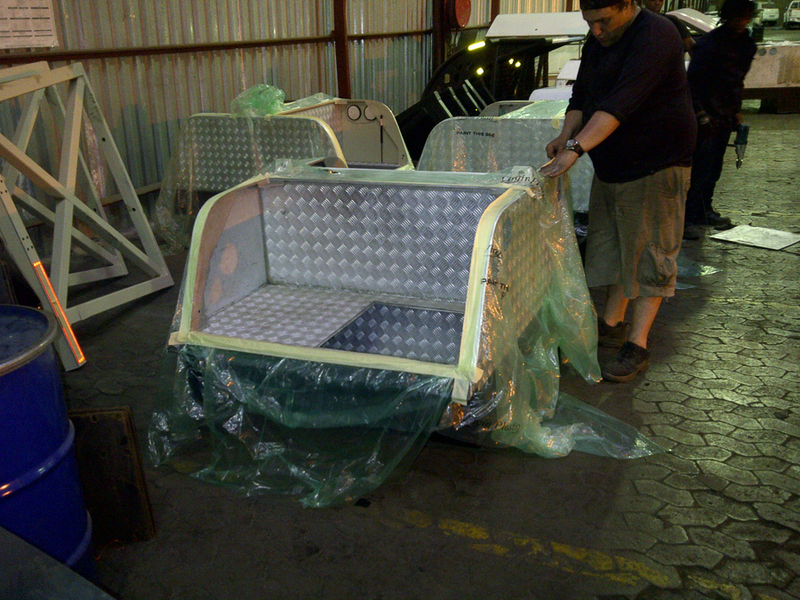 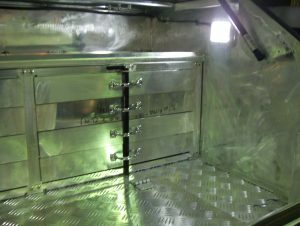 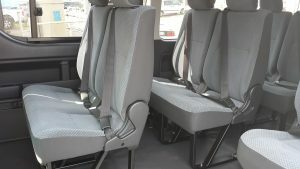 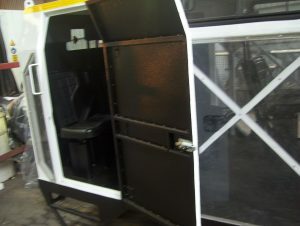 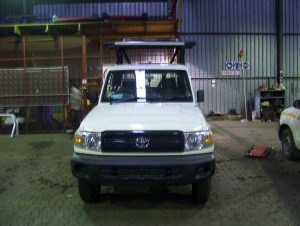 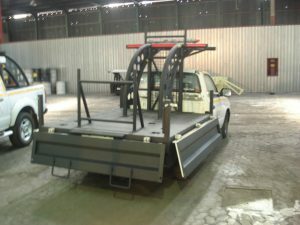 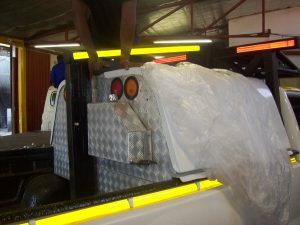 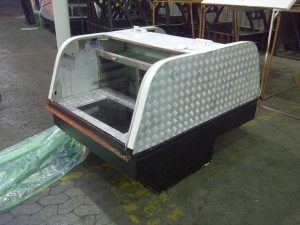 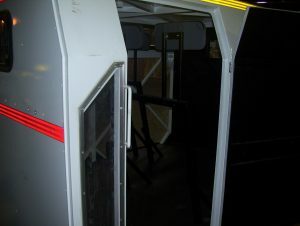 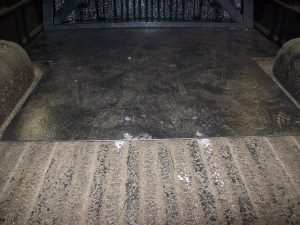 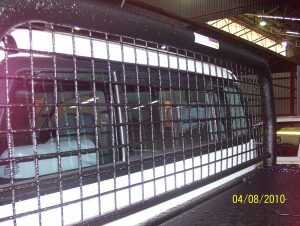 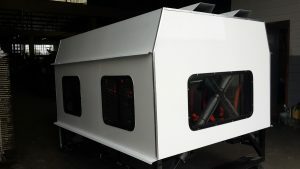 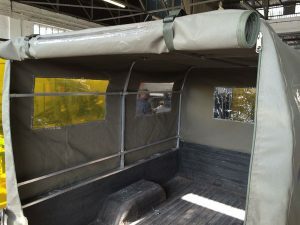 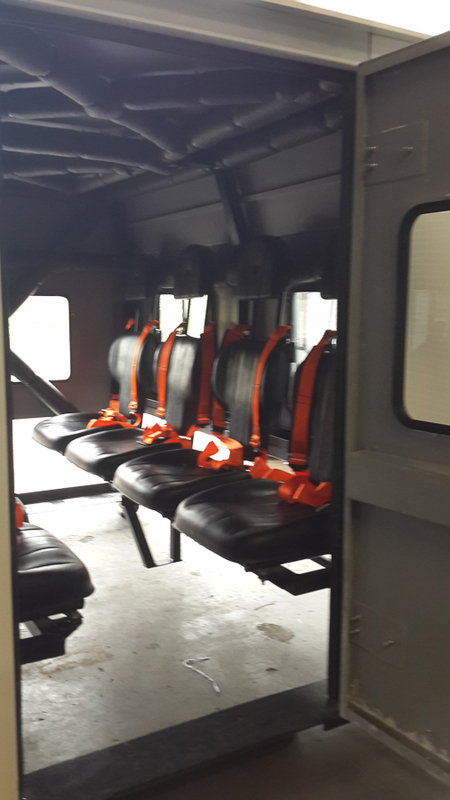 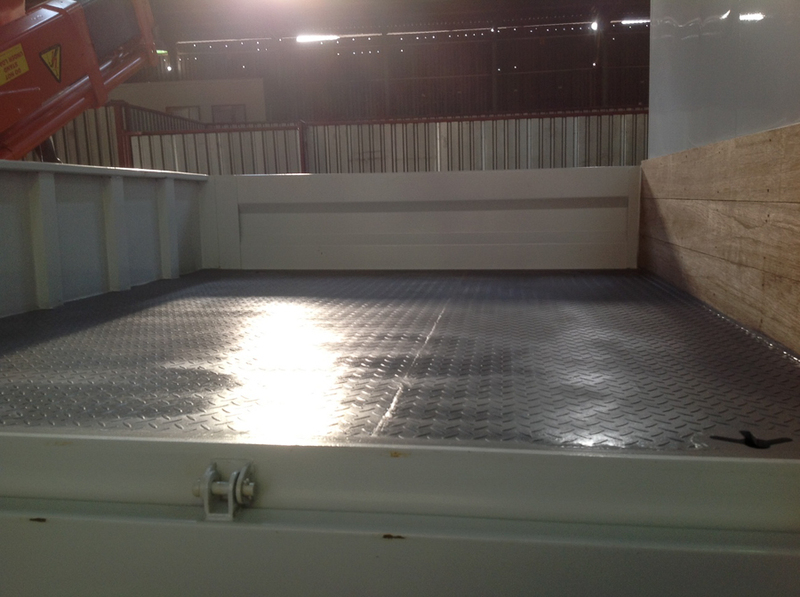 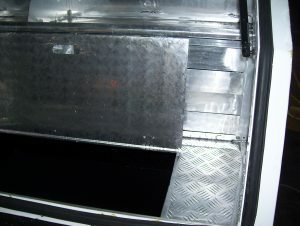 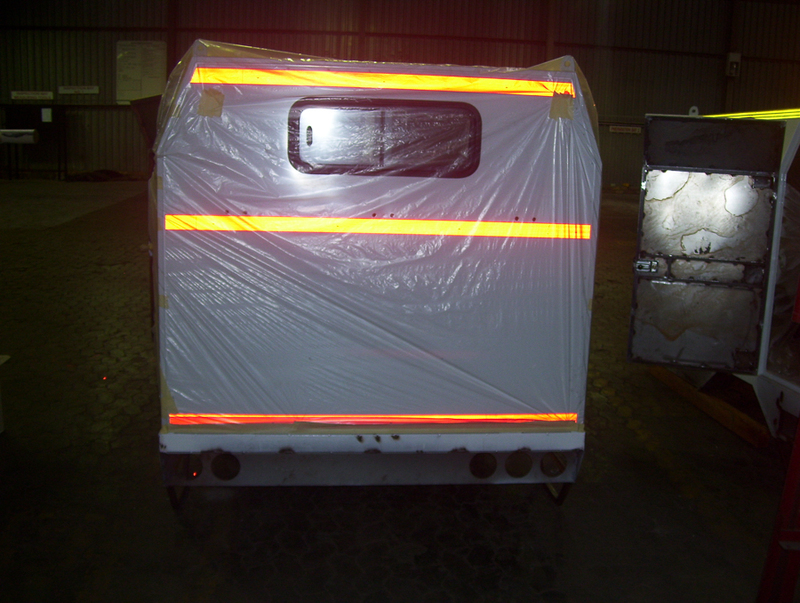 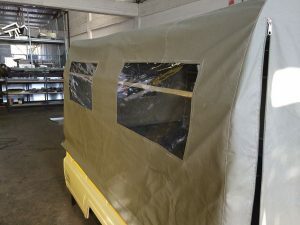 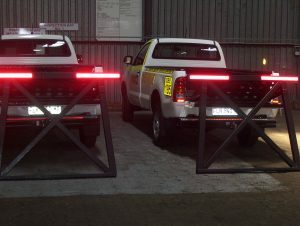 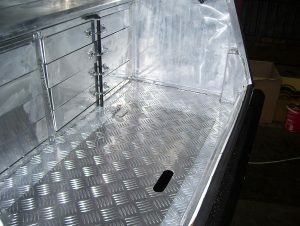 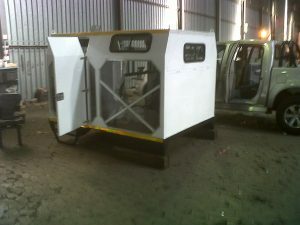 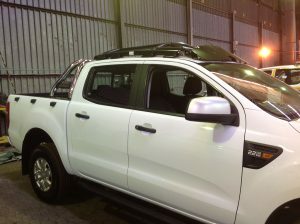 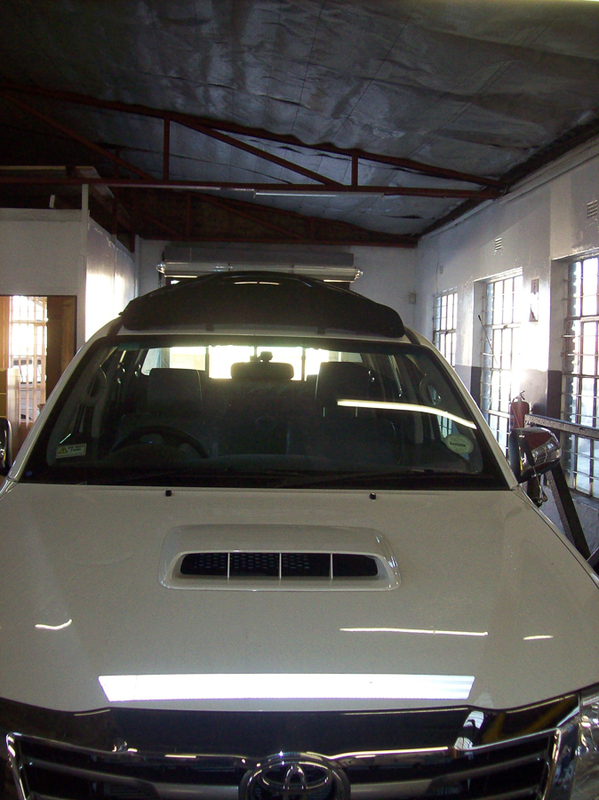 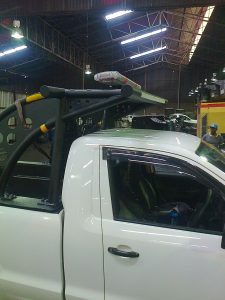 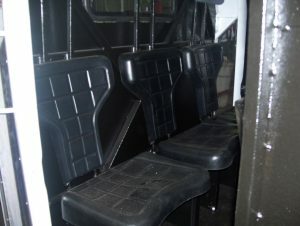 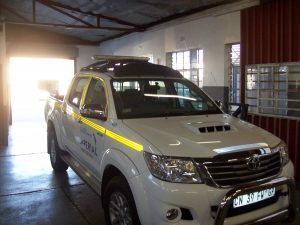 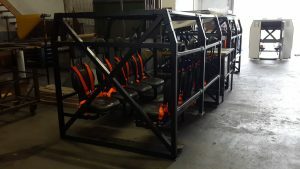 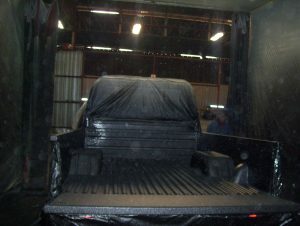 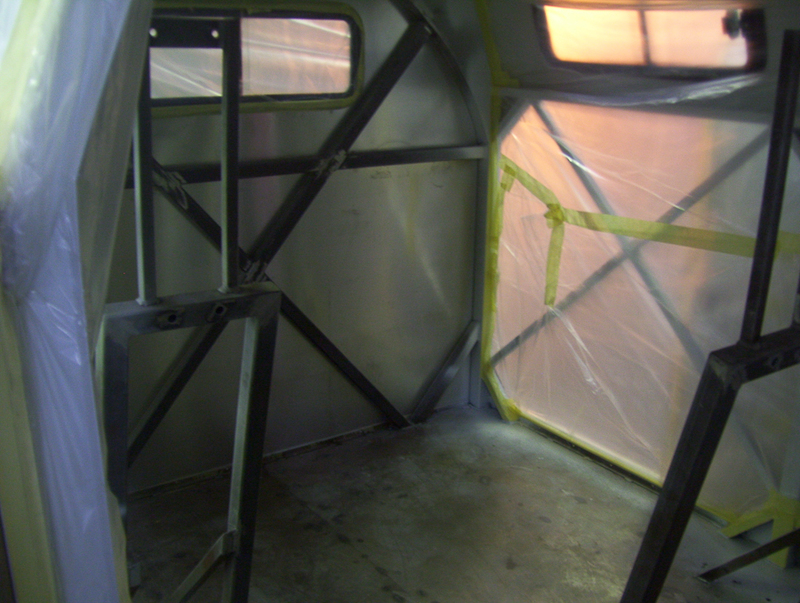 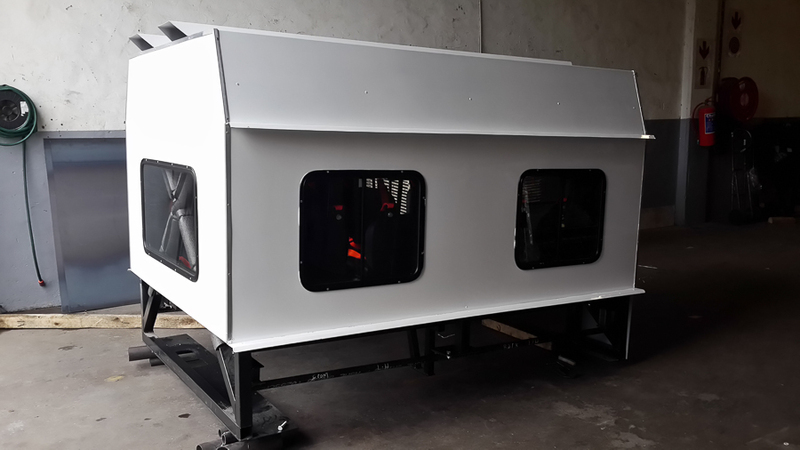 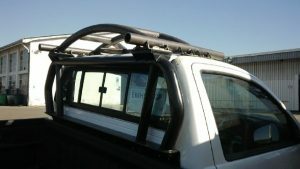 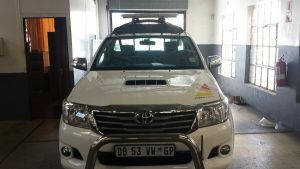 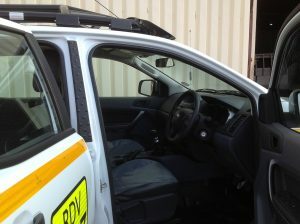 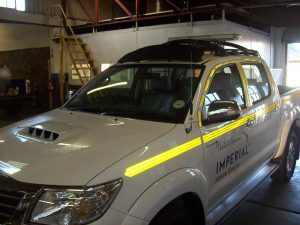 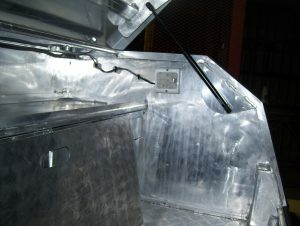 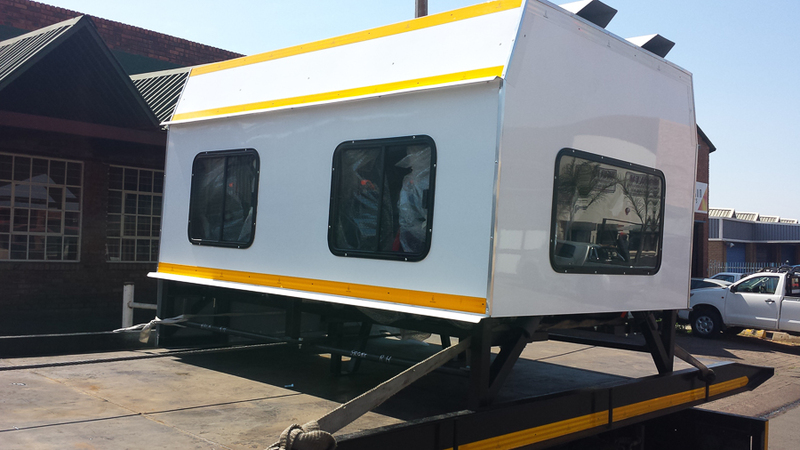 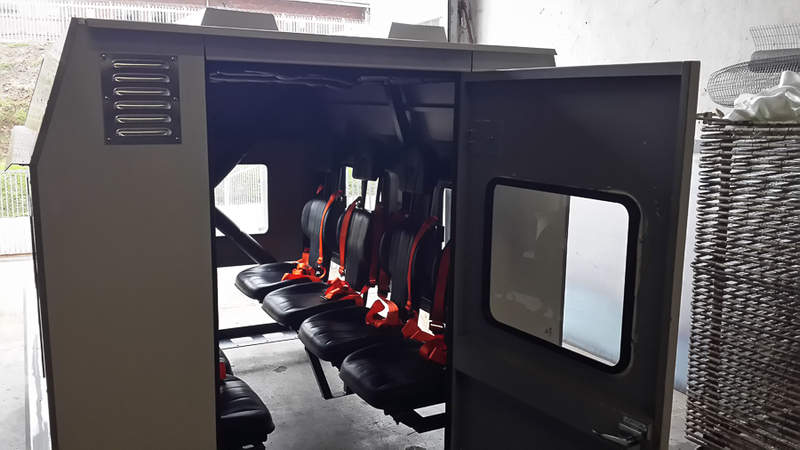 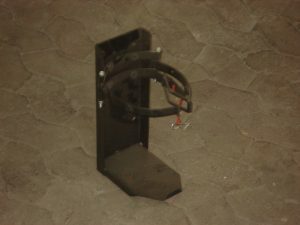 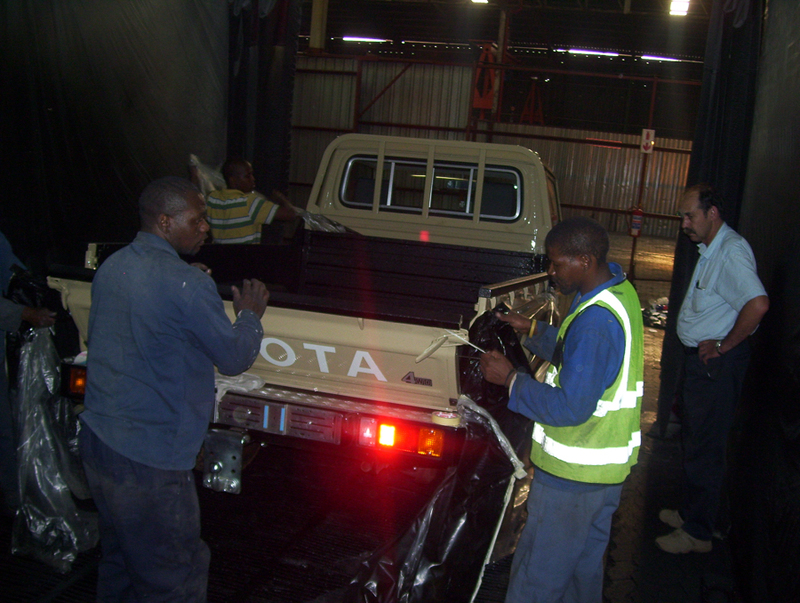 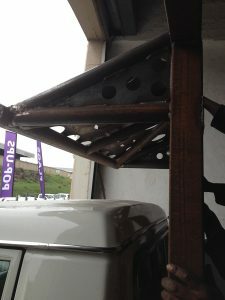 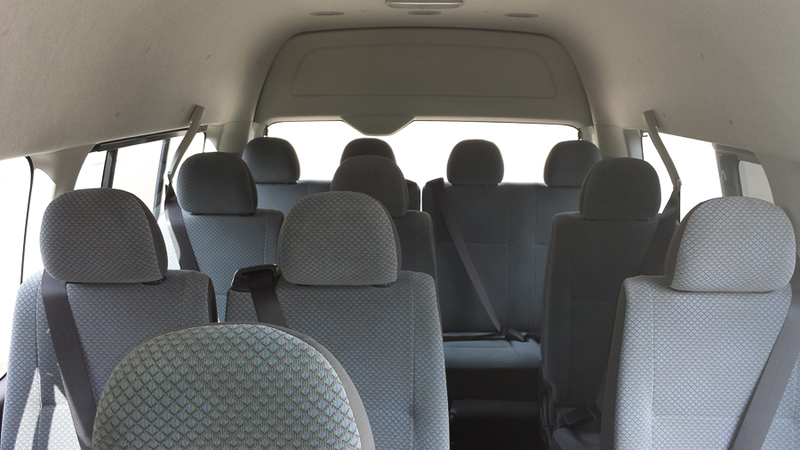 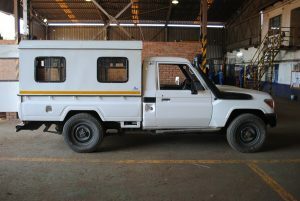 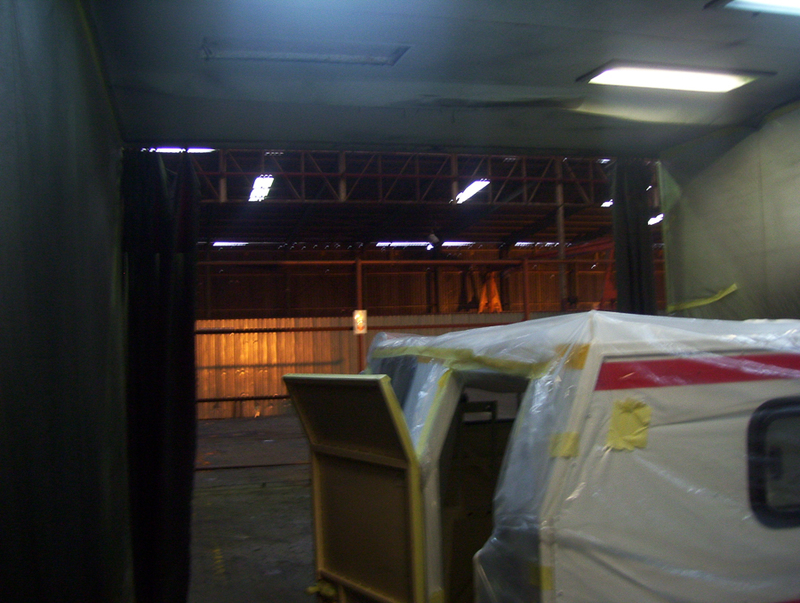 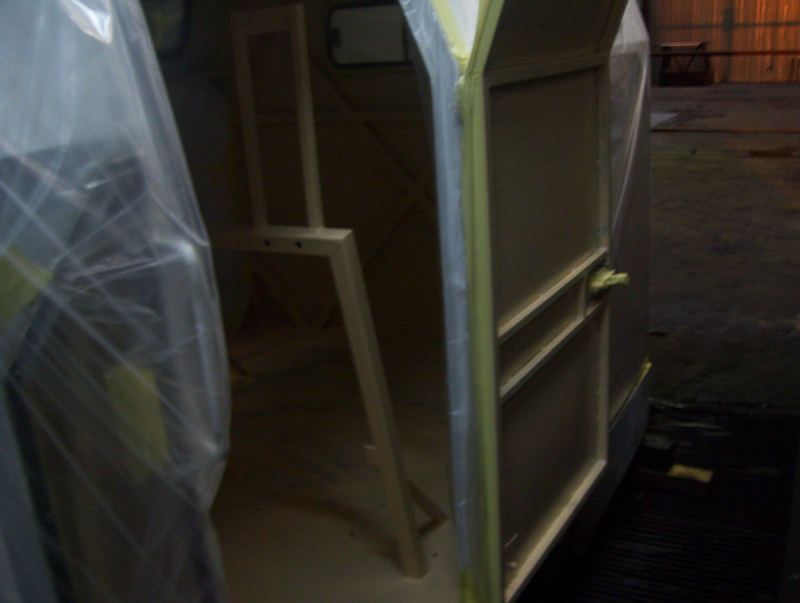 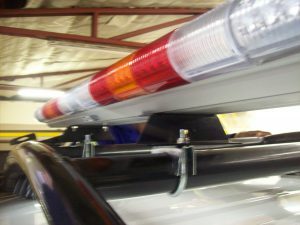 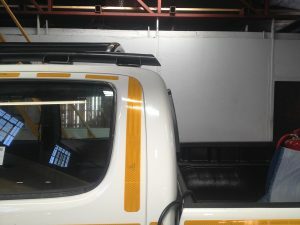 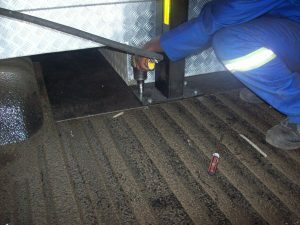 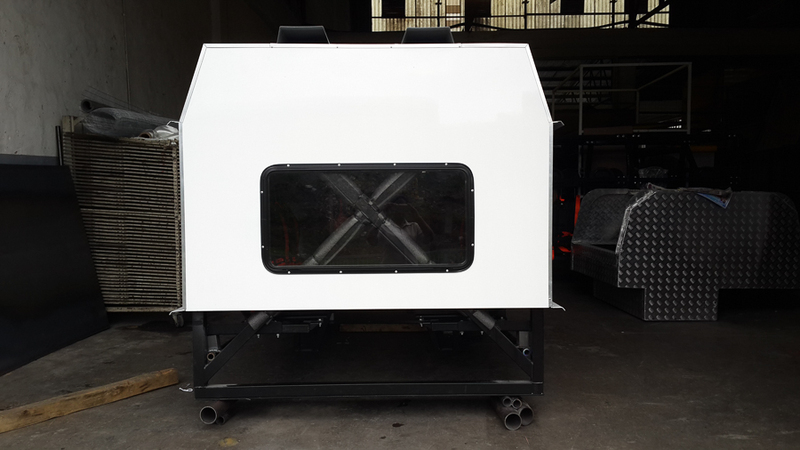 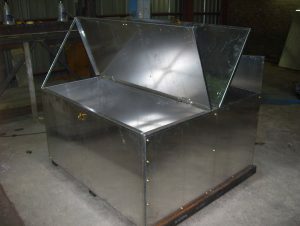 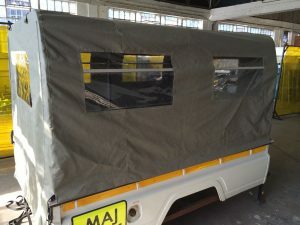 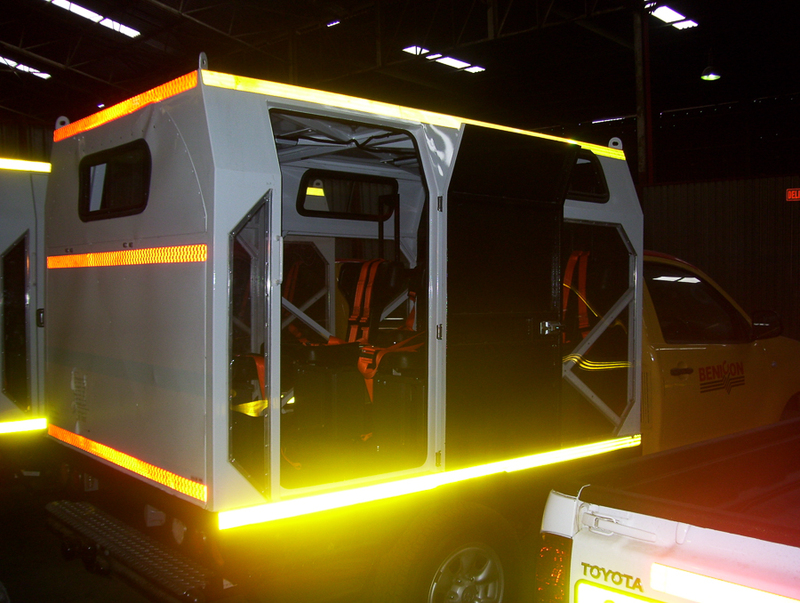 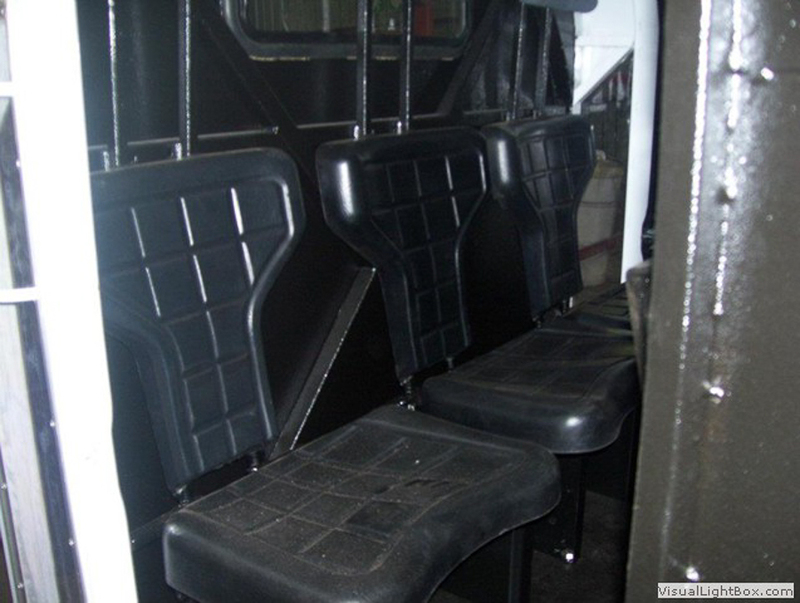 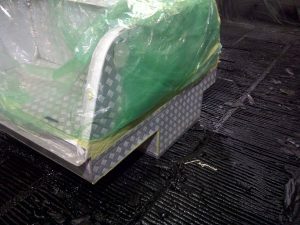 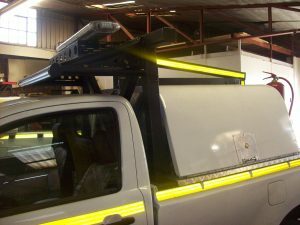 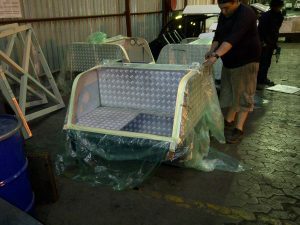 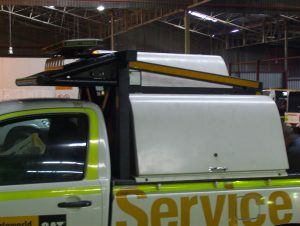 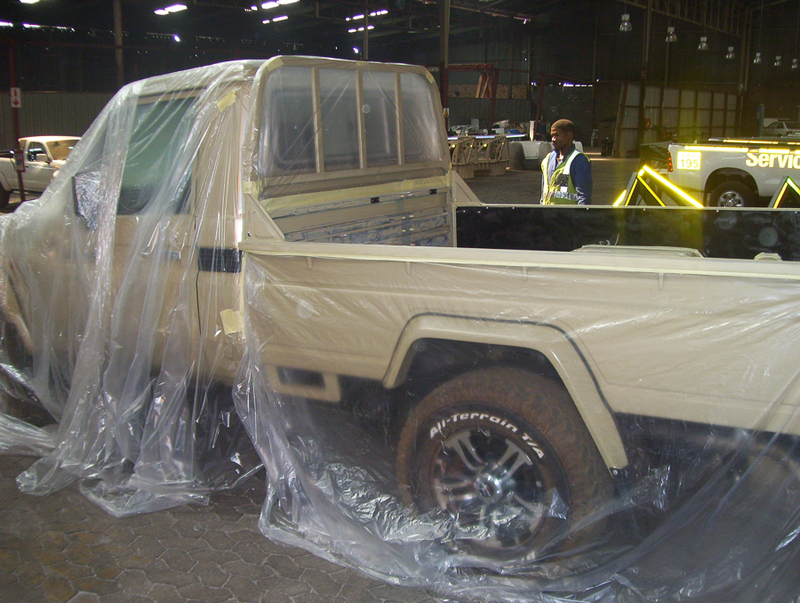 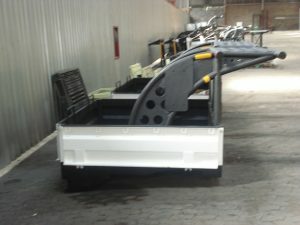 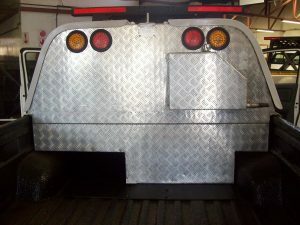 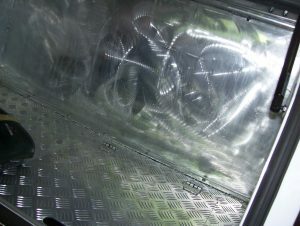 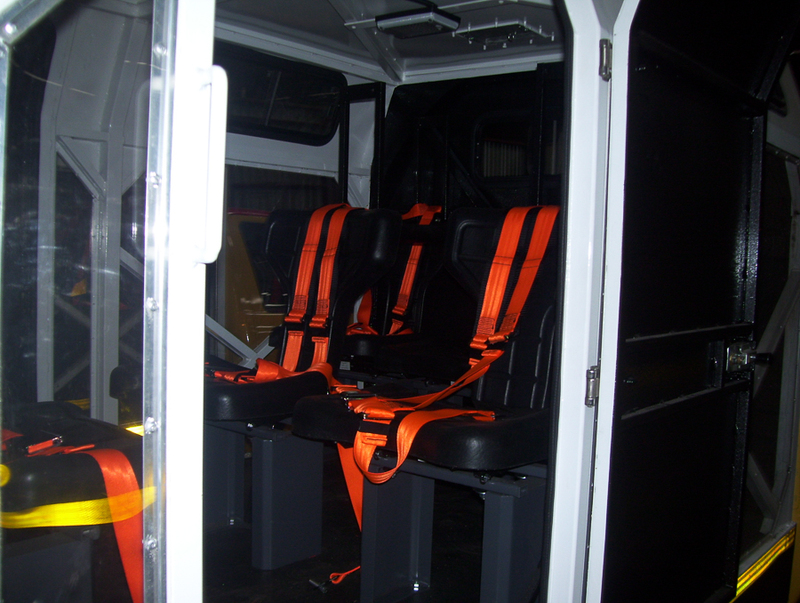 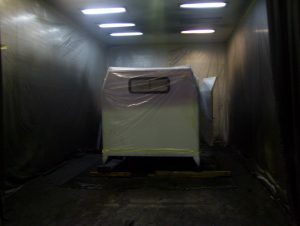 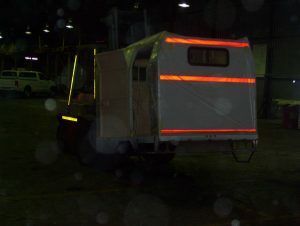 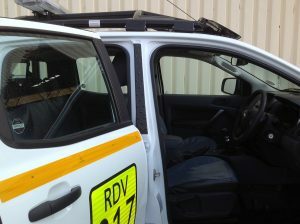 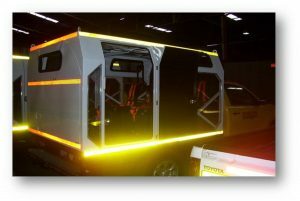 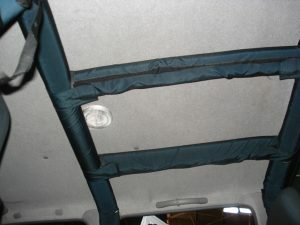 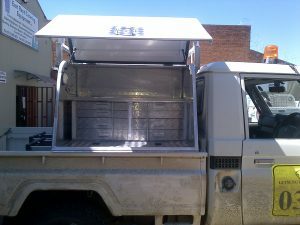 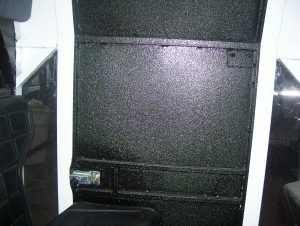 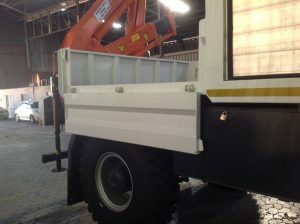 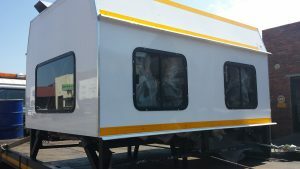 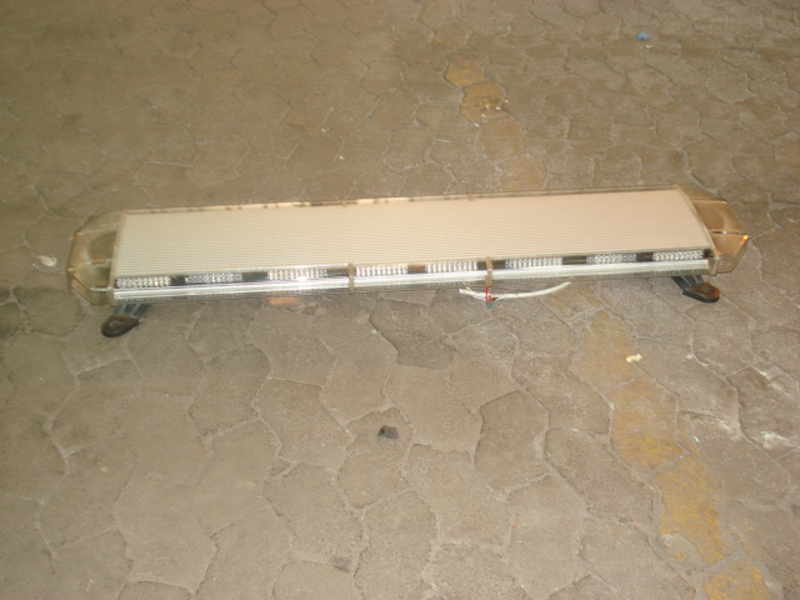 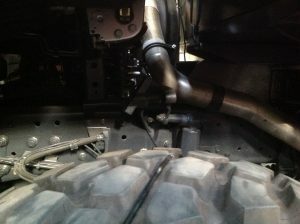 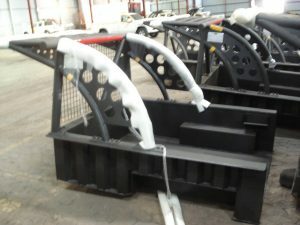 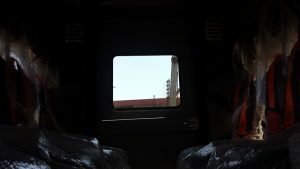 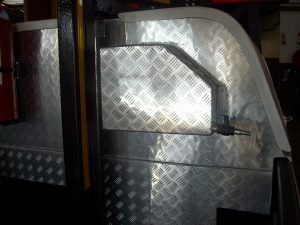 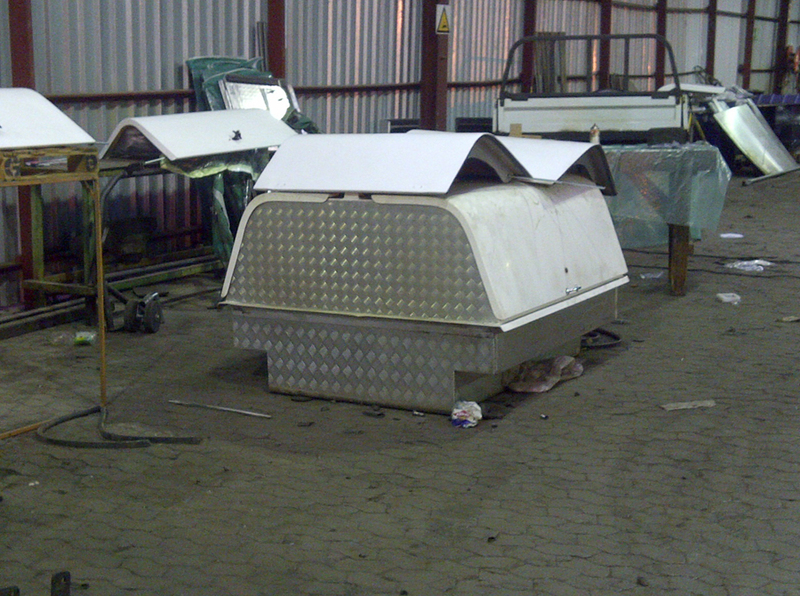 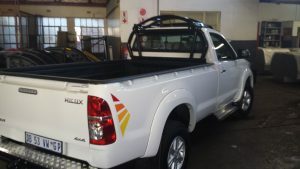 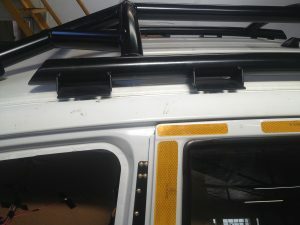 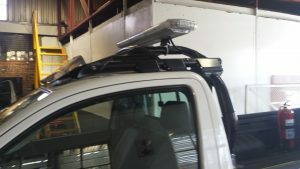 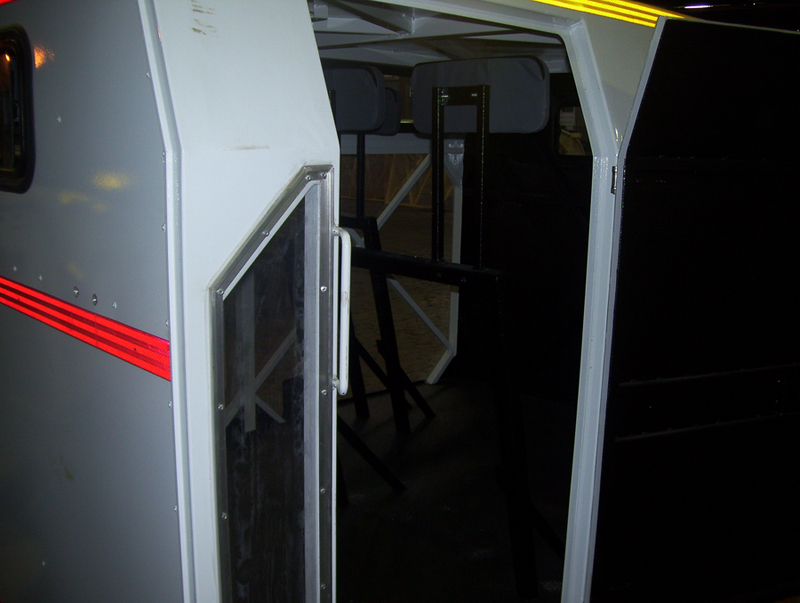 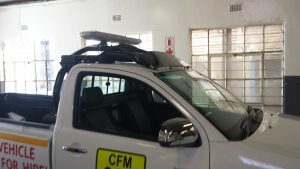 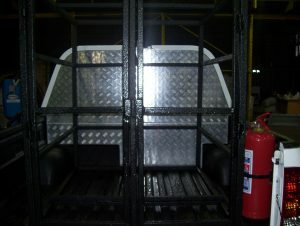 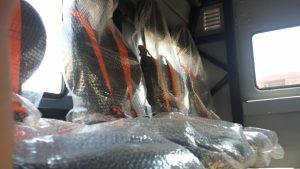 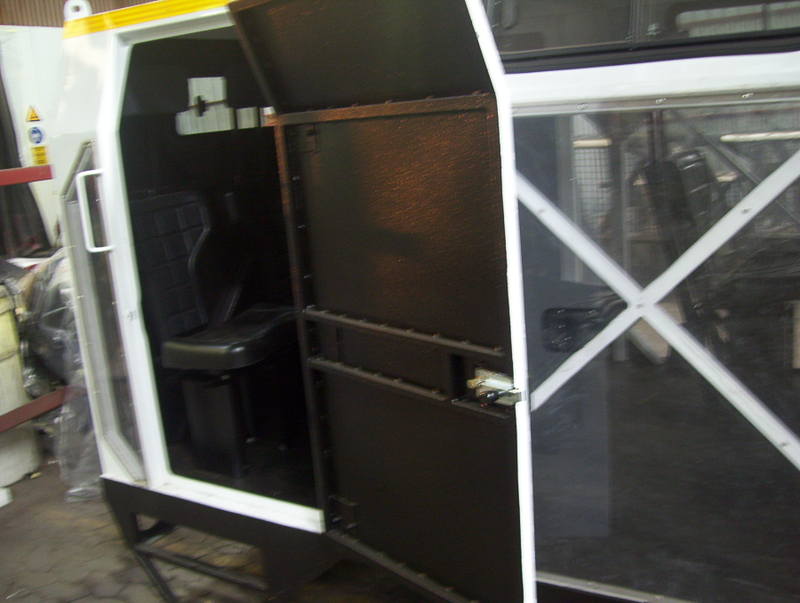 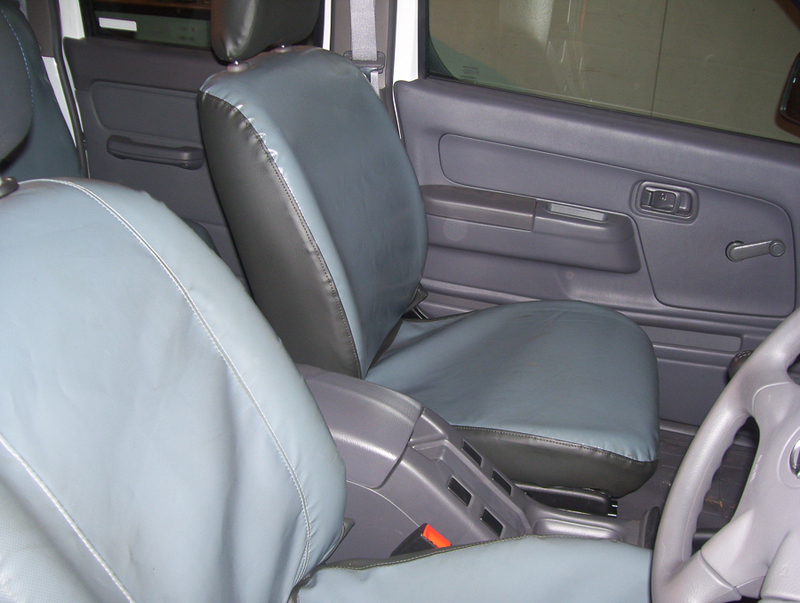 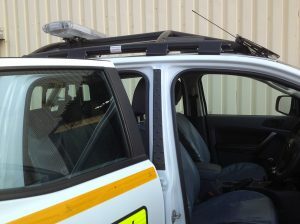 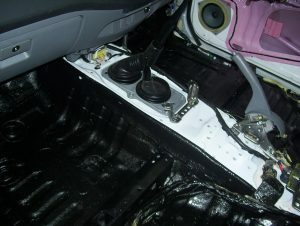 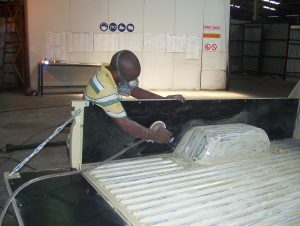 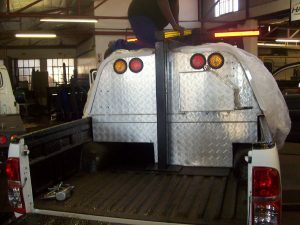 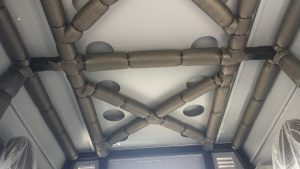 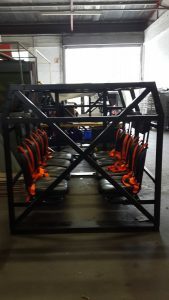 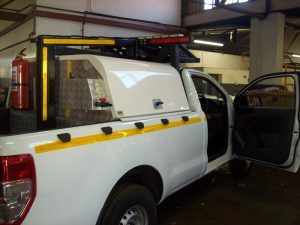 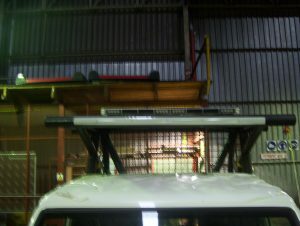 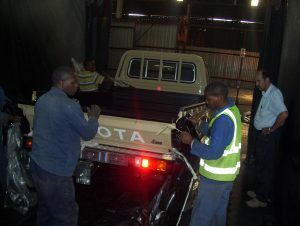 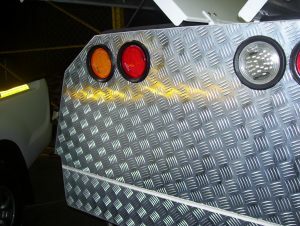 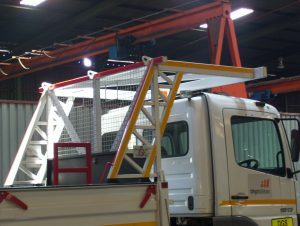 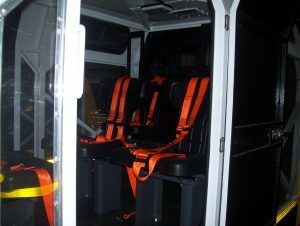 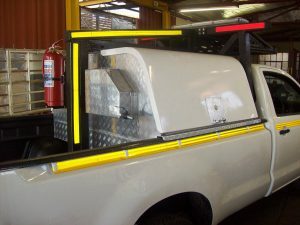 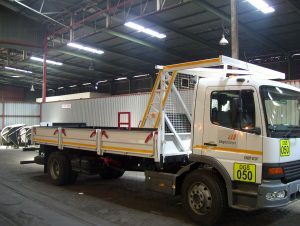 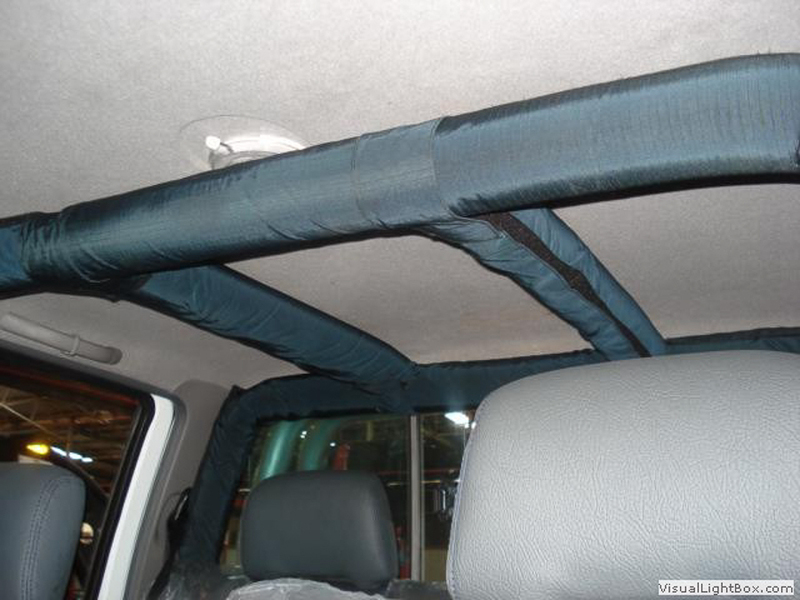 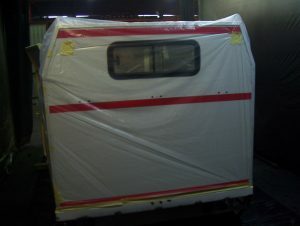 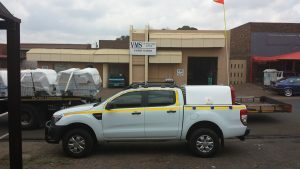 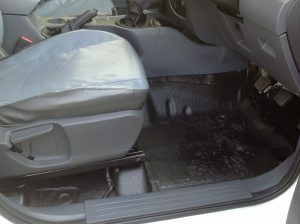 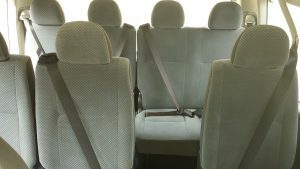 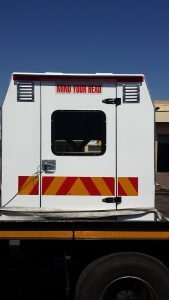 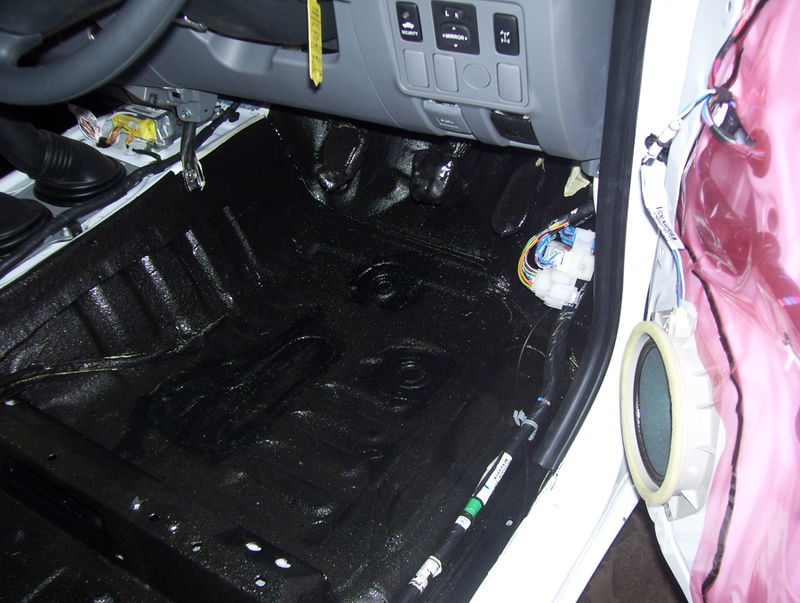 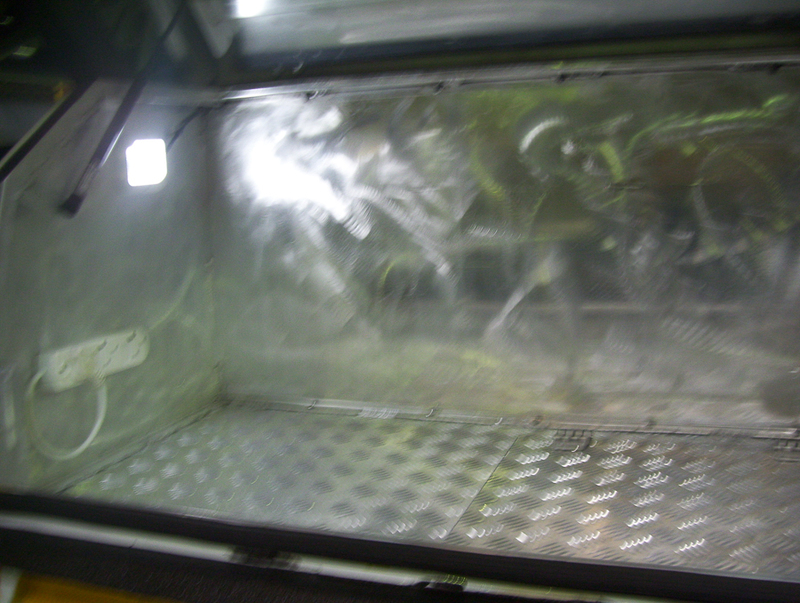 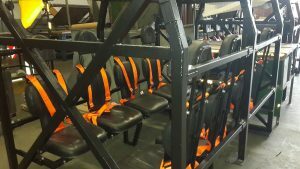 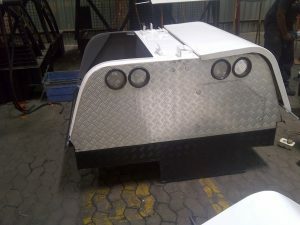 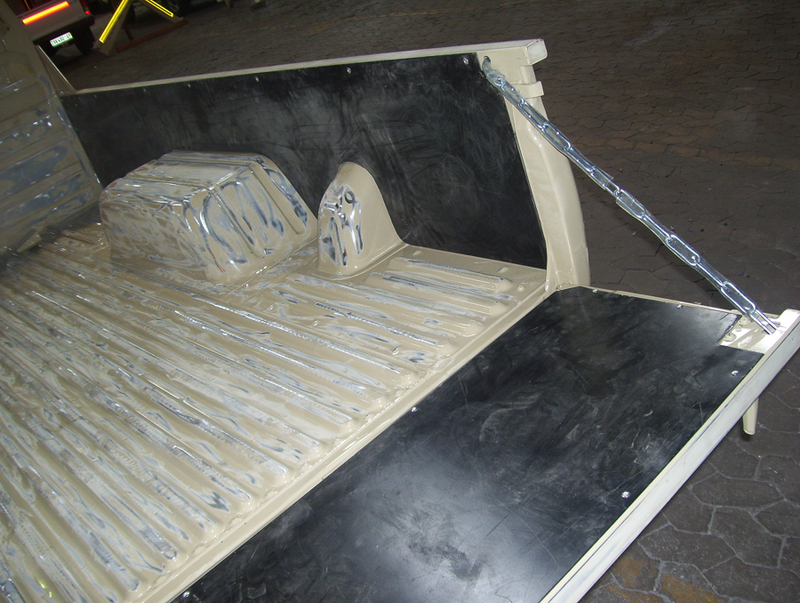 We design structures to prevent the collapse of the vehicle’s cockpit structure during an accident, or protect the vehicle’s cockpit structure from falling objects, thus creating a safety cell and thereby protecting the occupants from fatality or serious injuries. 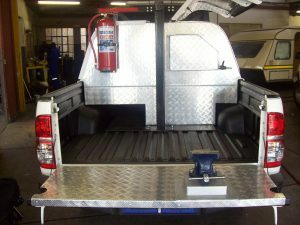 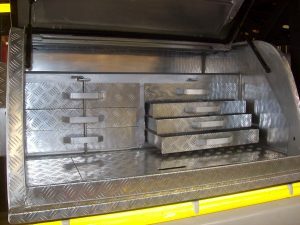 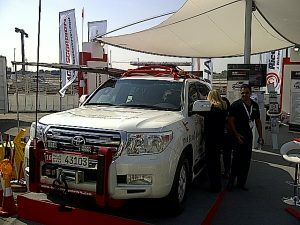 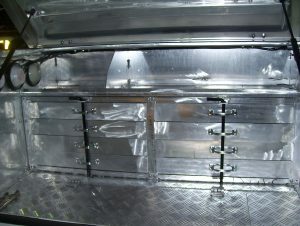 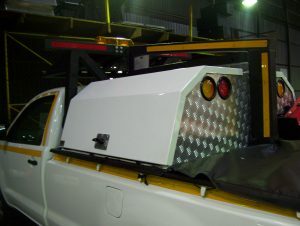 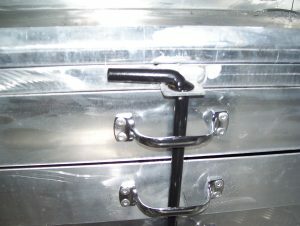 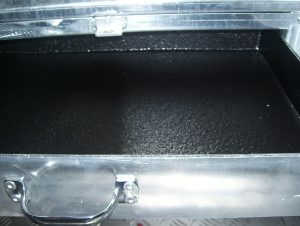 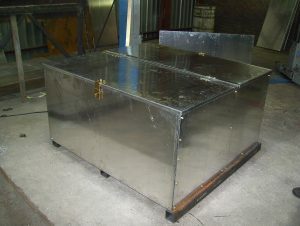 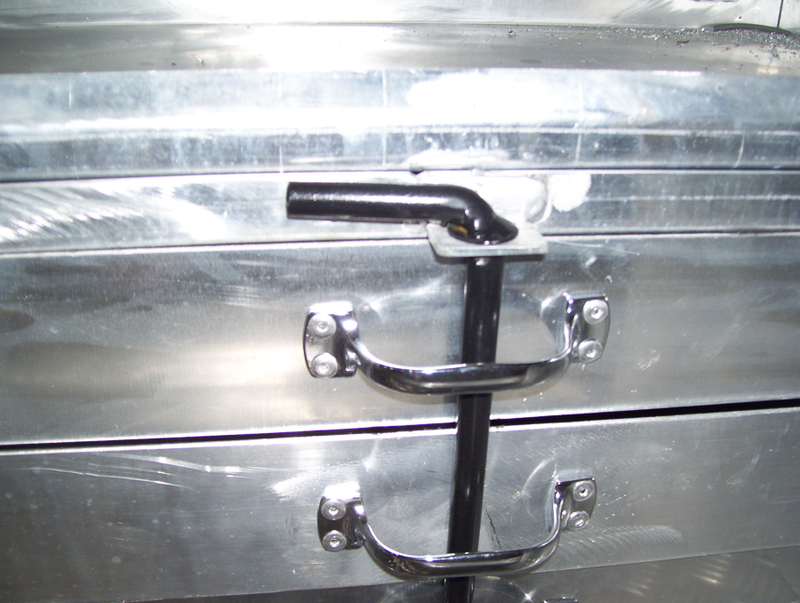 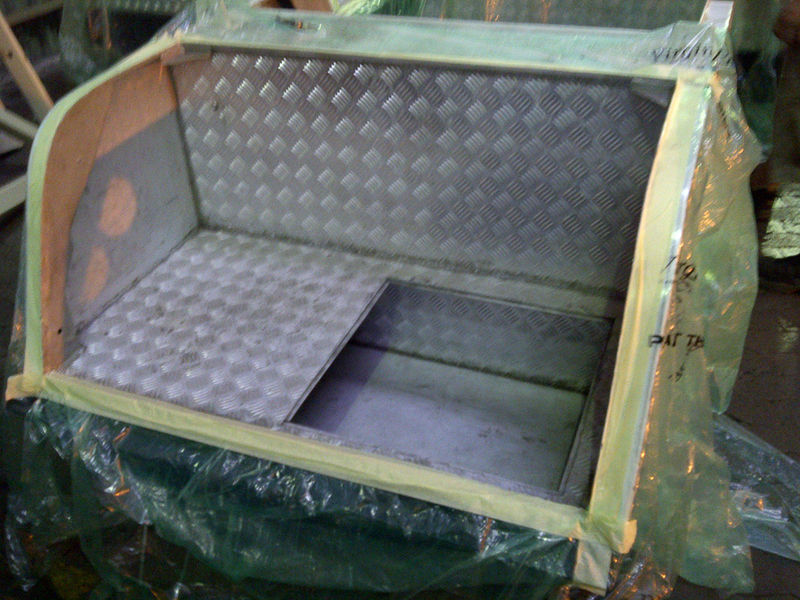 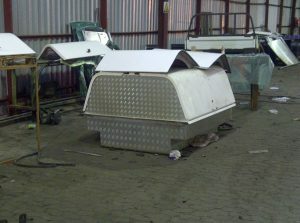 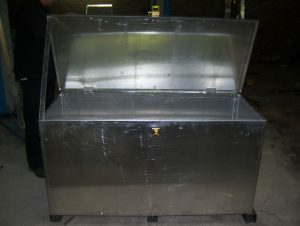 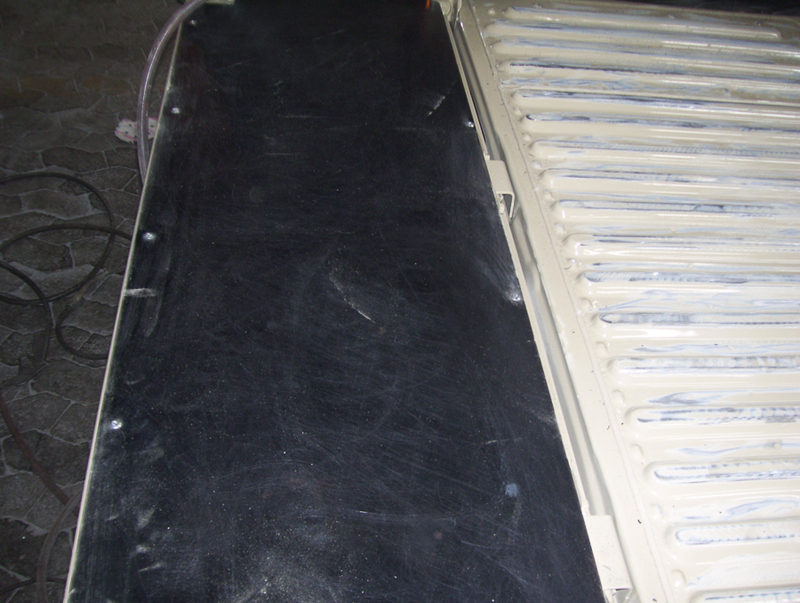 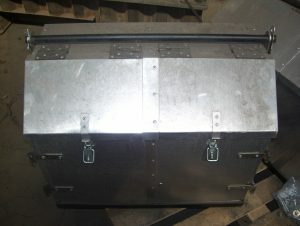 Toolbox canopies, trunk type toolboxes, technician toolboxes ect. 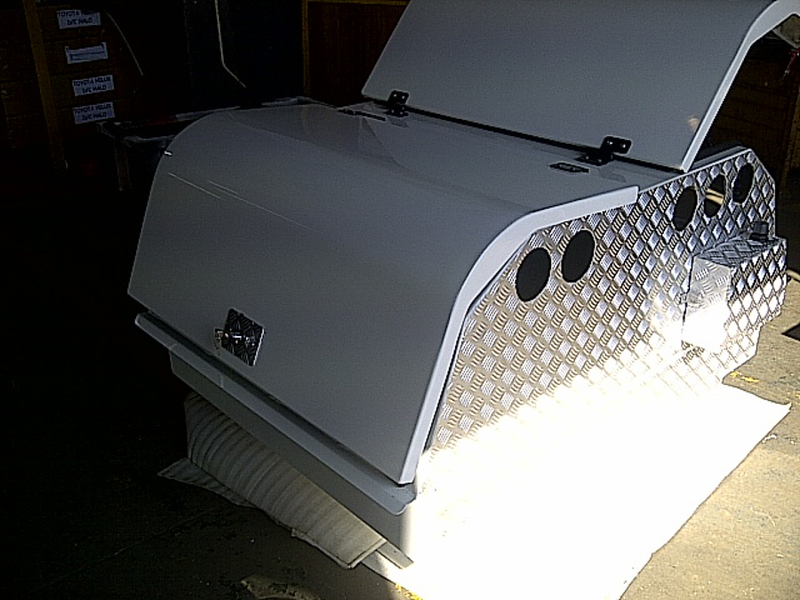 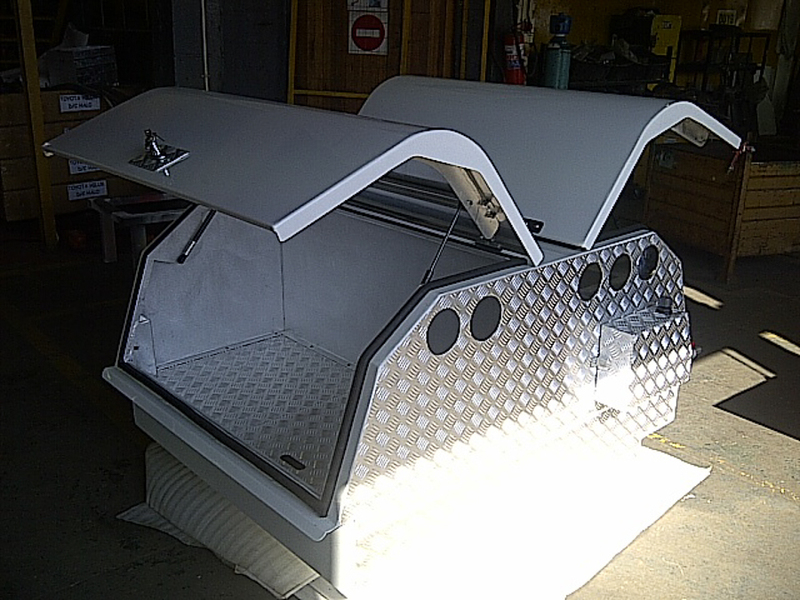 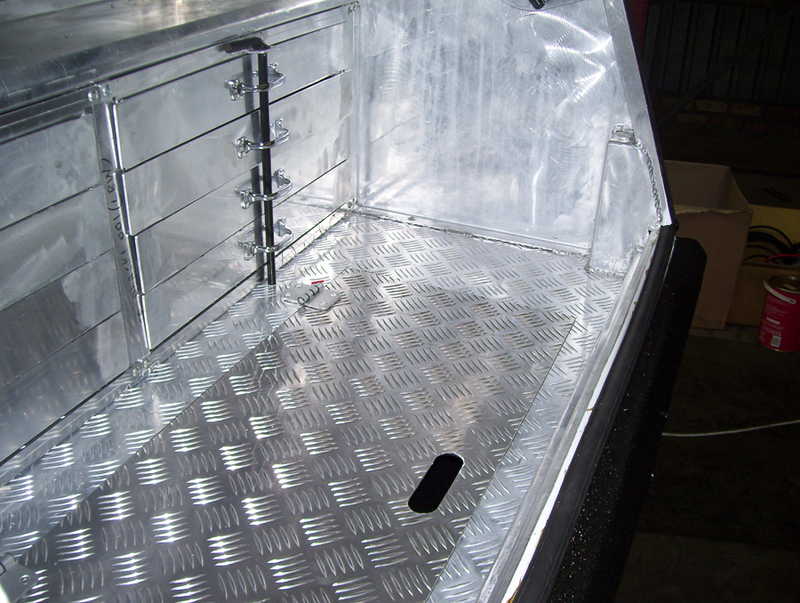 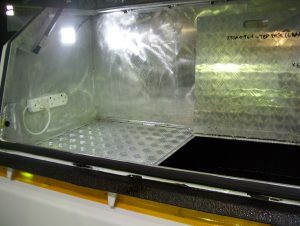 Formprops offers a wide variety of toolboxes and toolbox canopies to cater for what ever your toolbox needs may be. 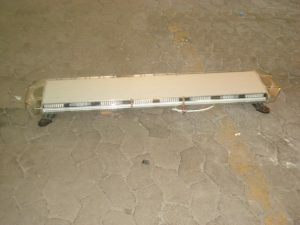 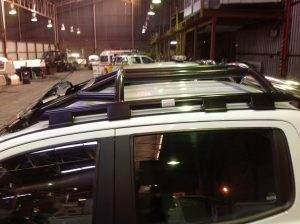 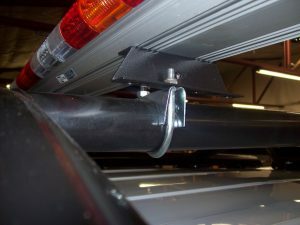 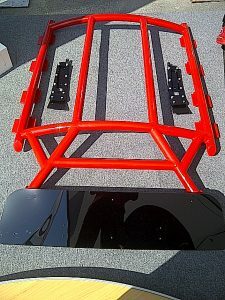 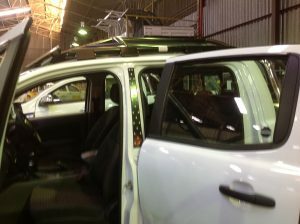 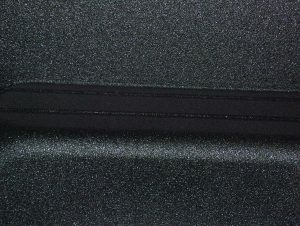 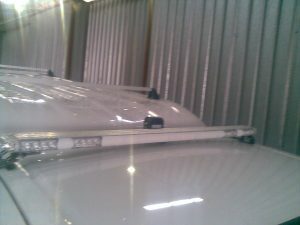 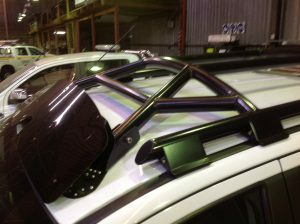 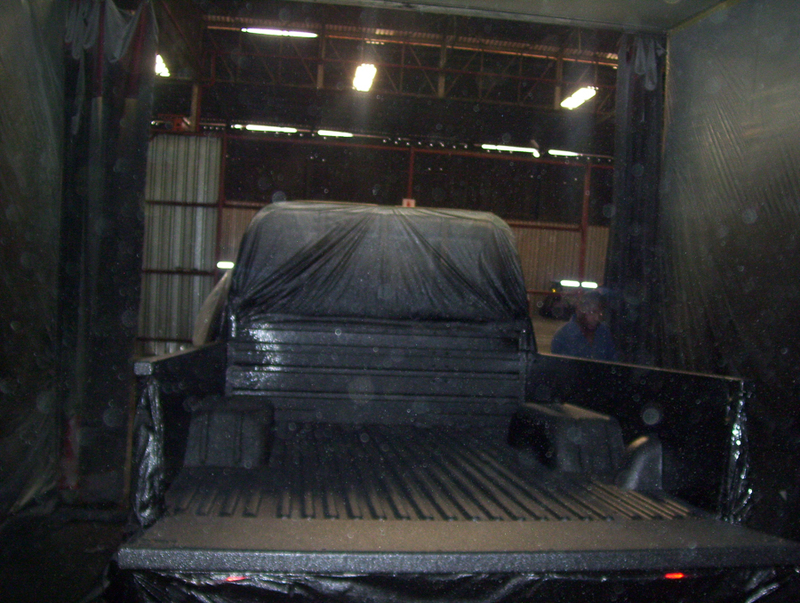 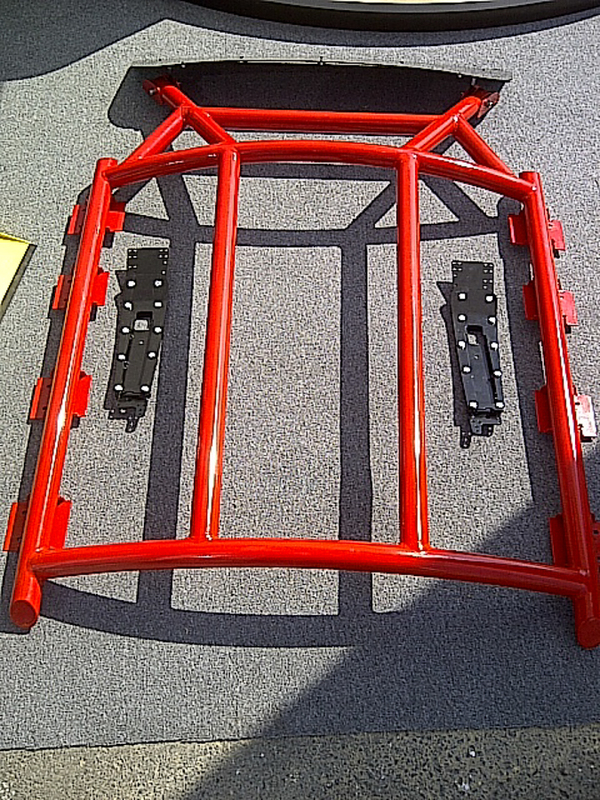 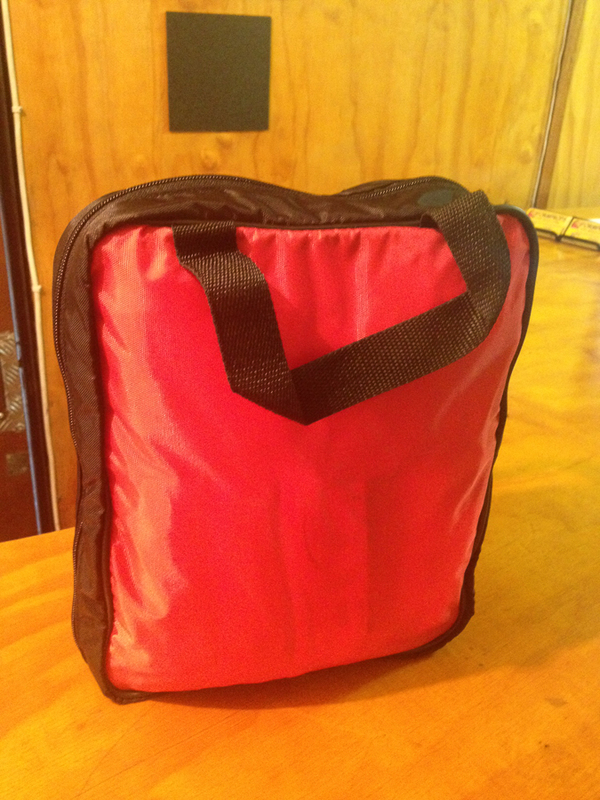 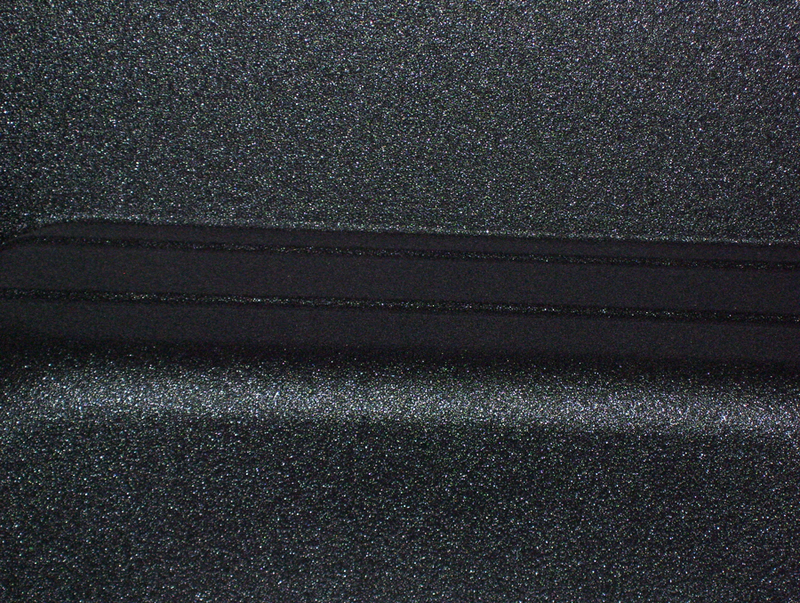 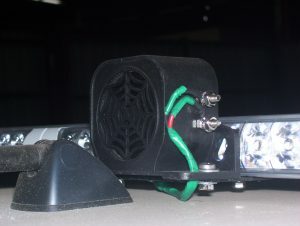 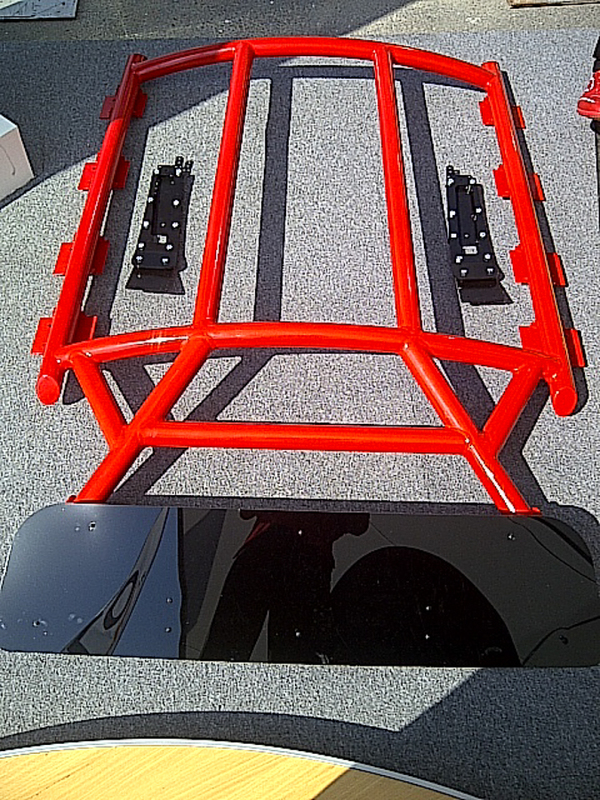 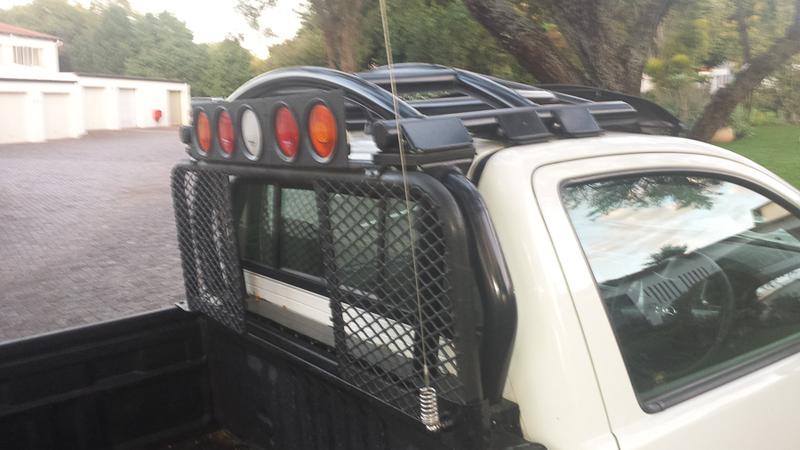 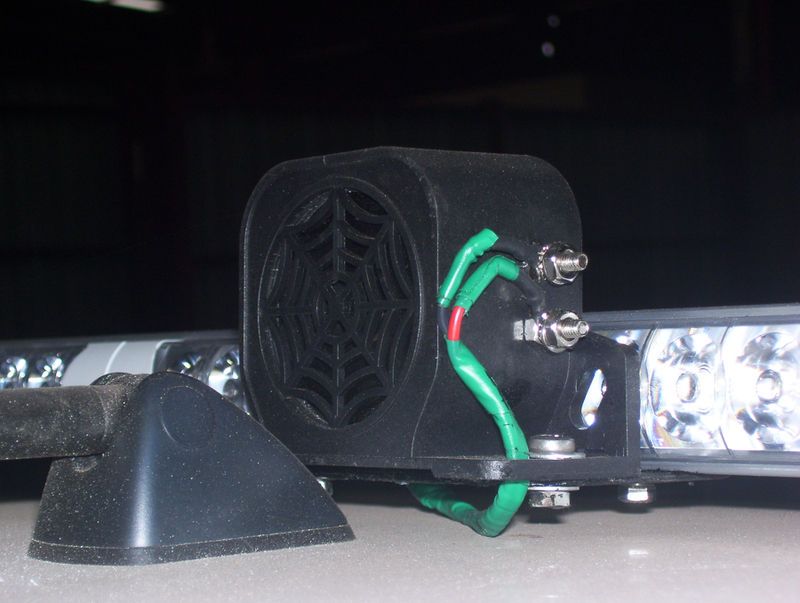 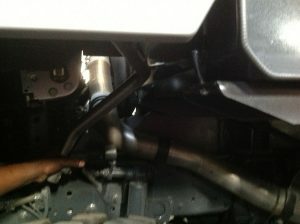 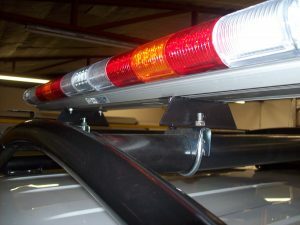 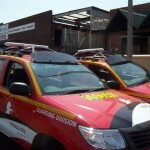 Toolbox canopies are custom fit to individual model vehicles. 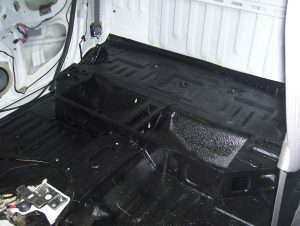 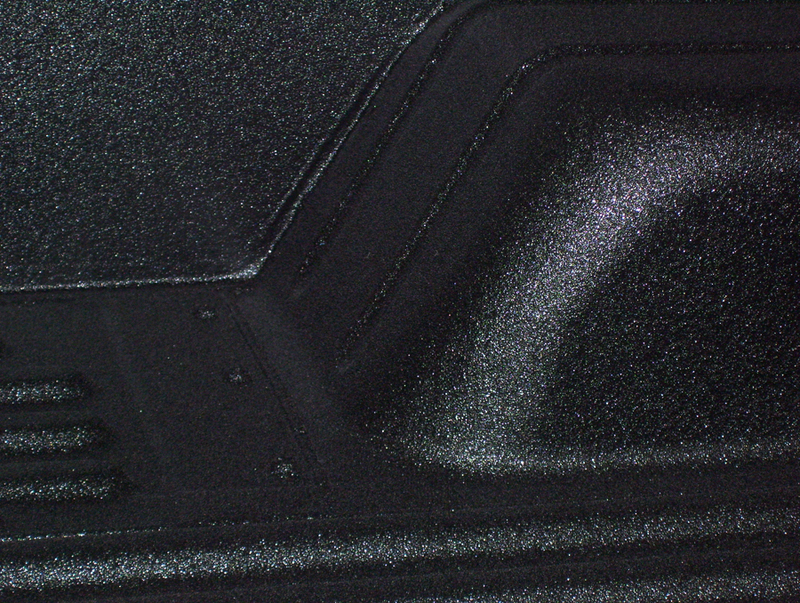 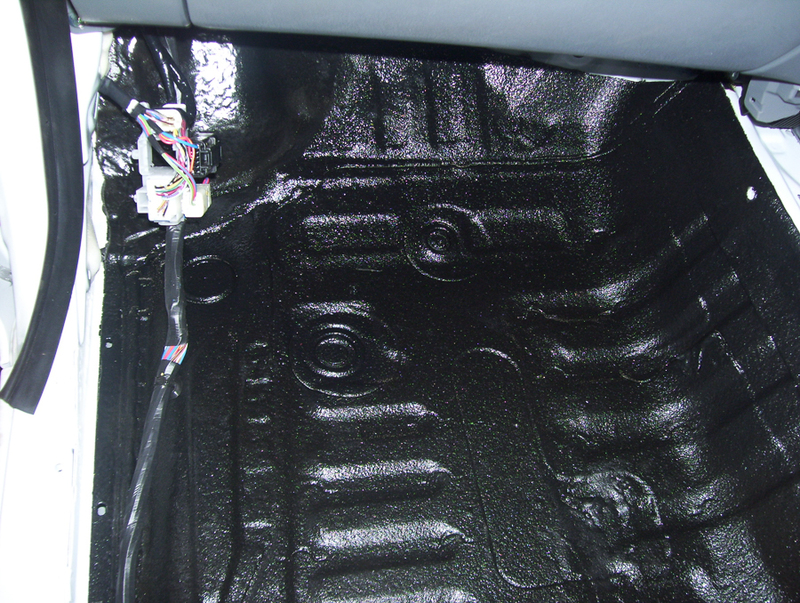 The advance heated spray-on protection system prevents rust, corrosion, chips and scratches while enhancing the service life, appearance and value of your vehicle. 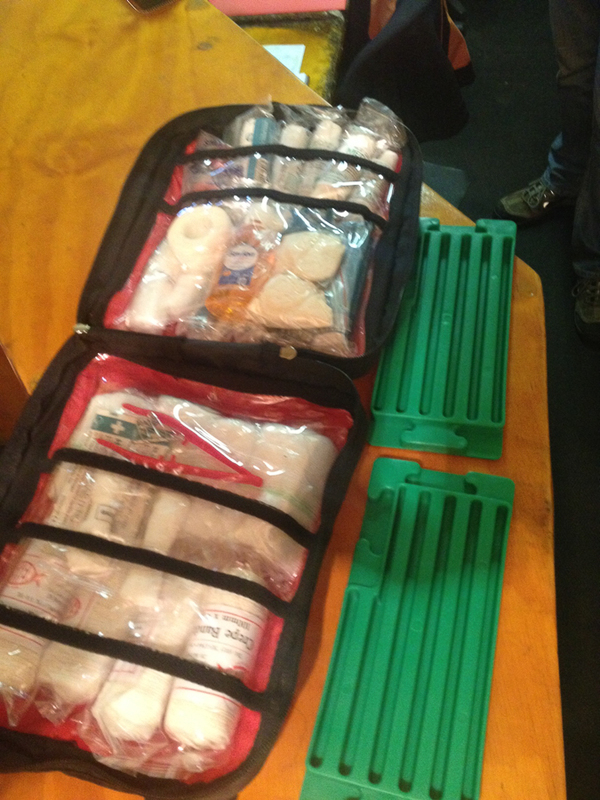 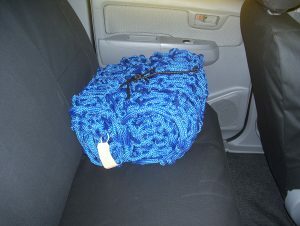 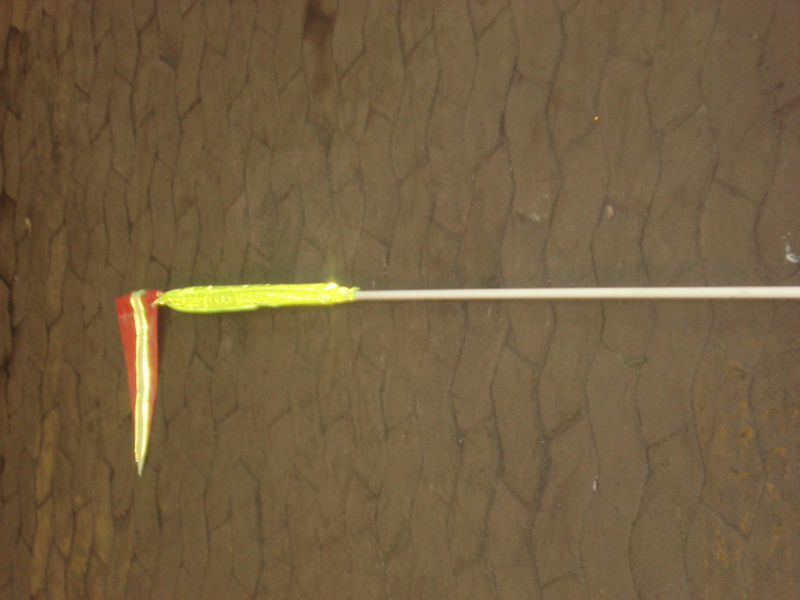 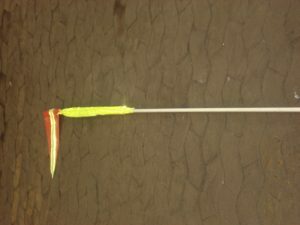 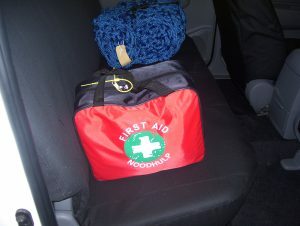 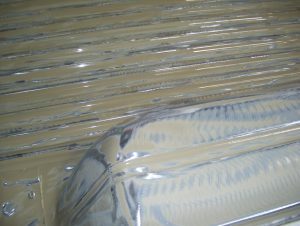 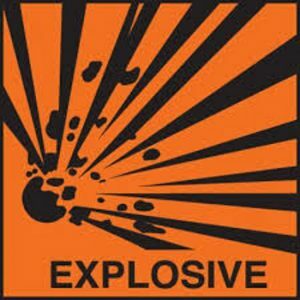 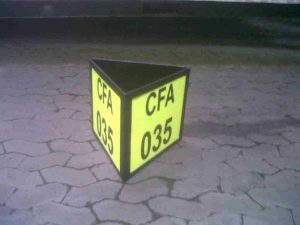 Fast set for use within minutes of application. 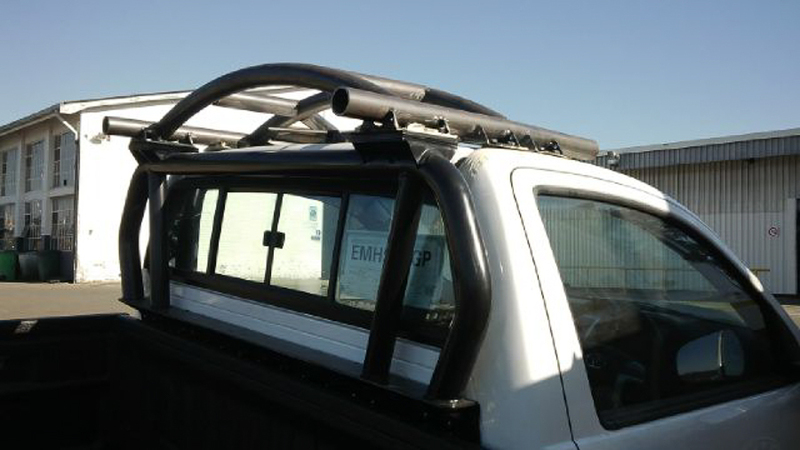 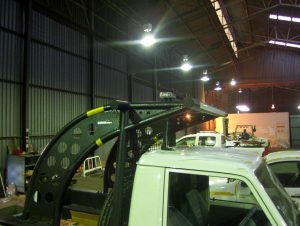 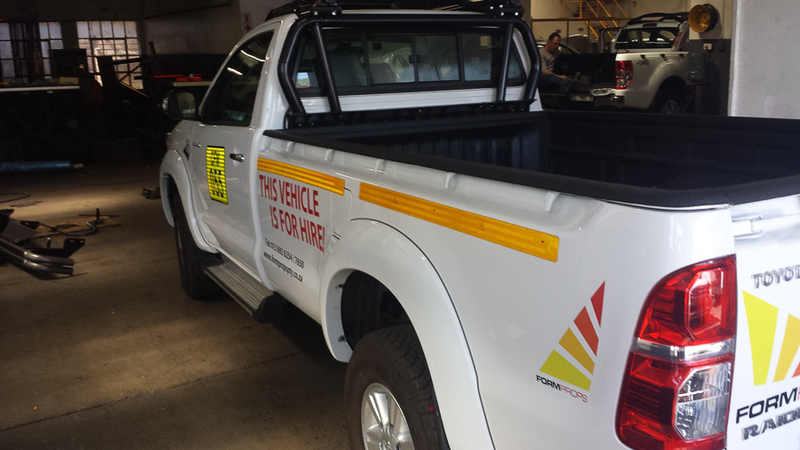 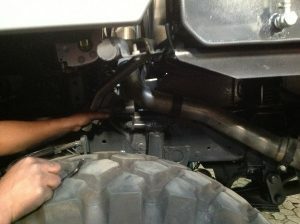 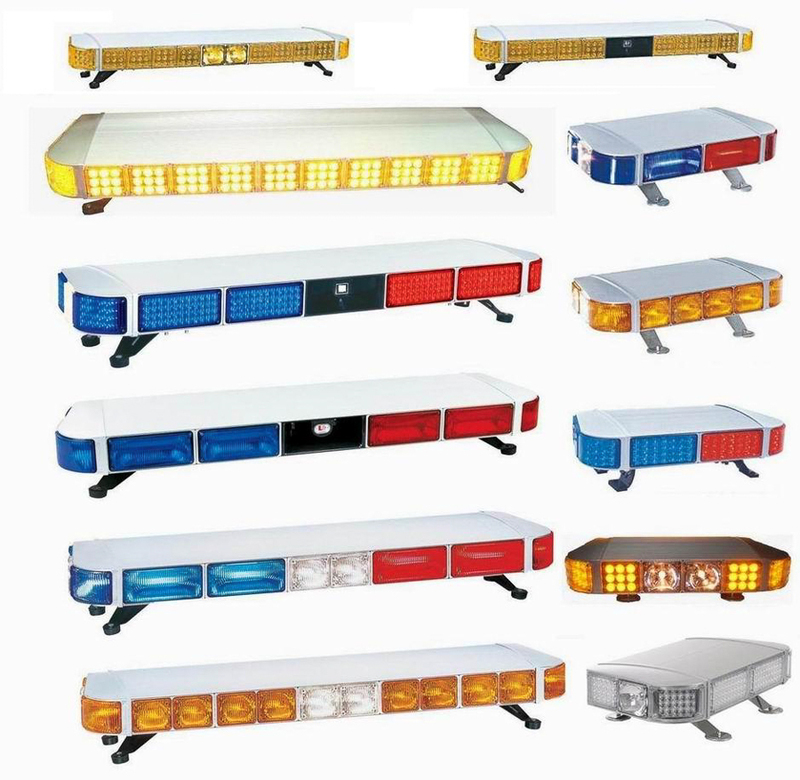 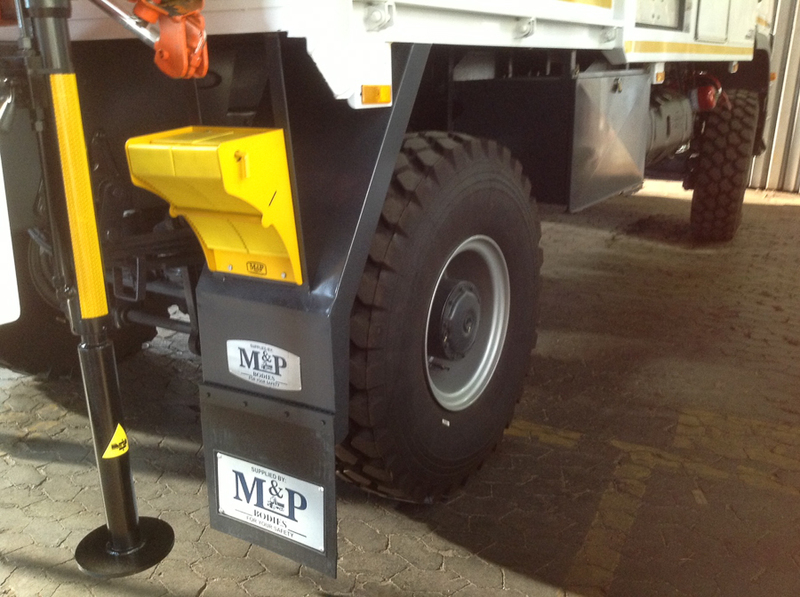 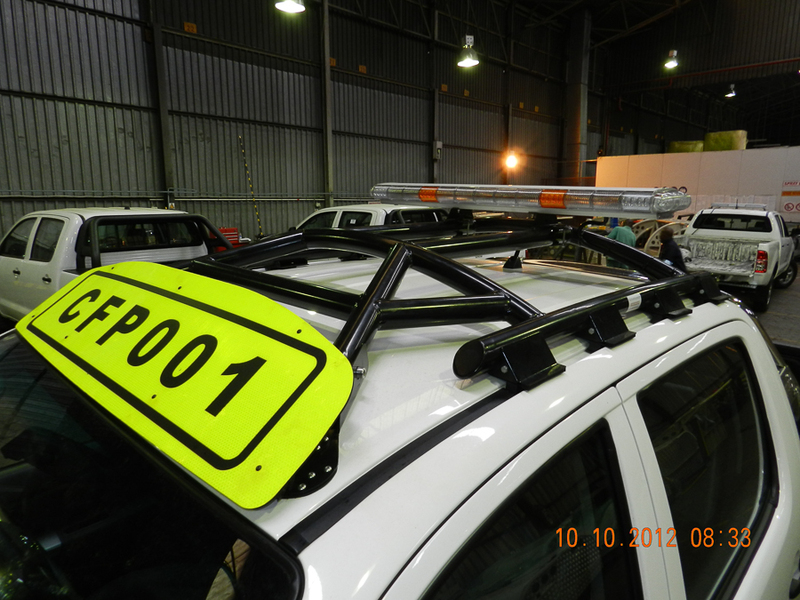 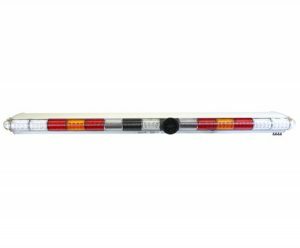 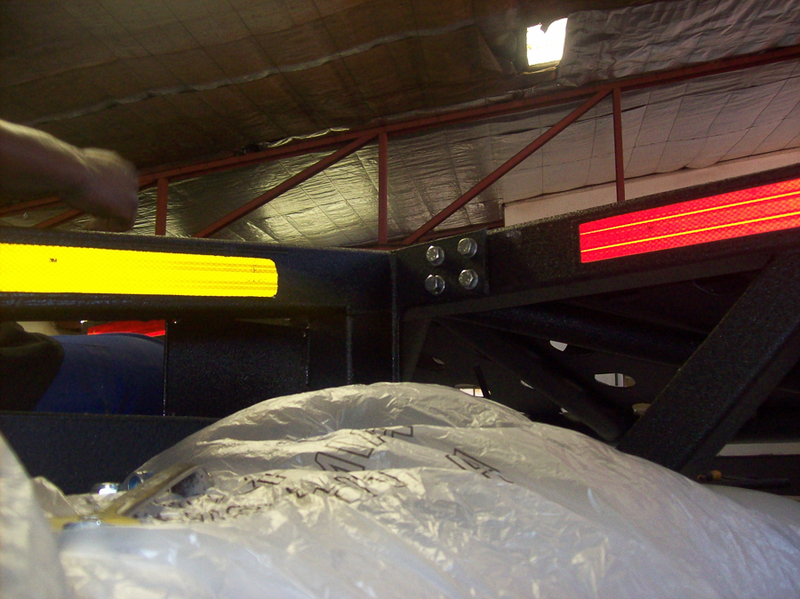 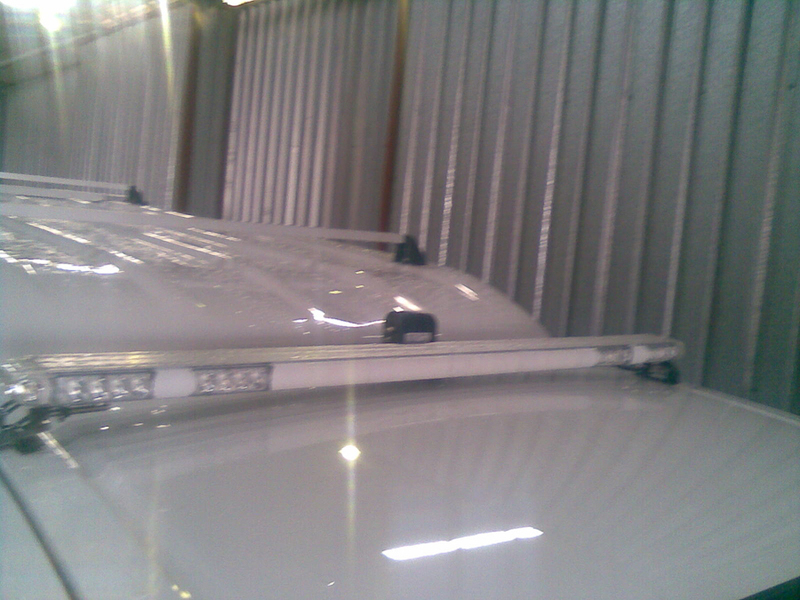 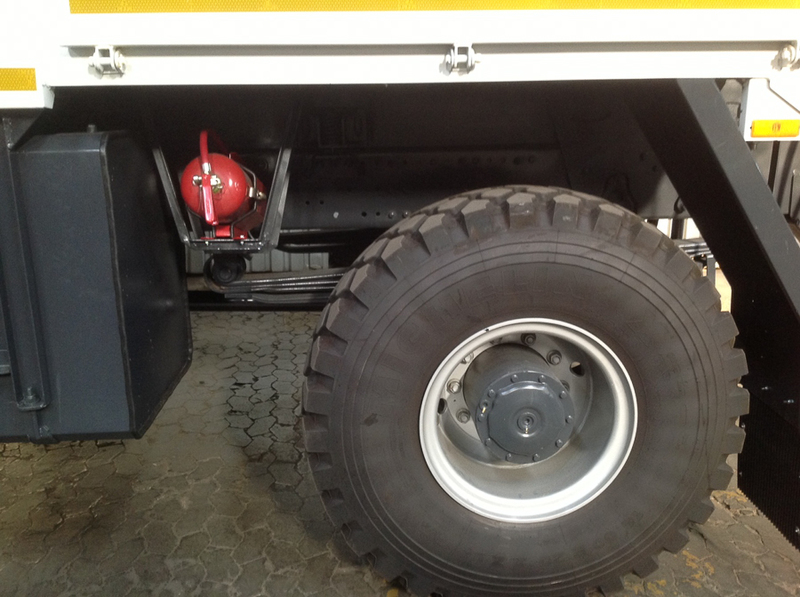 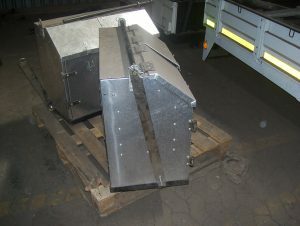 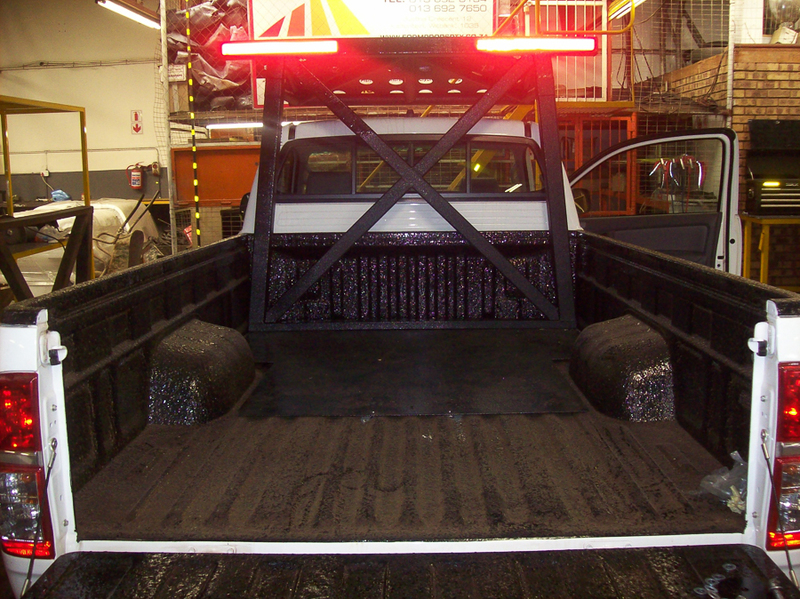 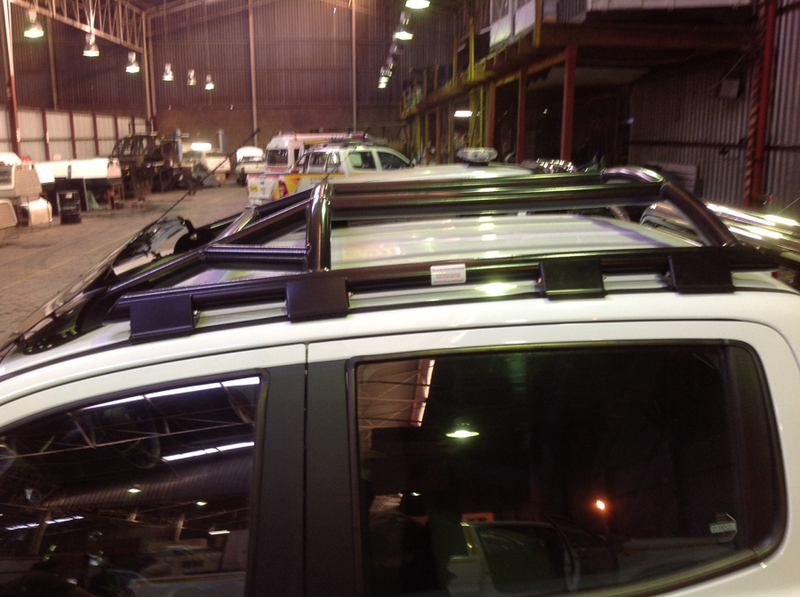 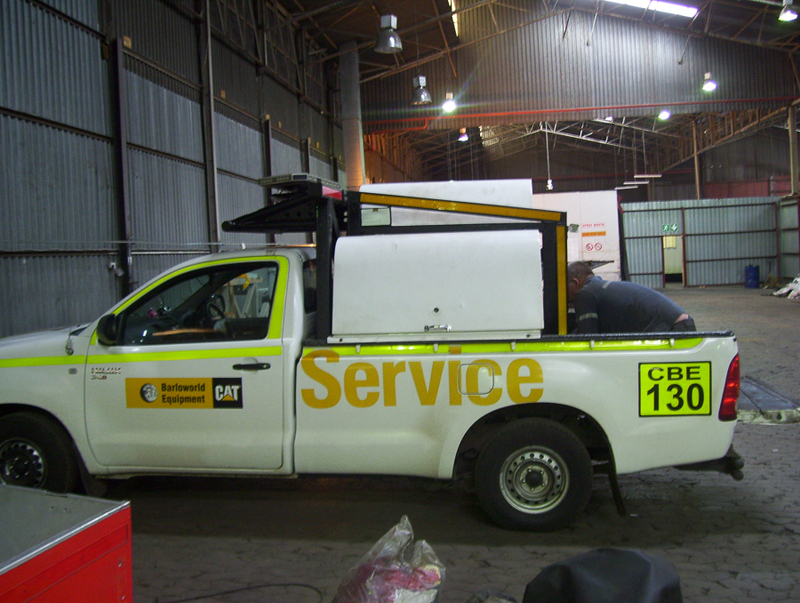 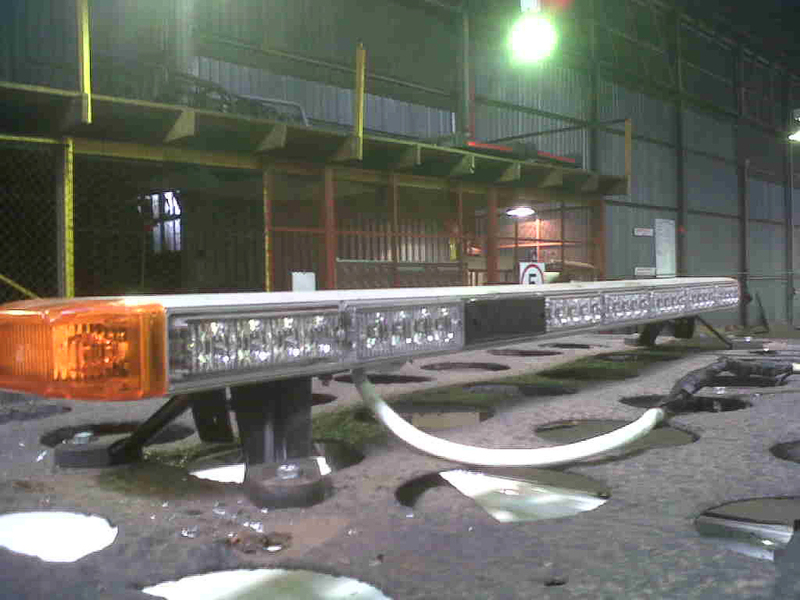 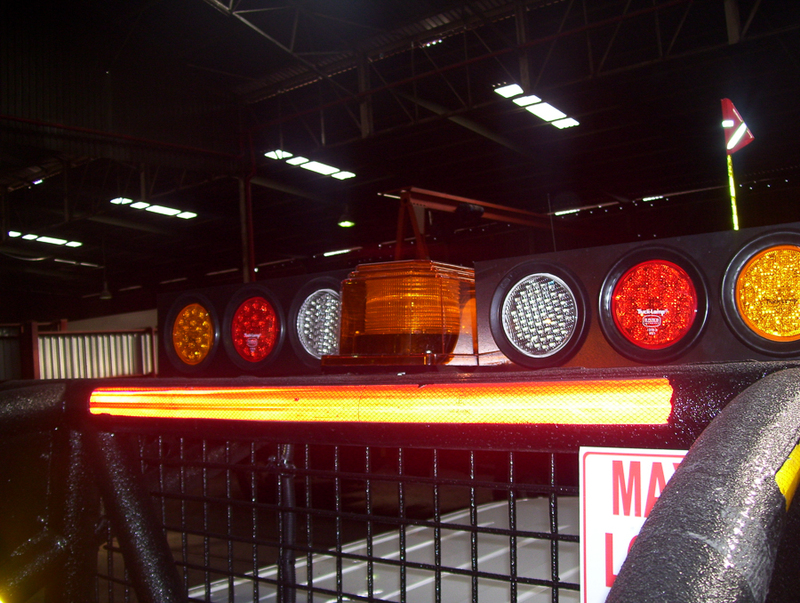 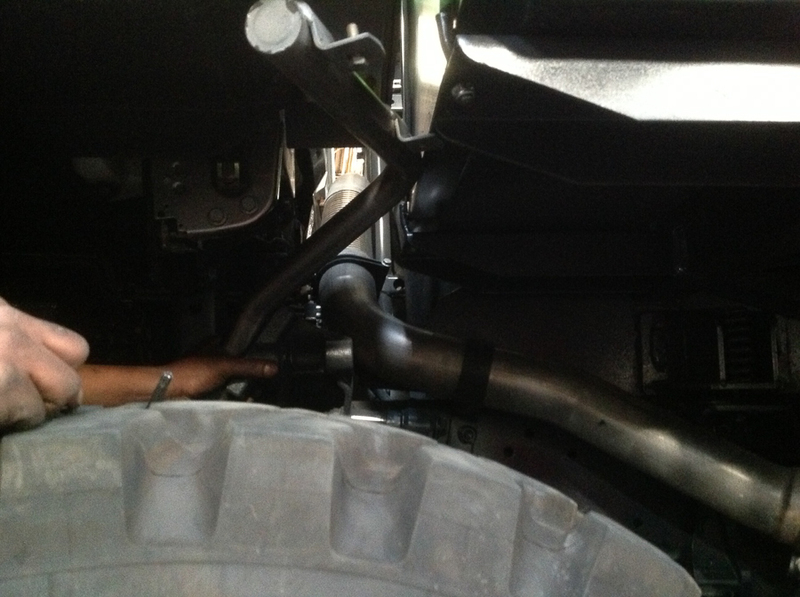 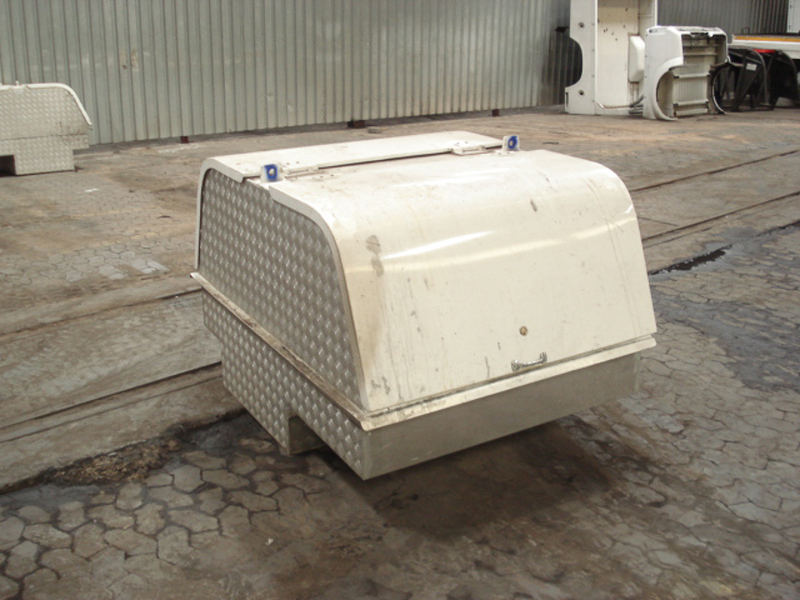 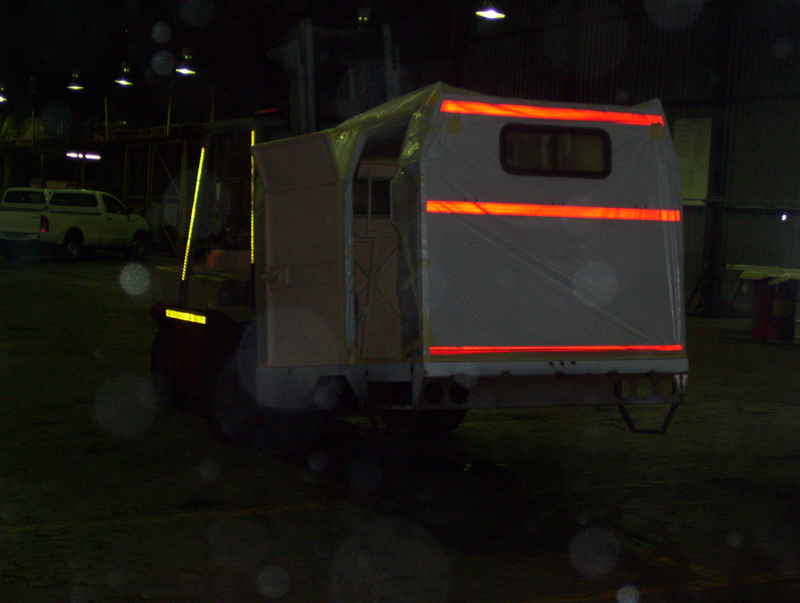 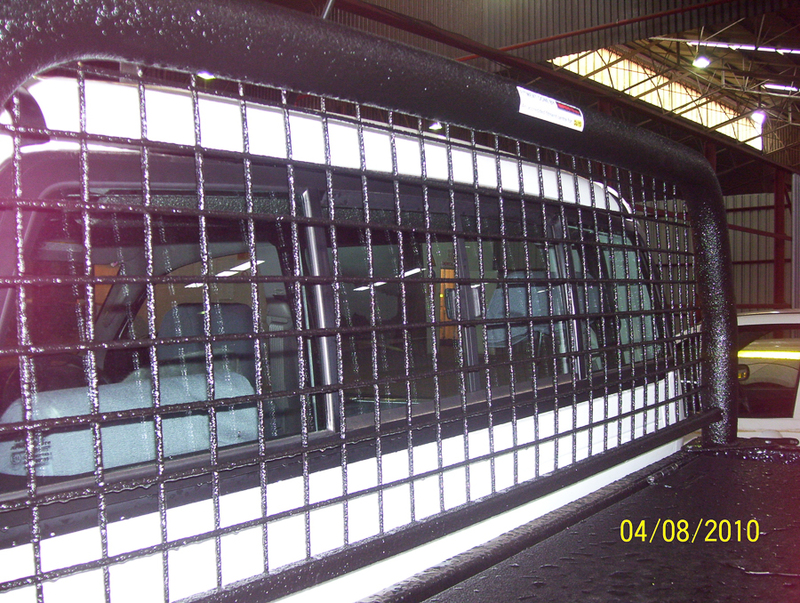 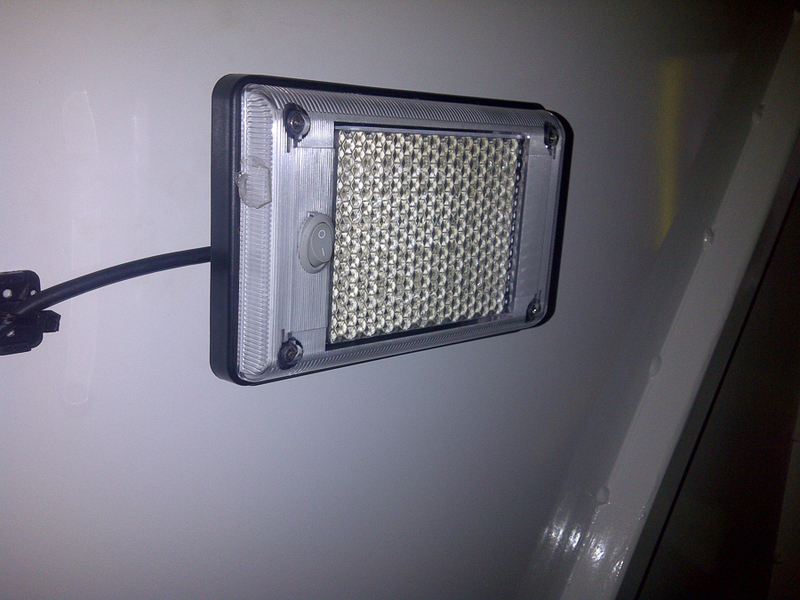 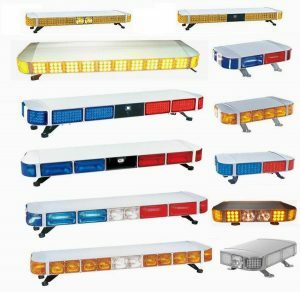 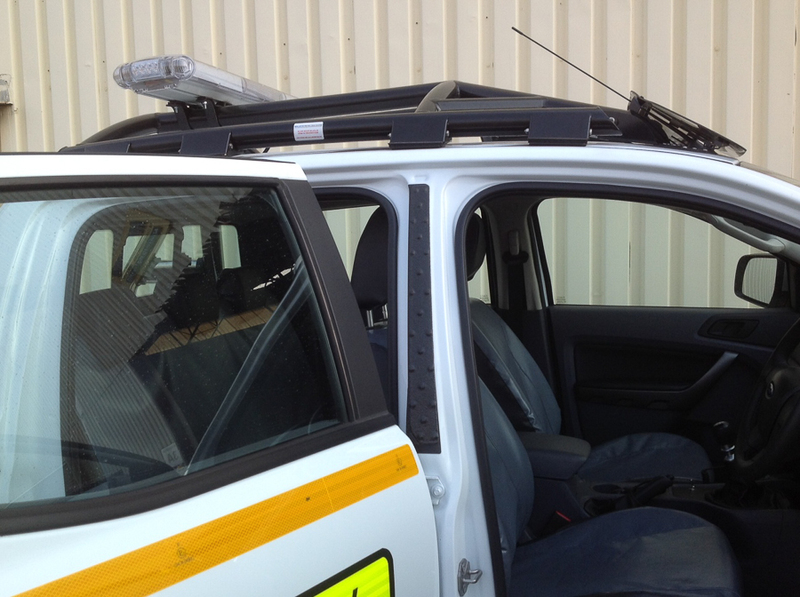 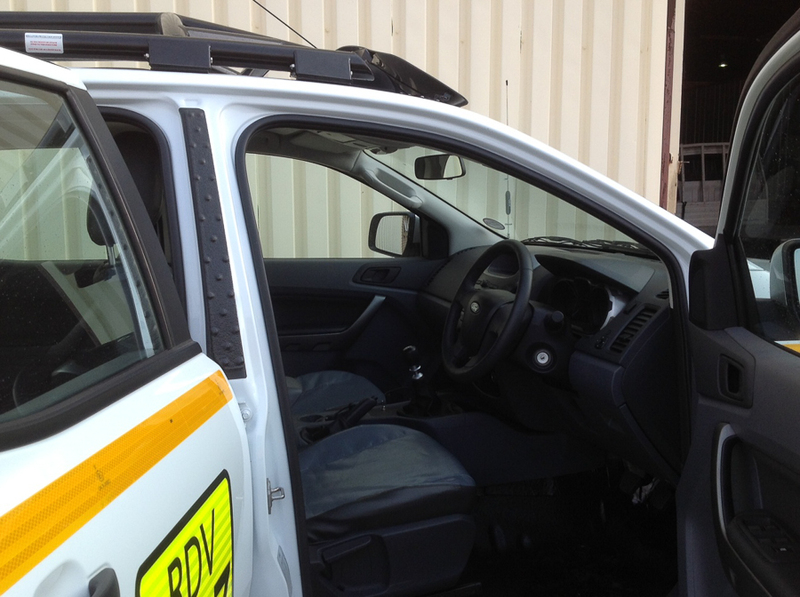 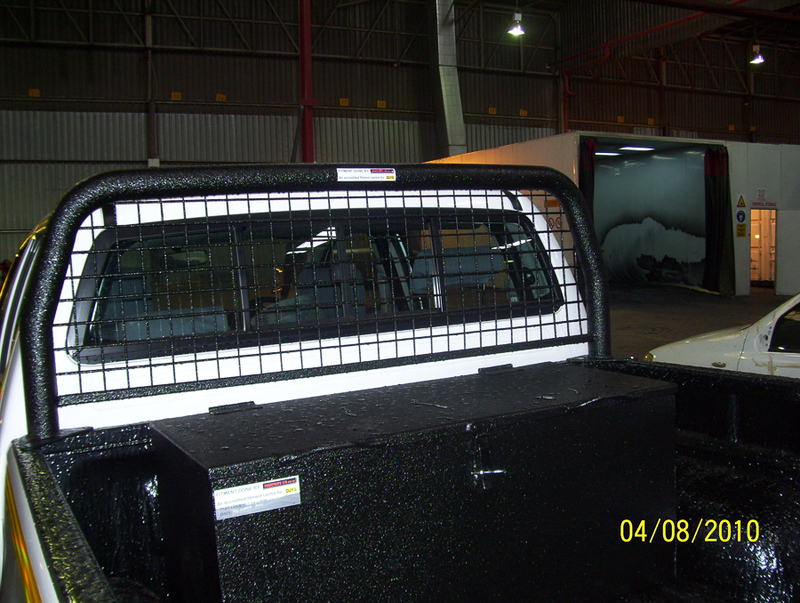 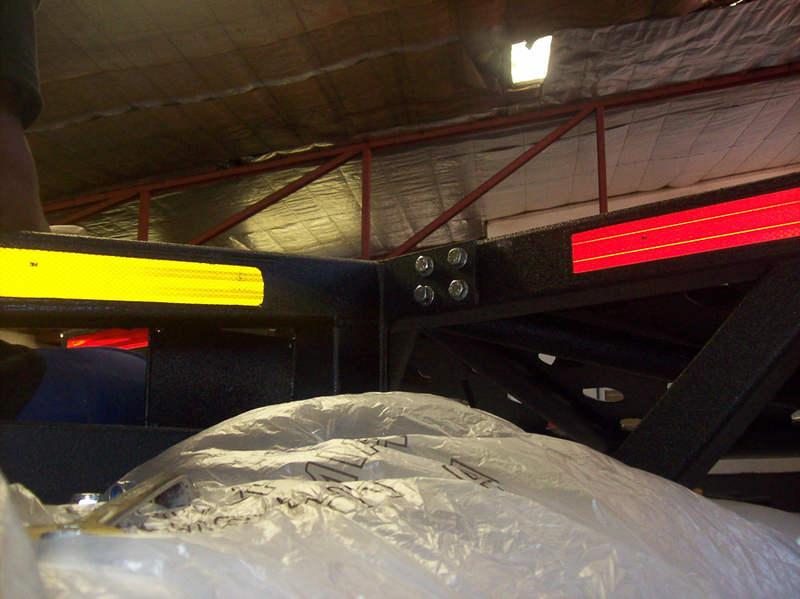 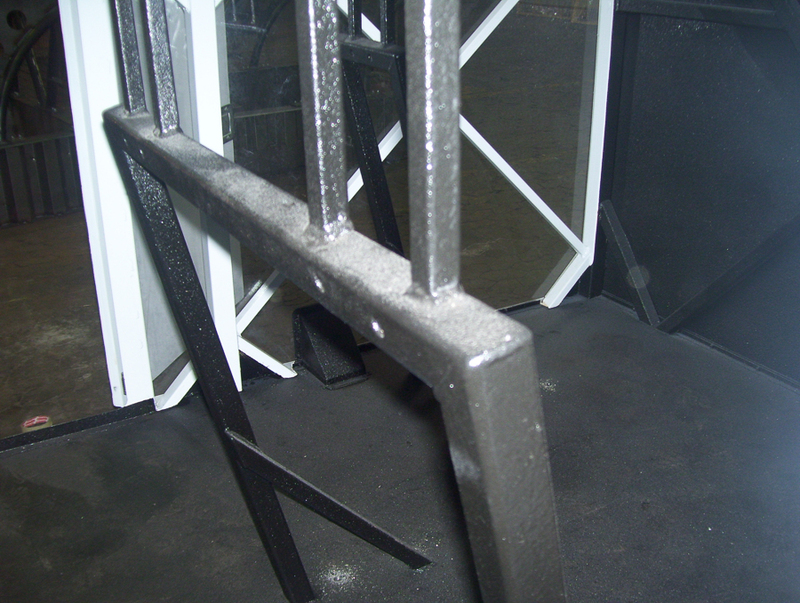 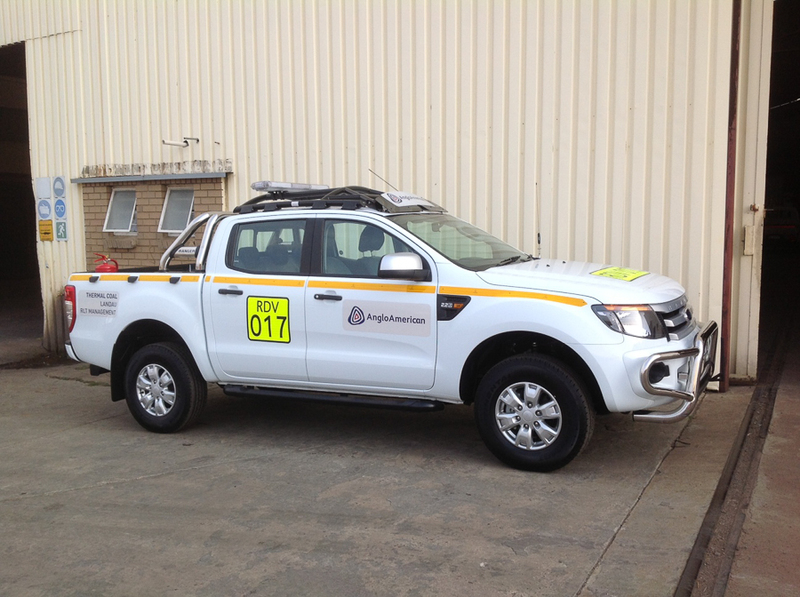 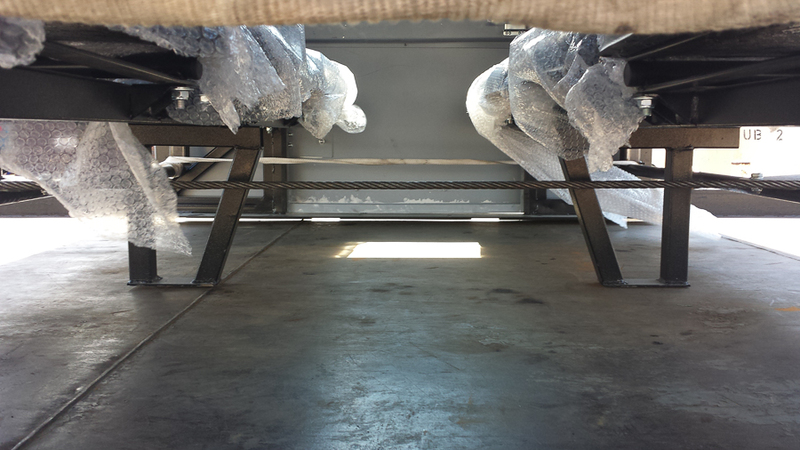 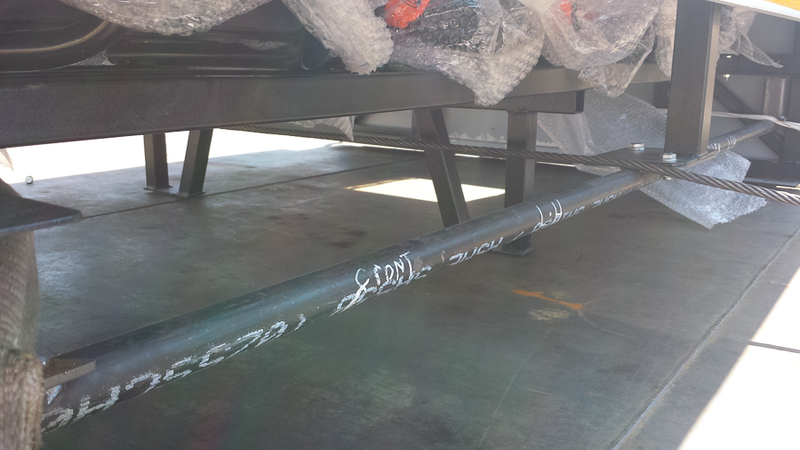 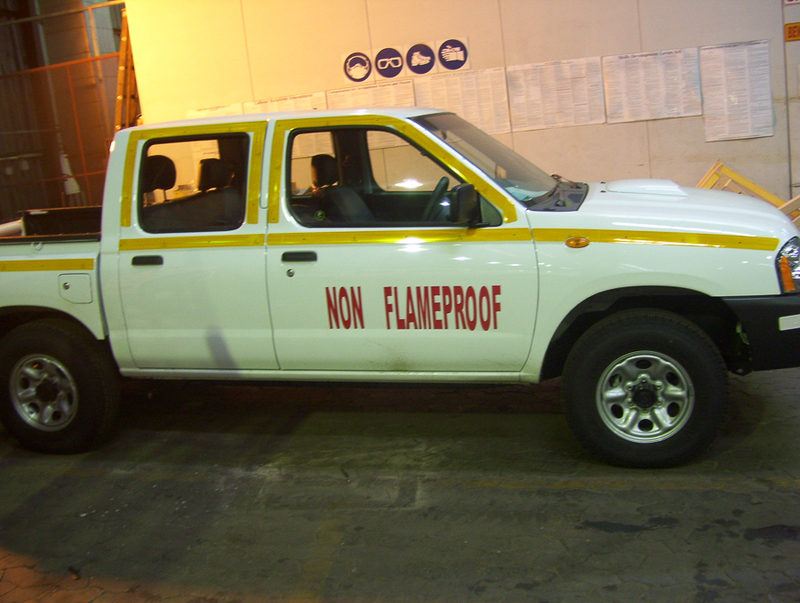 Formprops provides leading safety improvements for any vehicle working within the mining or heavy industry sector. Protecting of operators is an important aspect of any site and increasingly ROPS are being viewed a essential components of responsible and prepared operations. 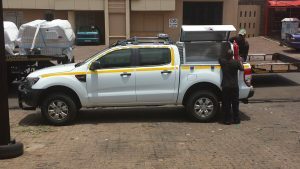 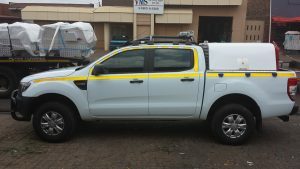 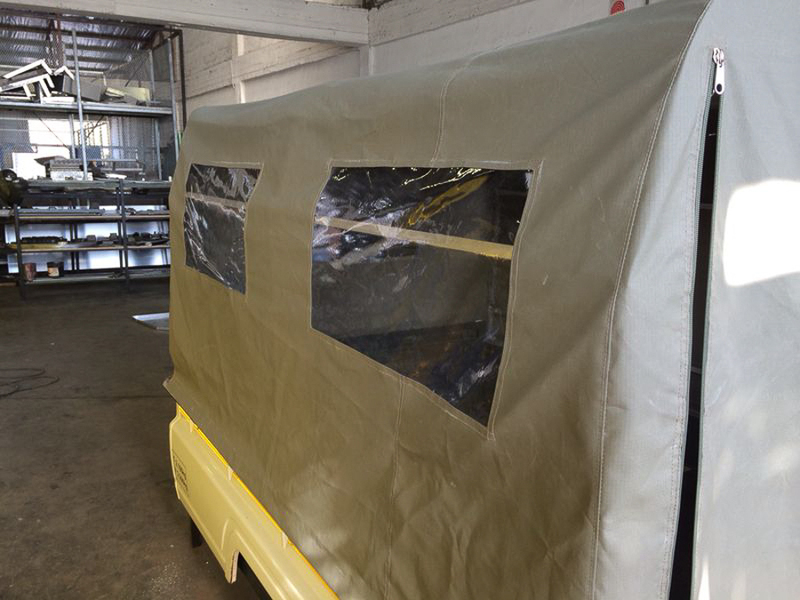 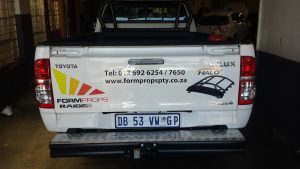 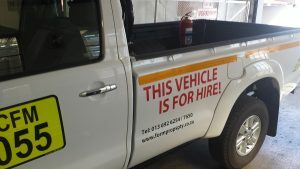 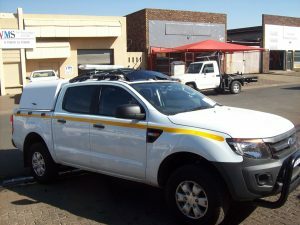 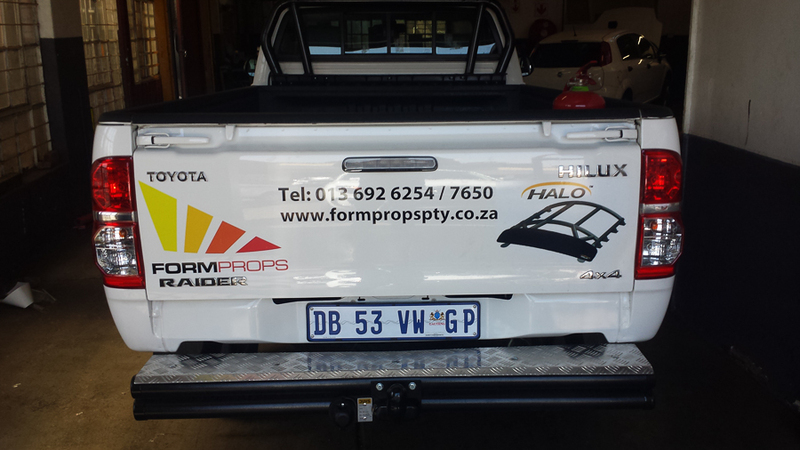 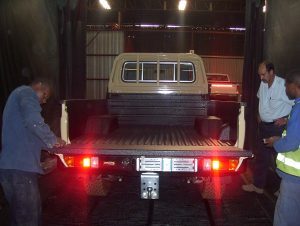 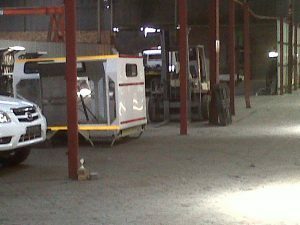 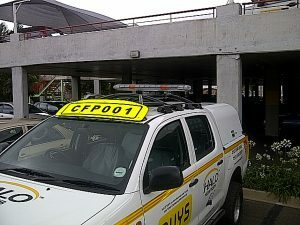 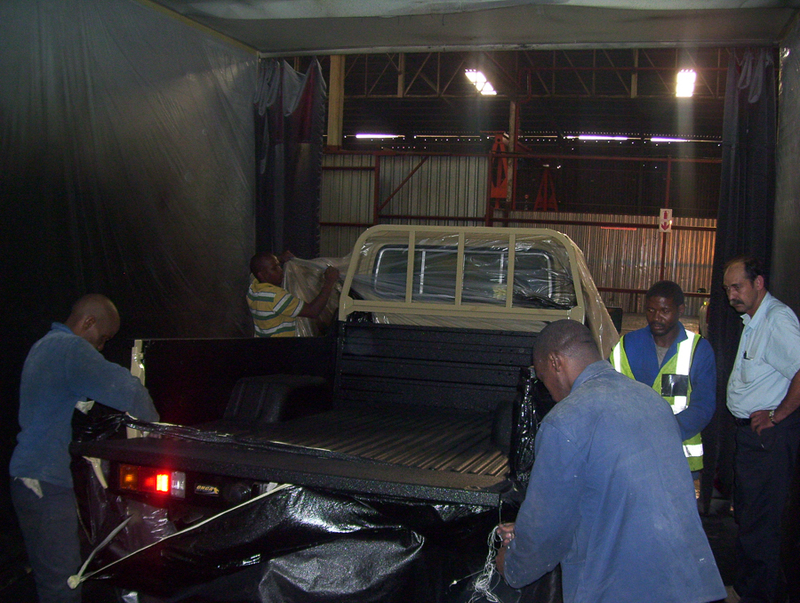 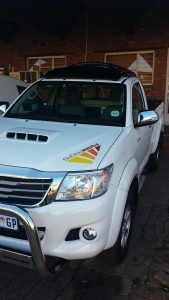 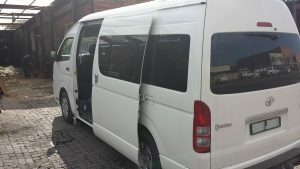 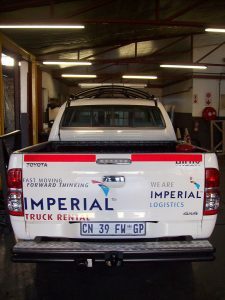 Formprops is an eMalahleni based, locally owned company that rents mine compliant vehicles configured with our client’s needs. 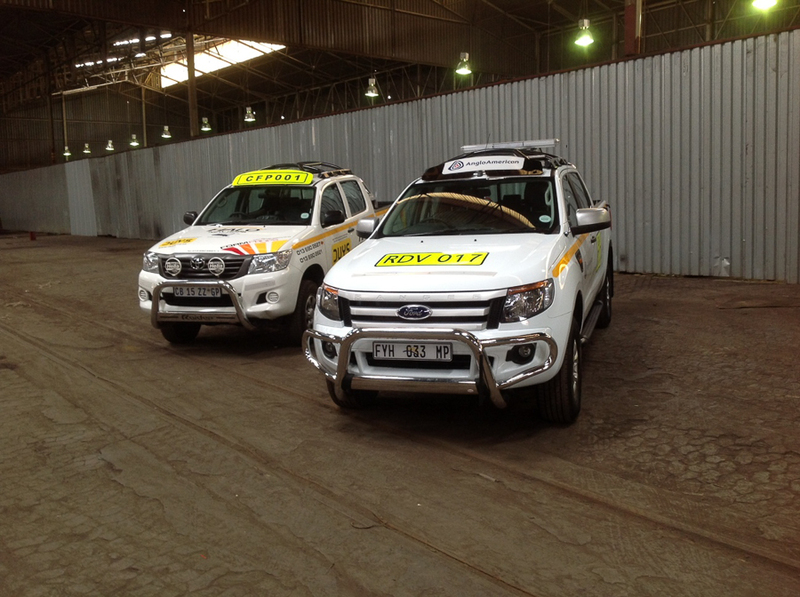 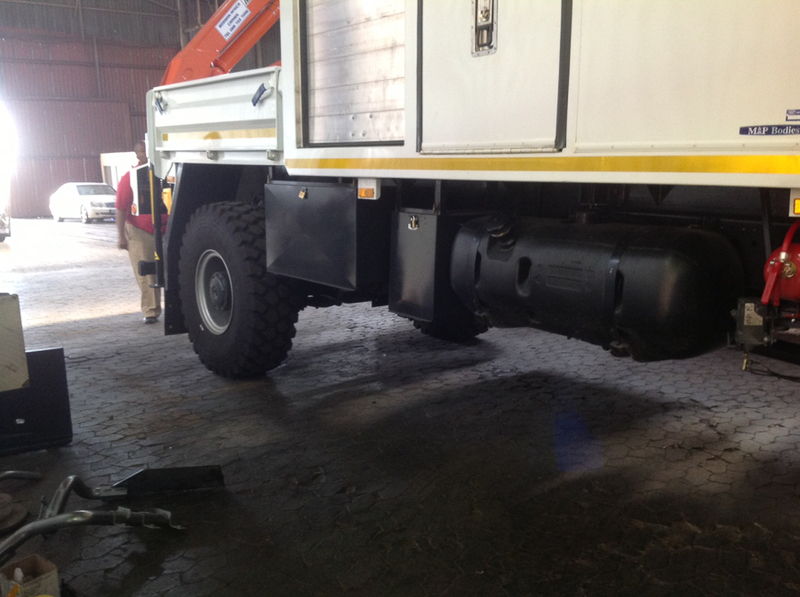 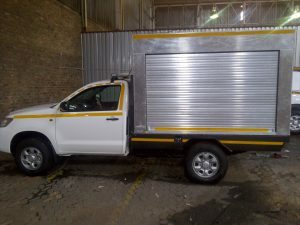 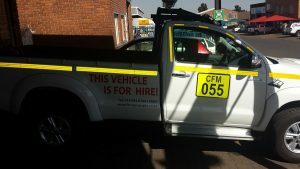 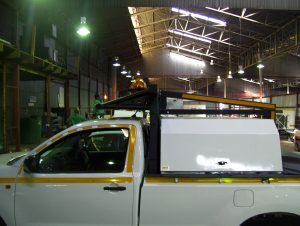 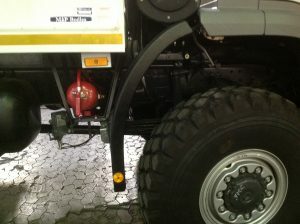 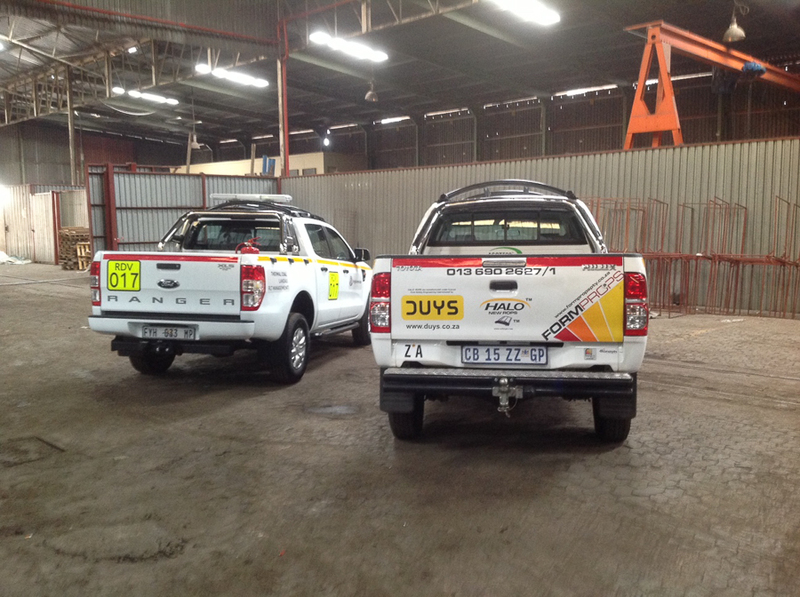 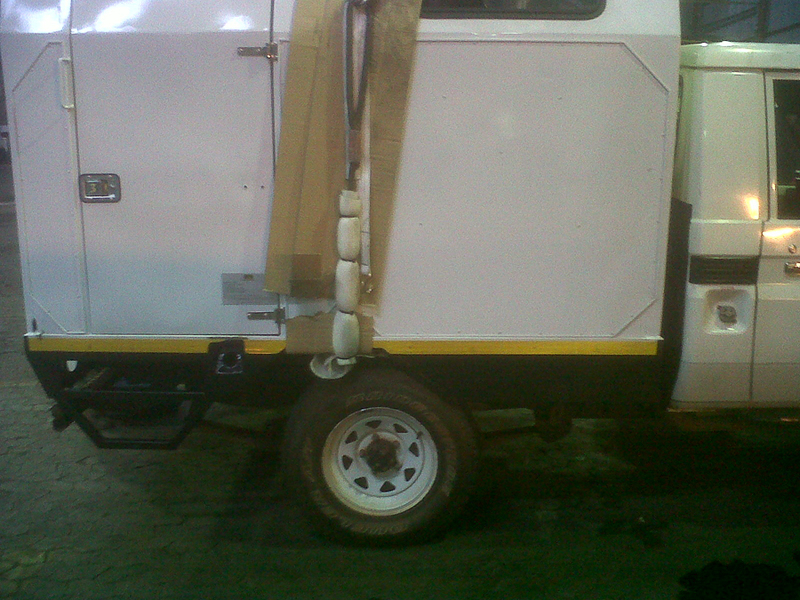 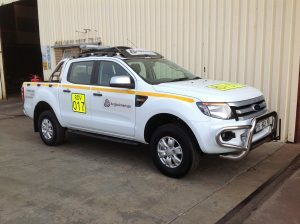 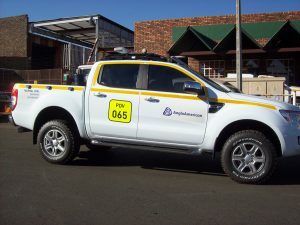 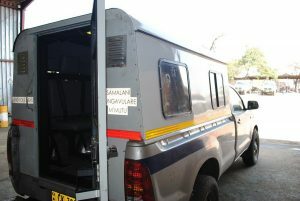 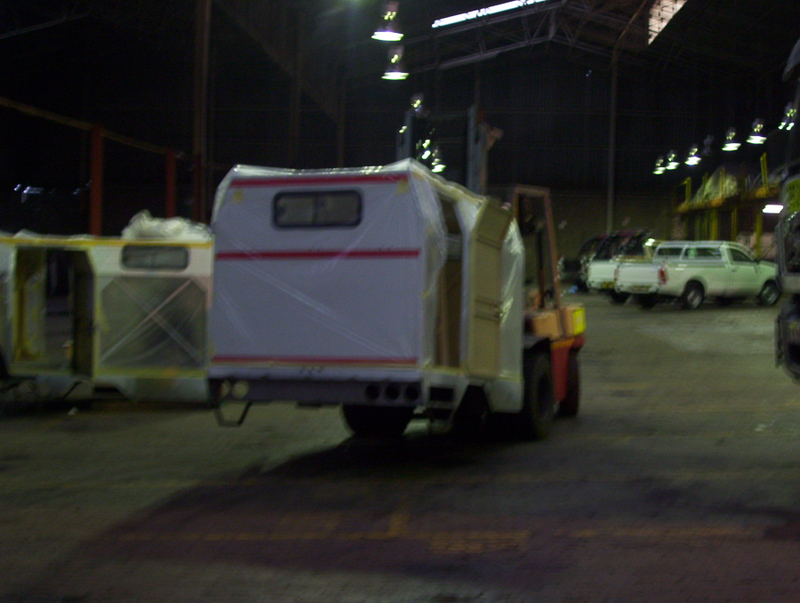 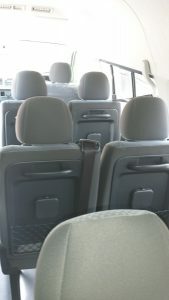 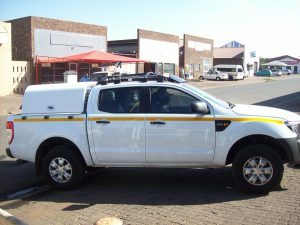 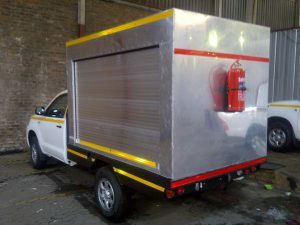 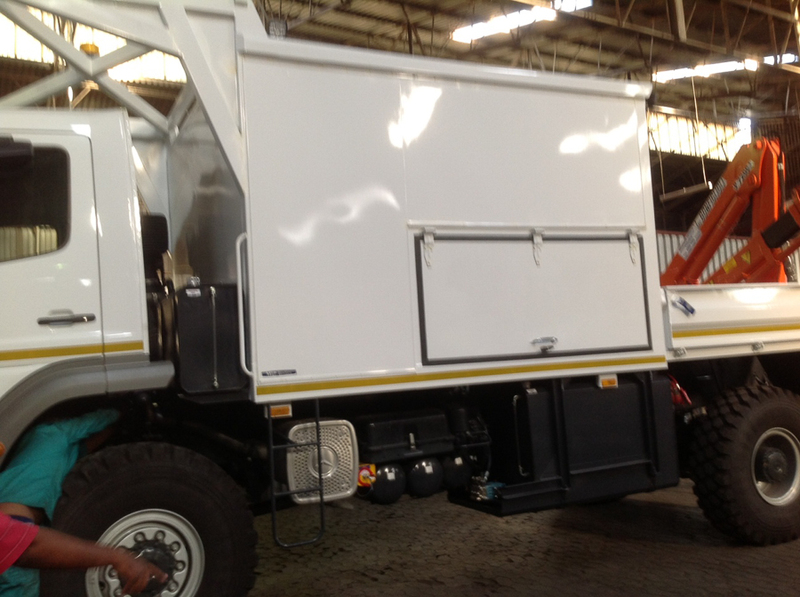 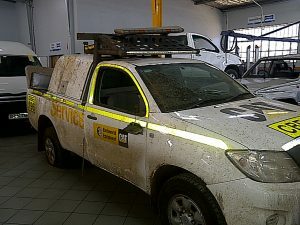 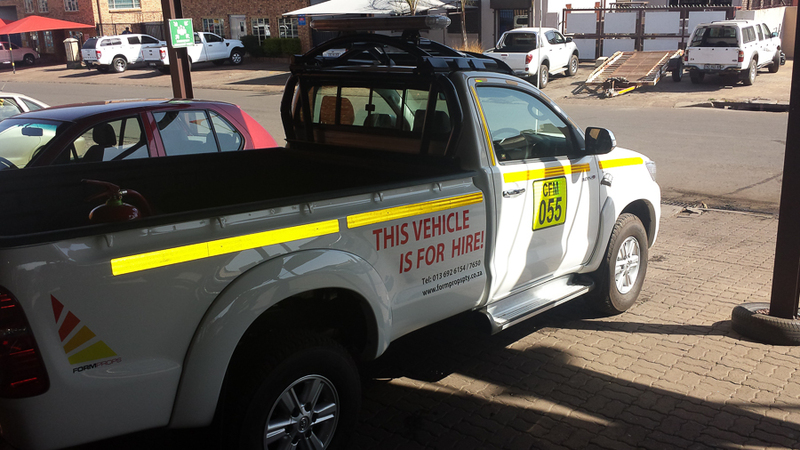 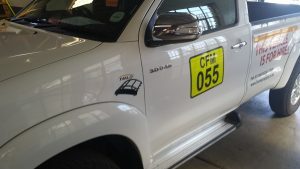 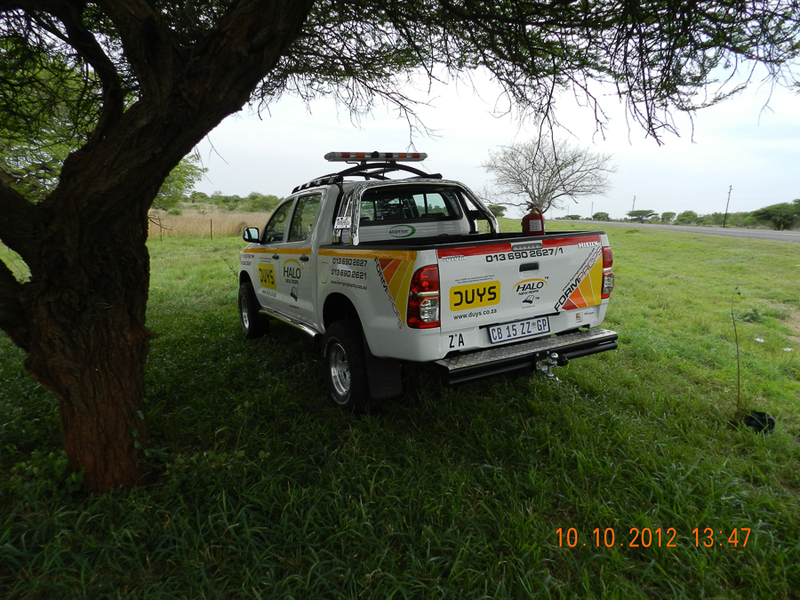 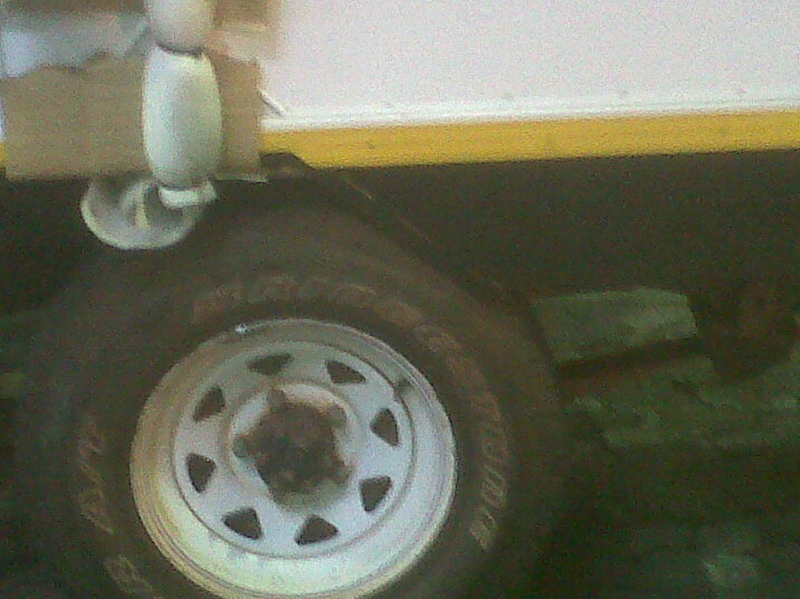 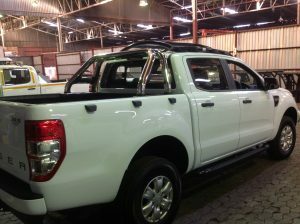 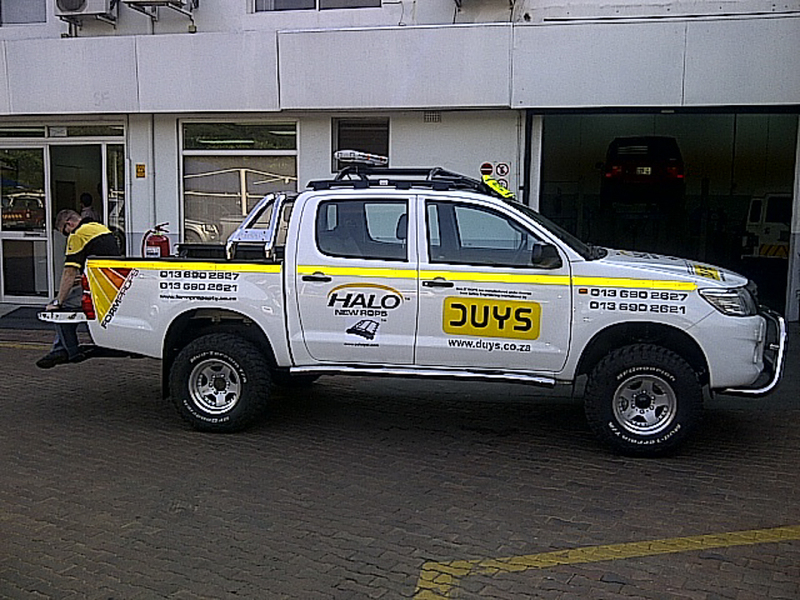 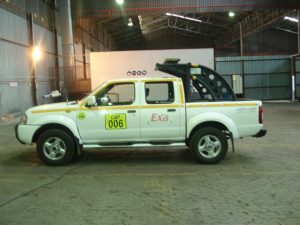 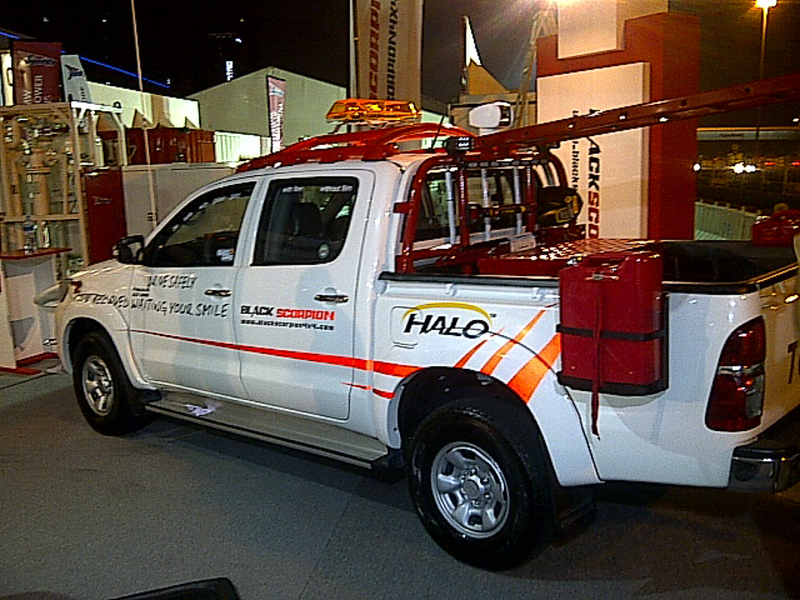 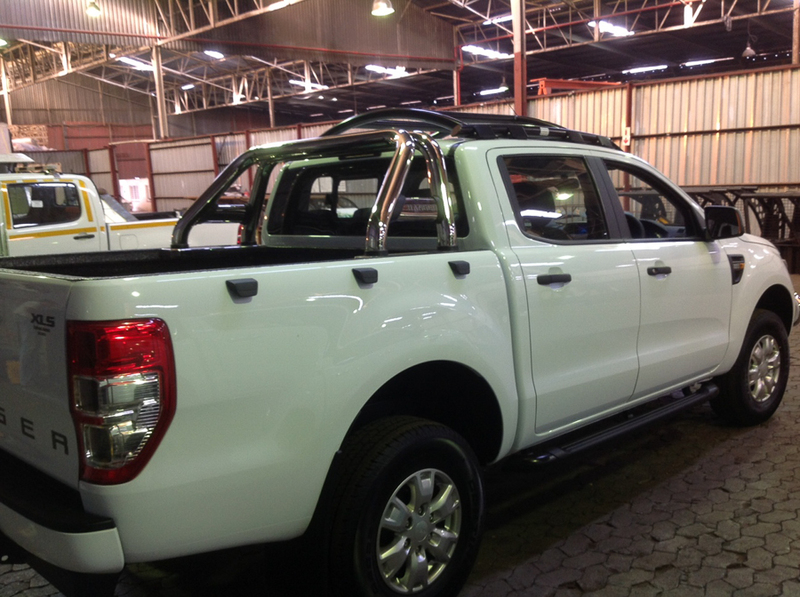 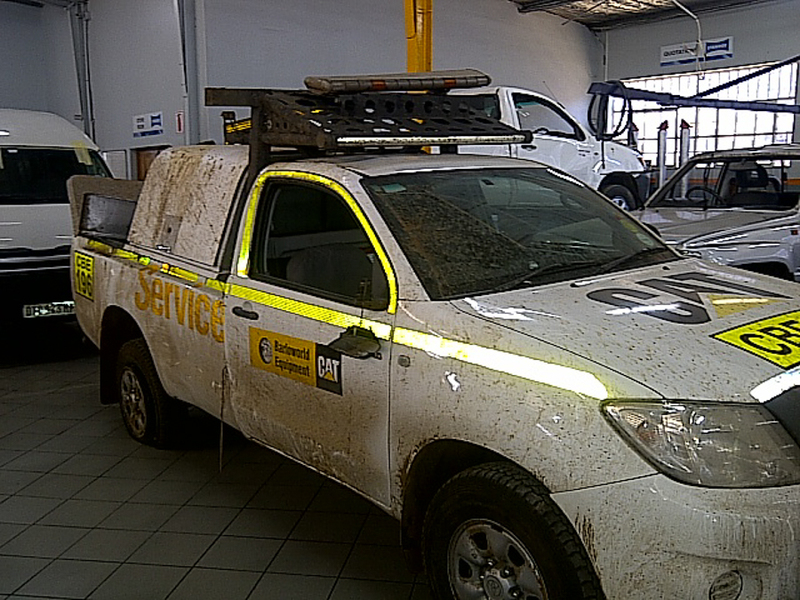 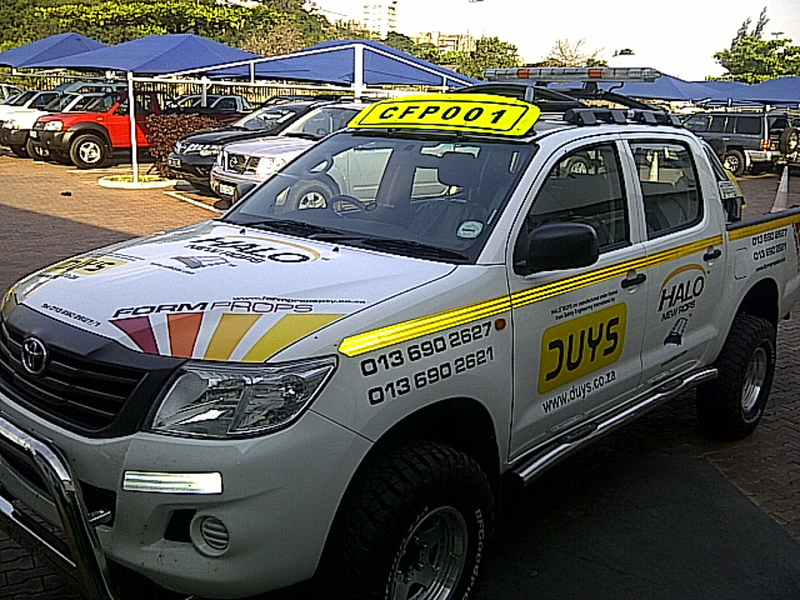 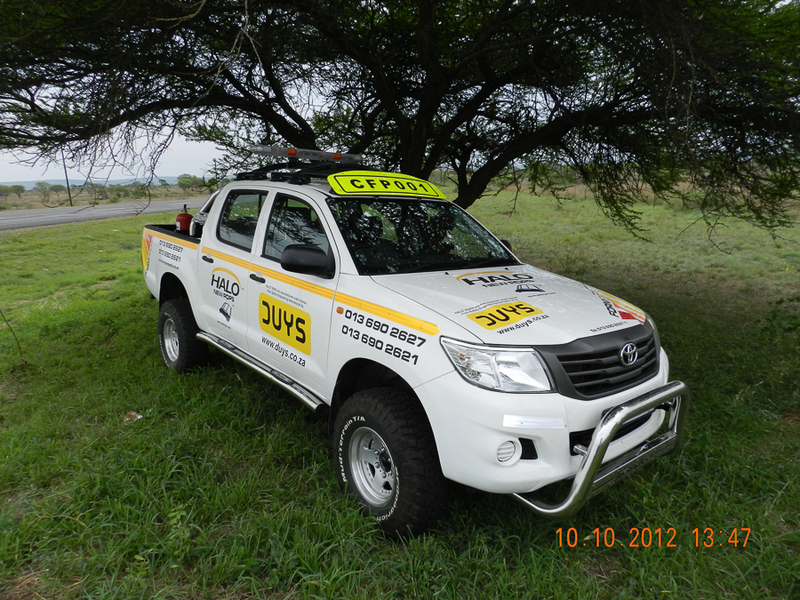 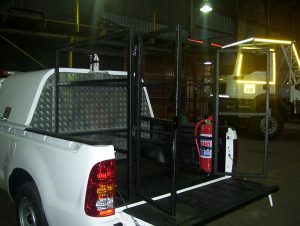 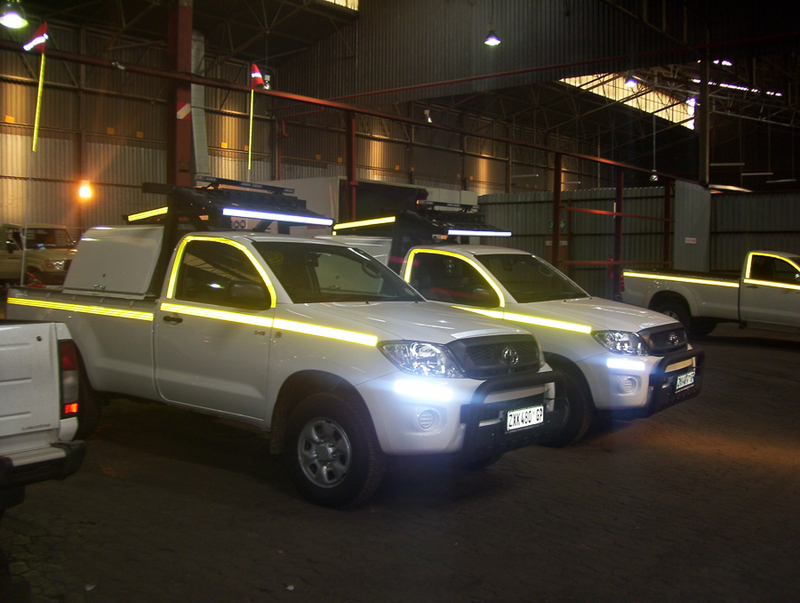 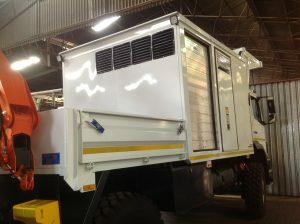 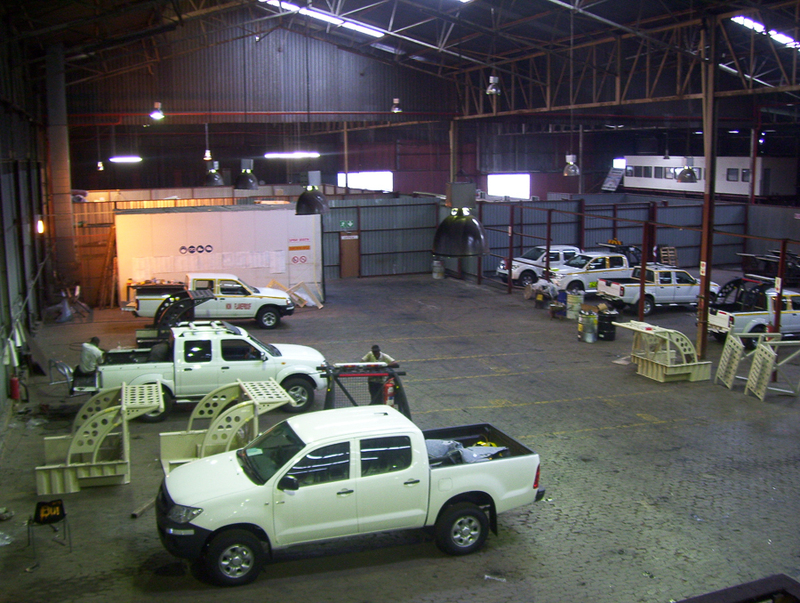 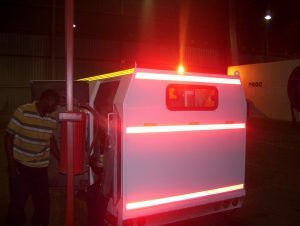 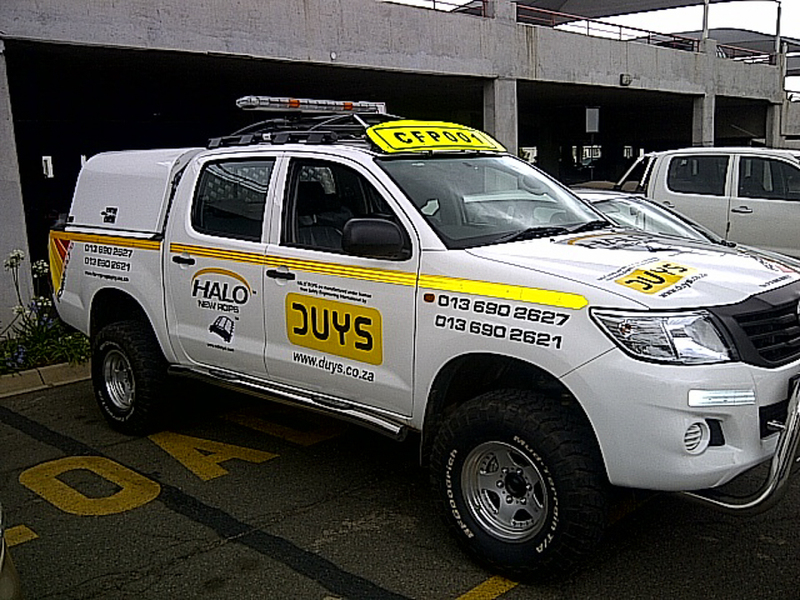 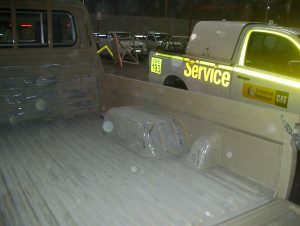 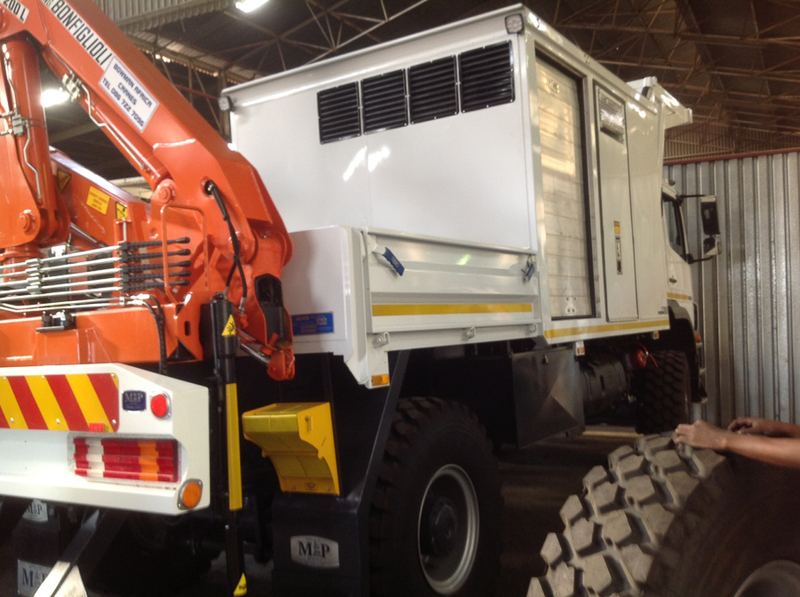 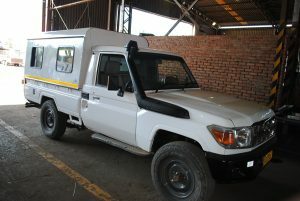 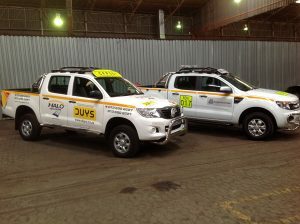 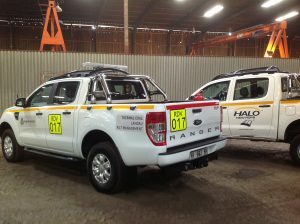 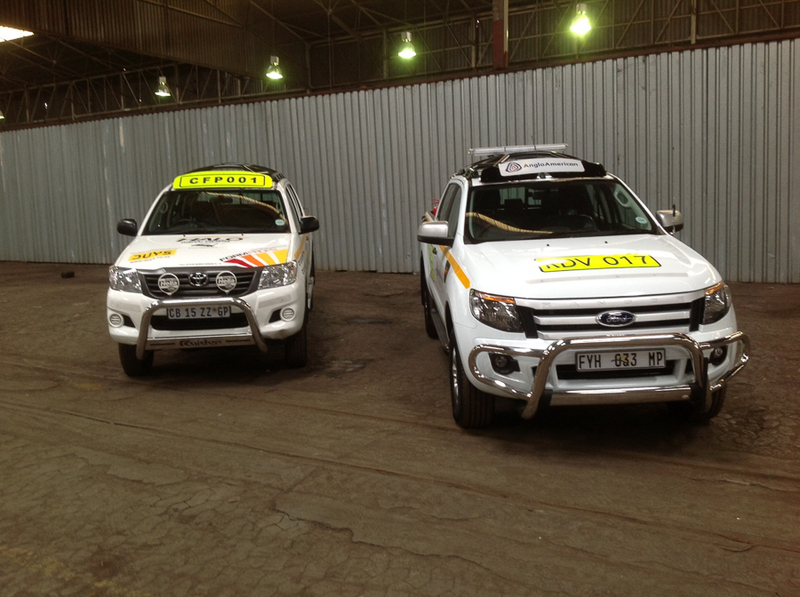 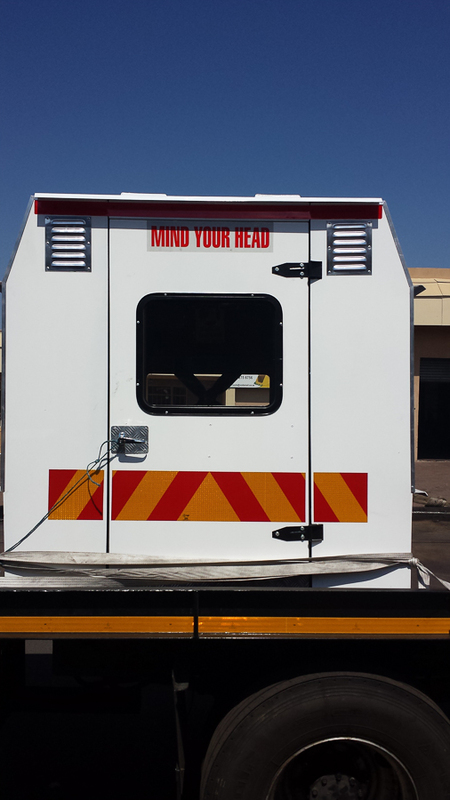 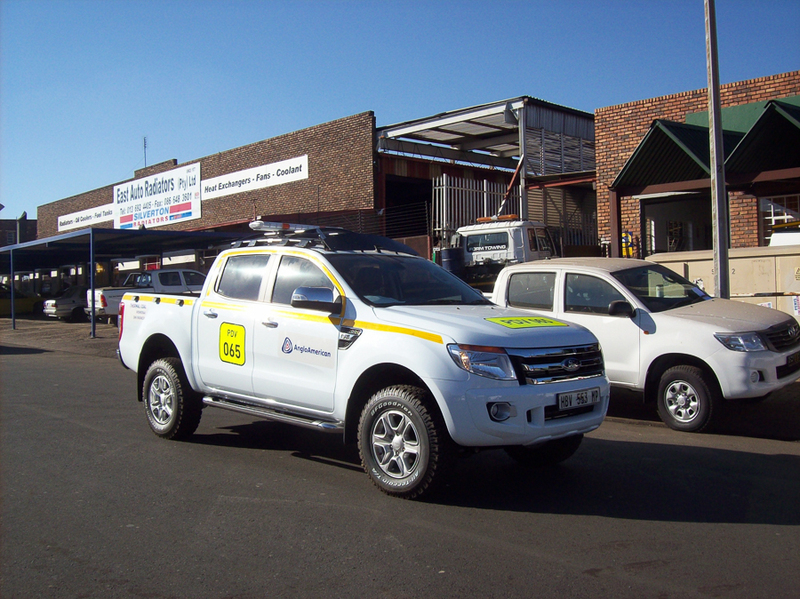 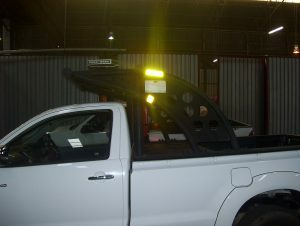 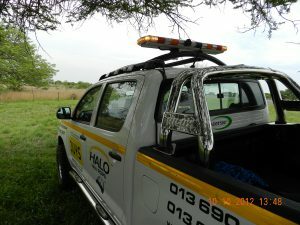 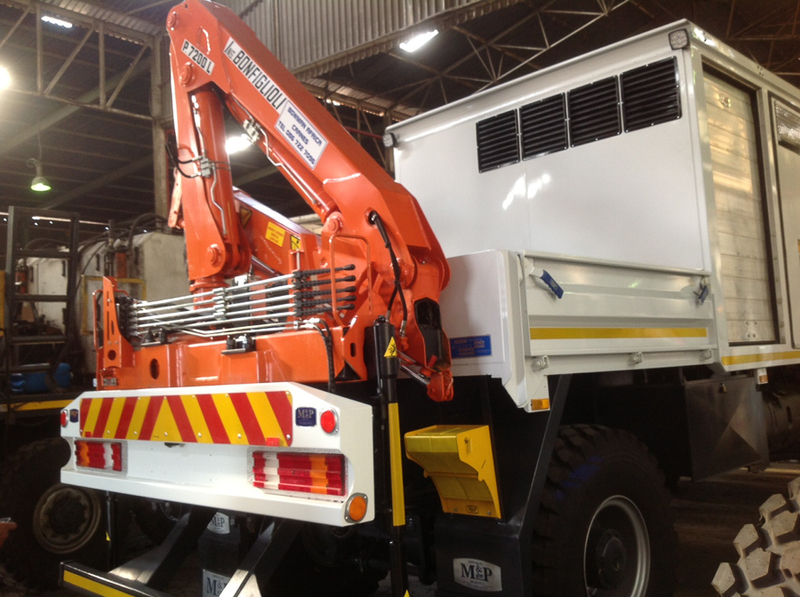 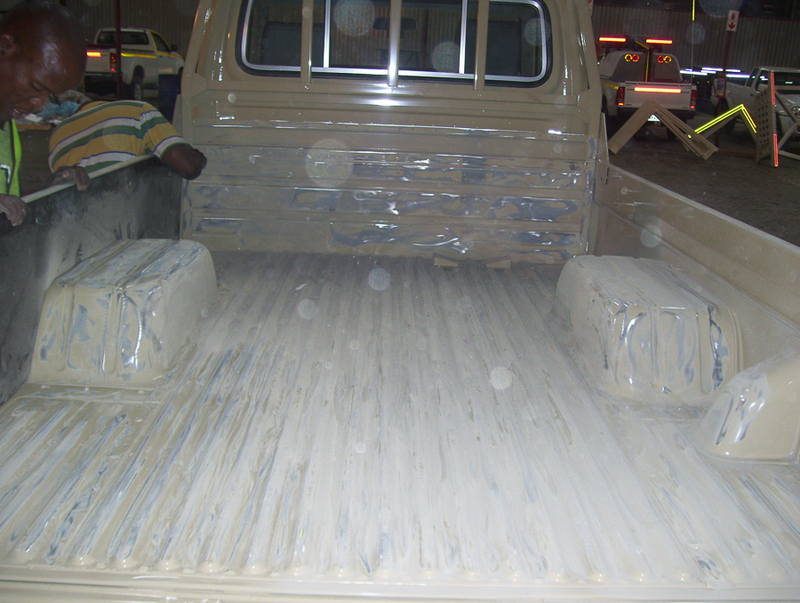 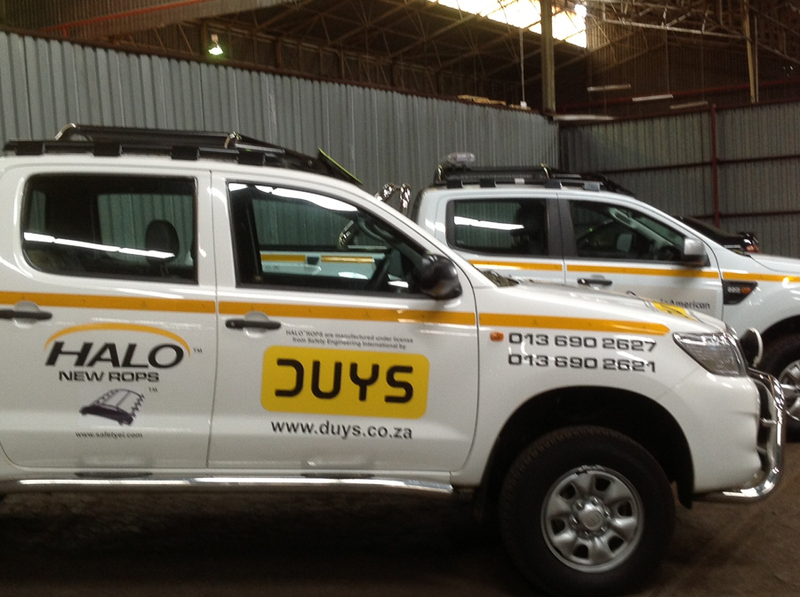 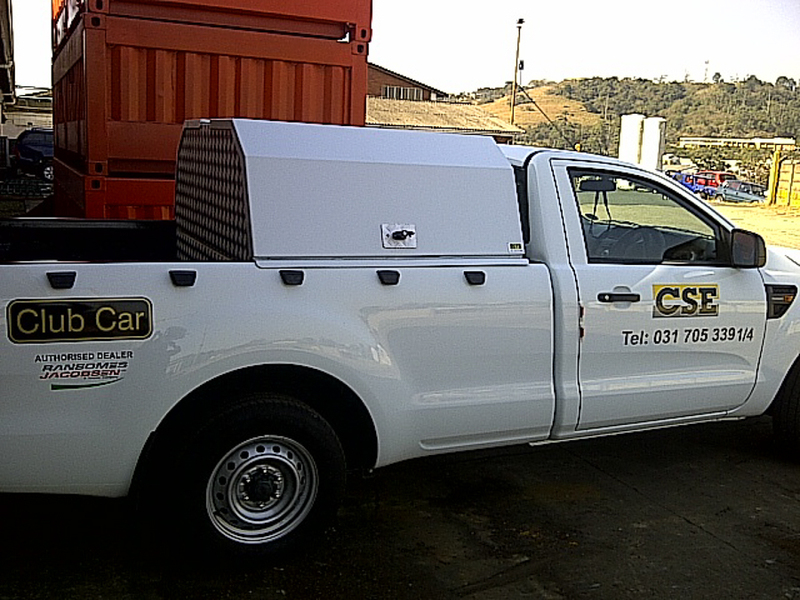 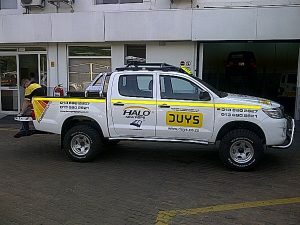 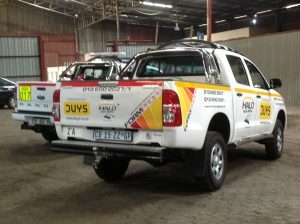 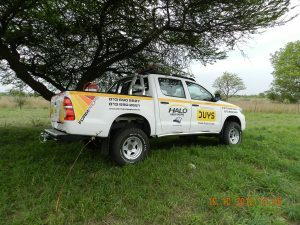 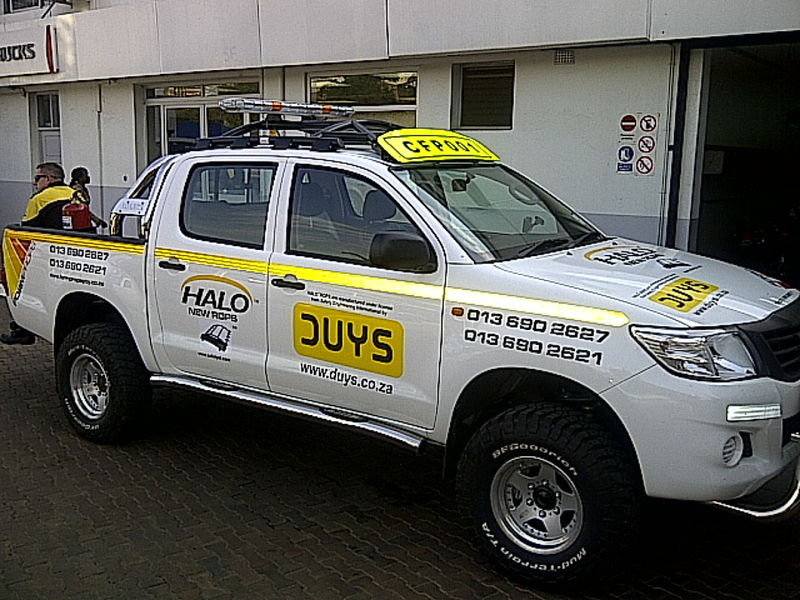 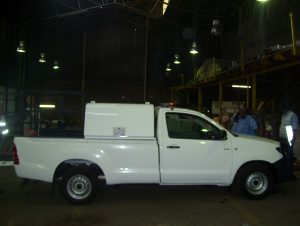 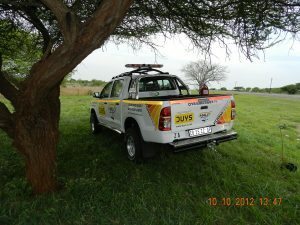 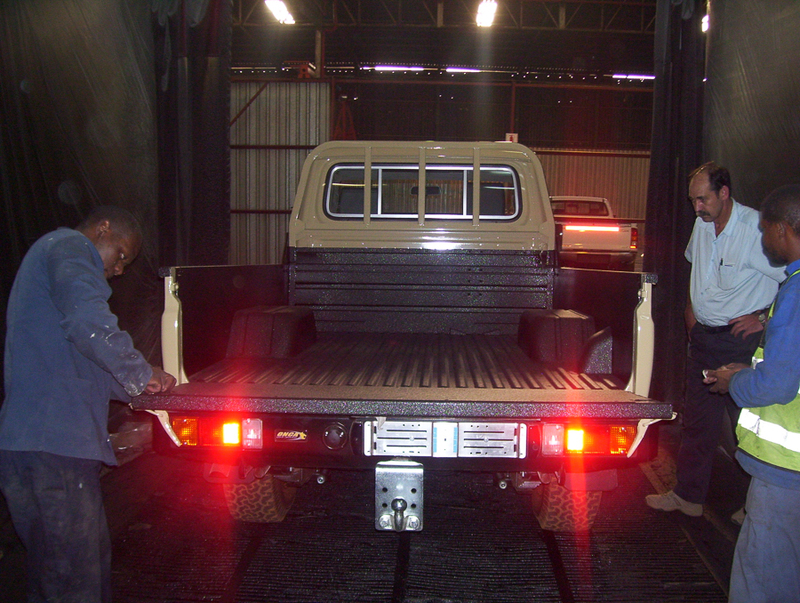 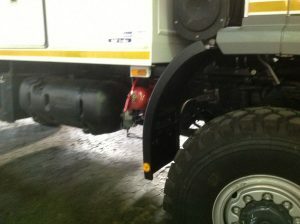 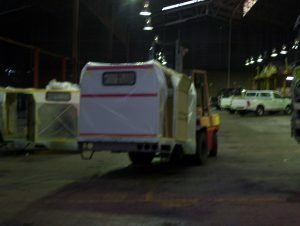 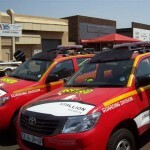 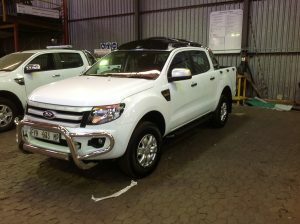 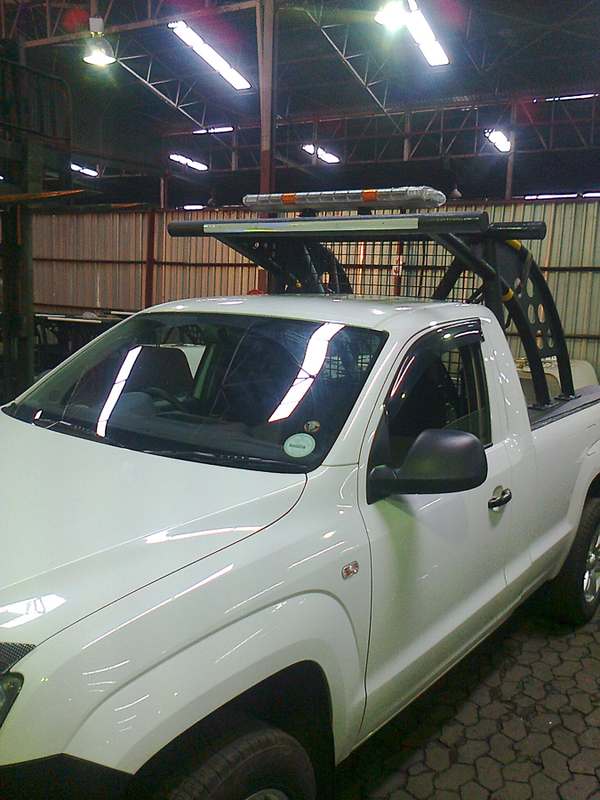 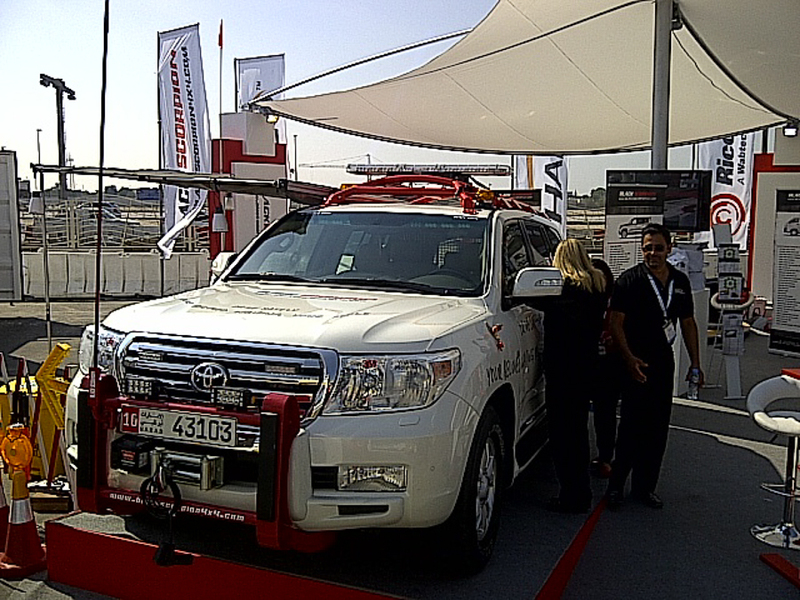 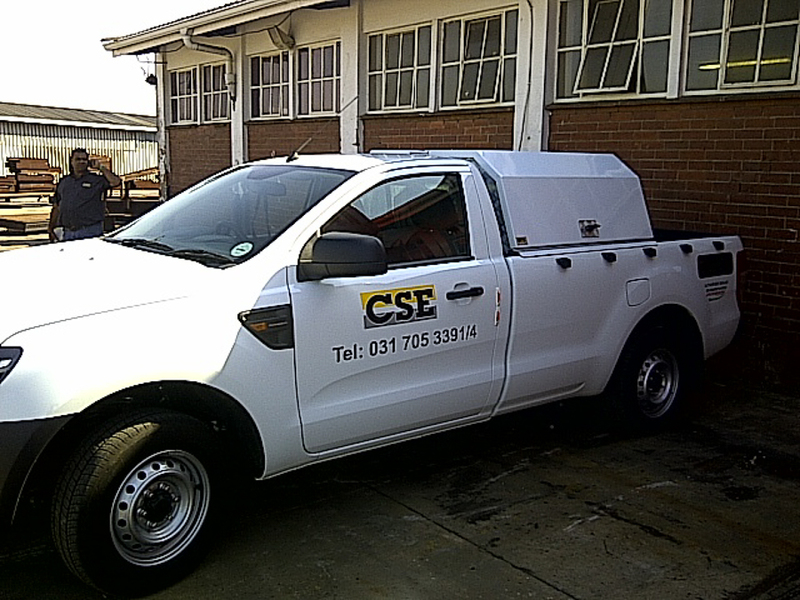 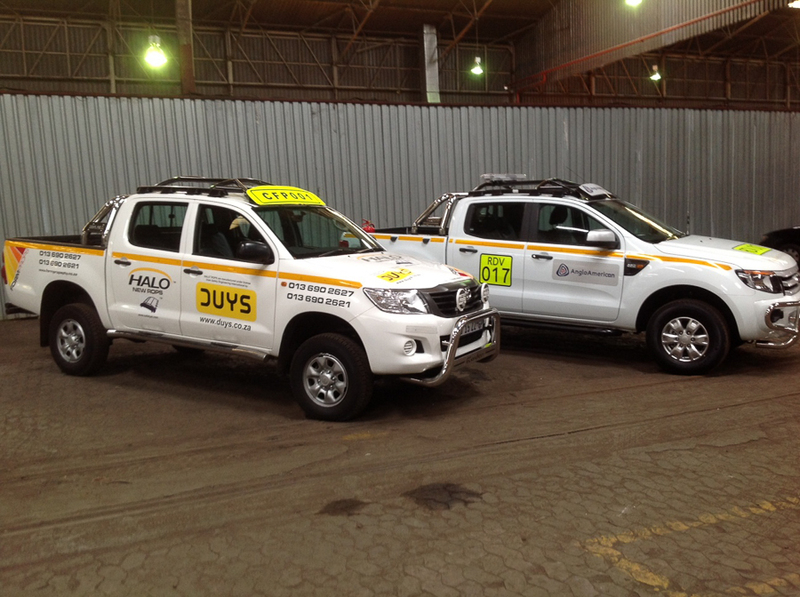 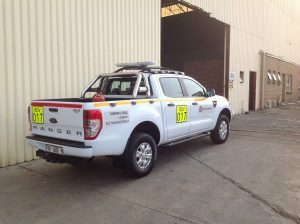 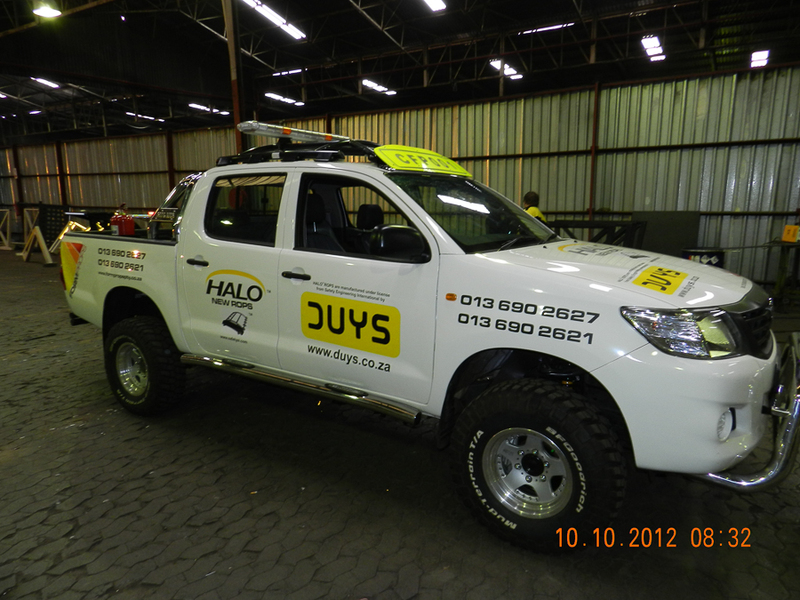 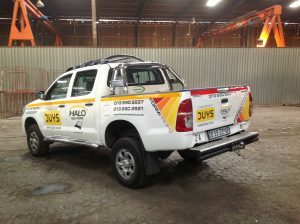 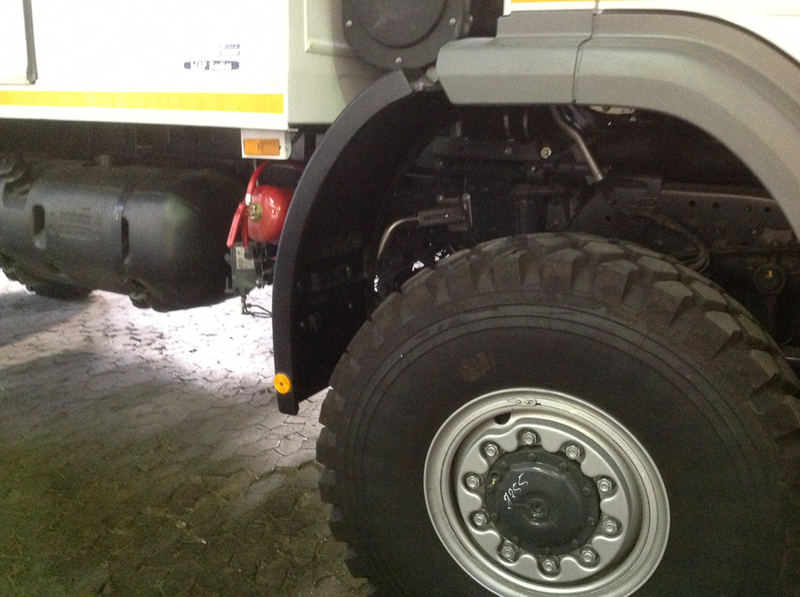 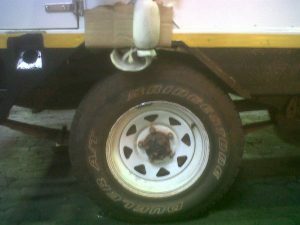 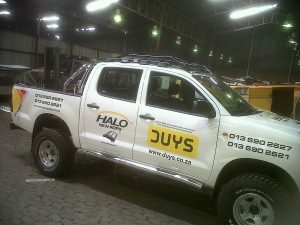 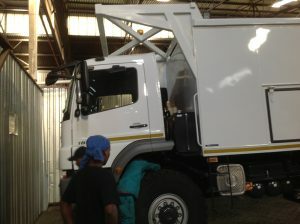 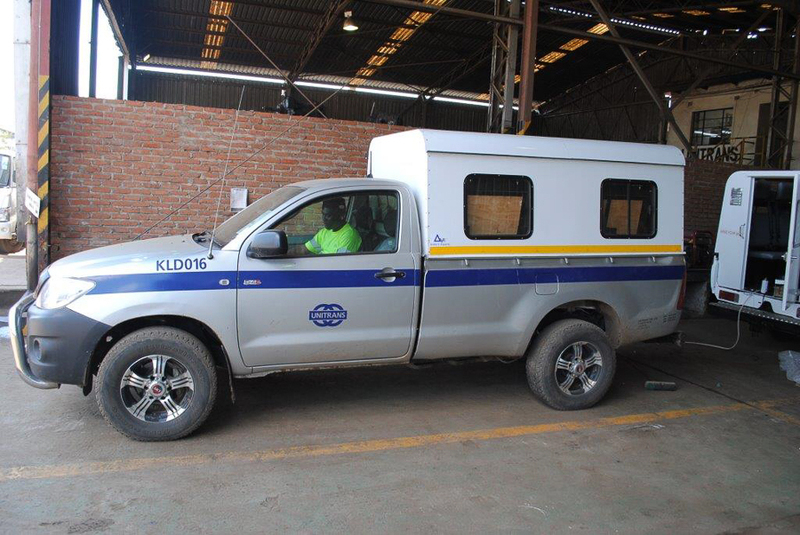 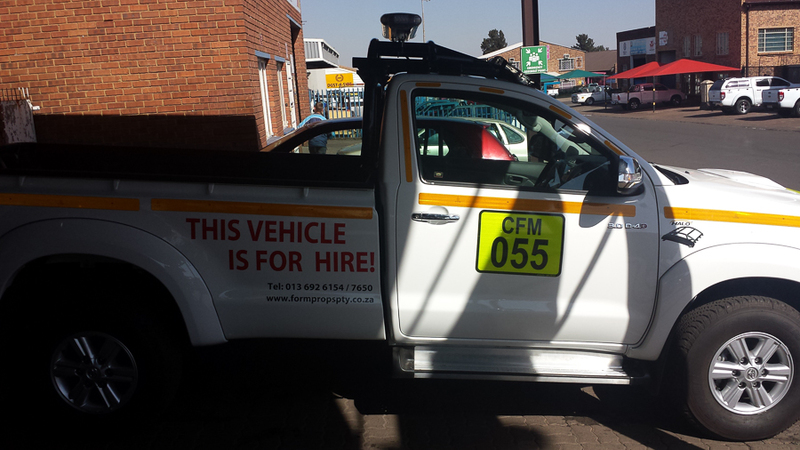 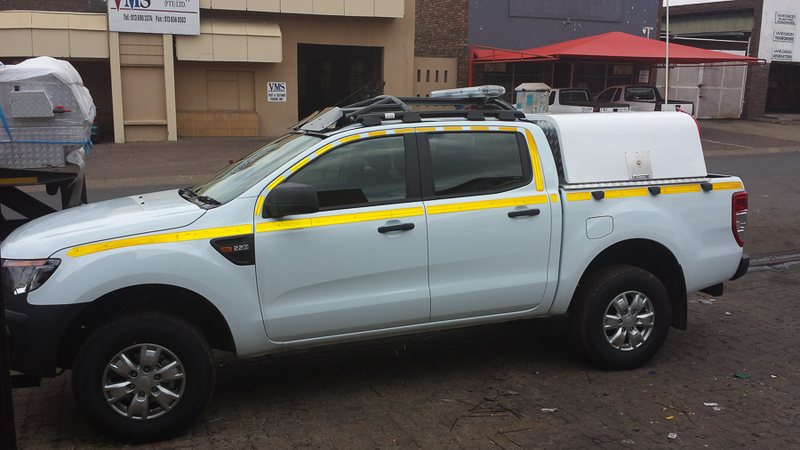 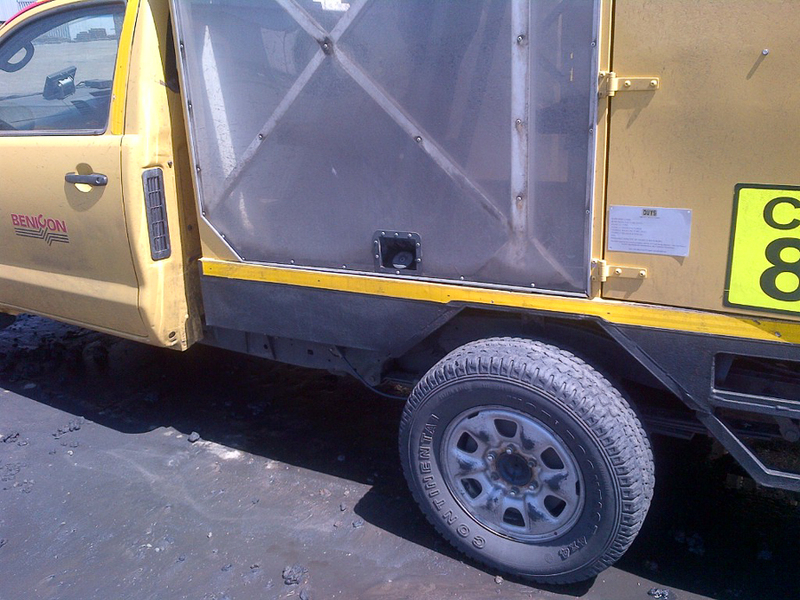 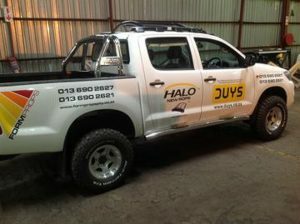 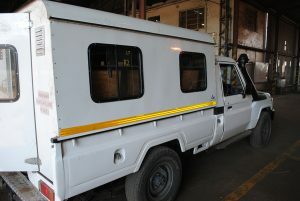 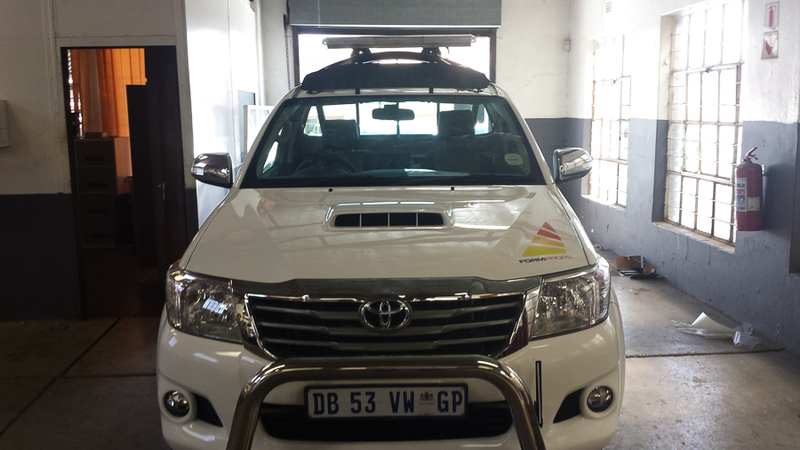 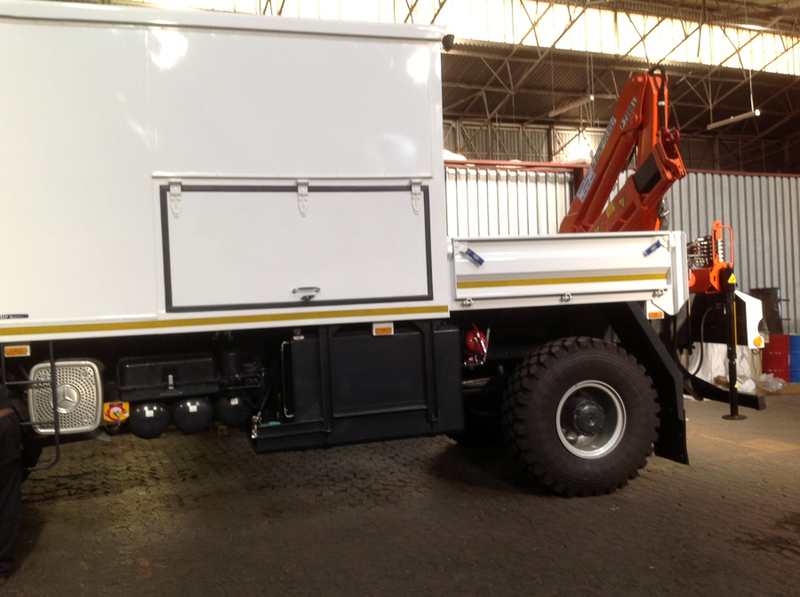 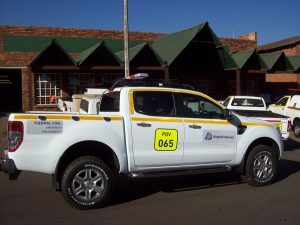 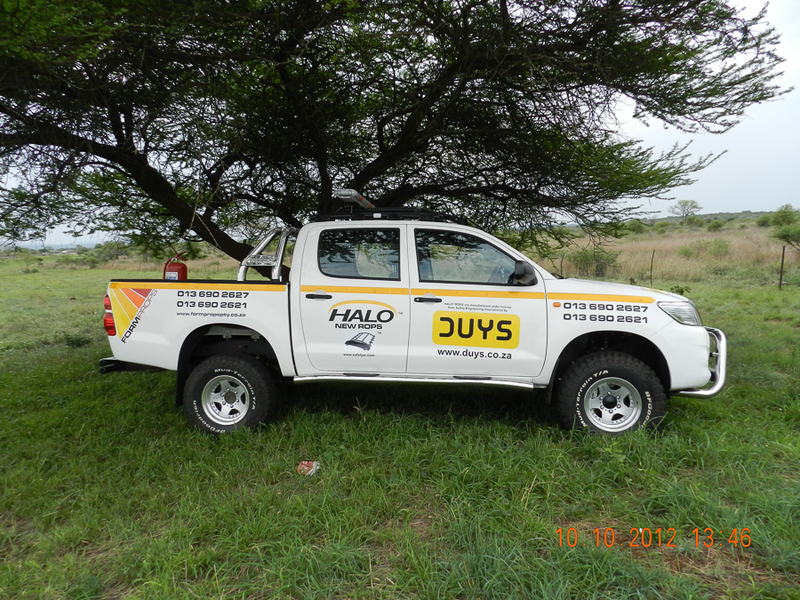 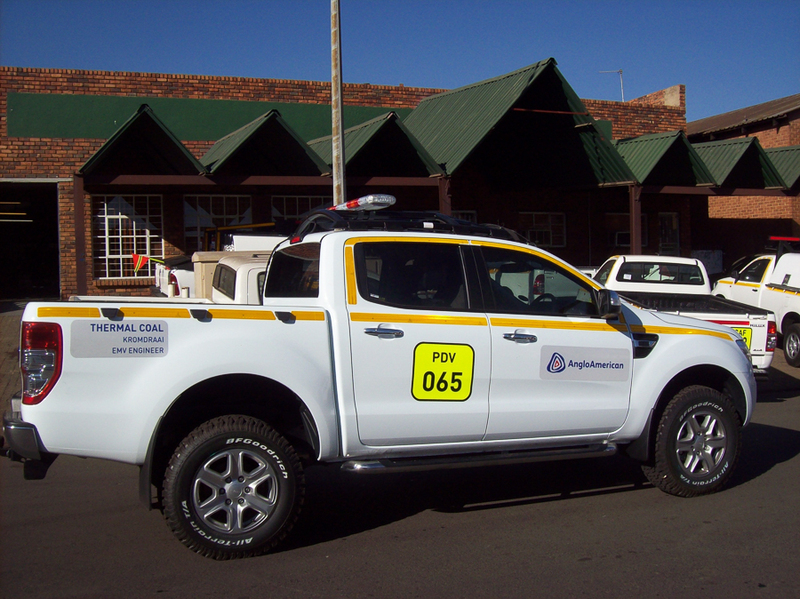 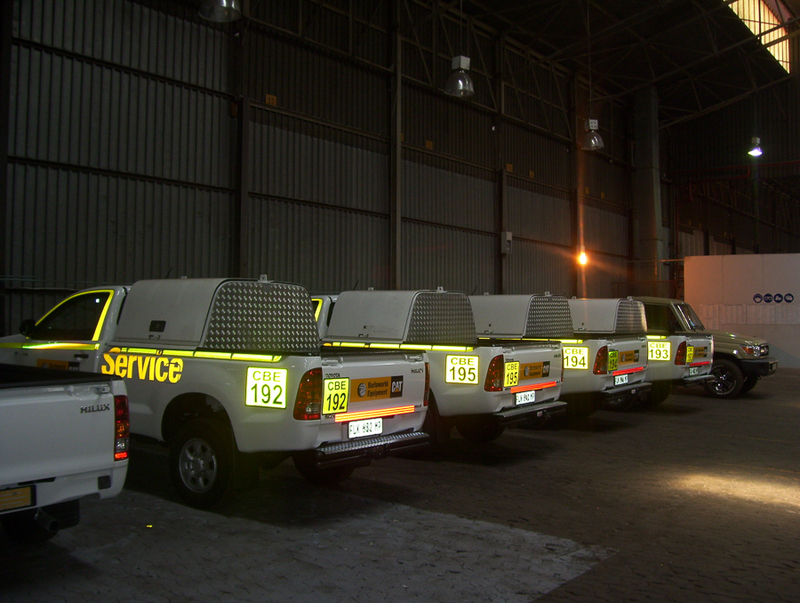 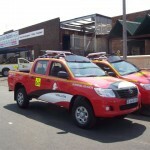 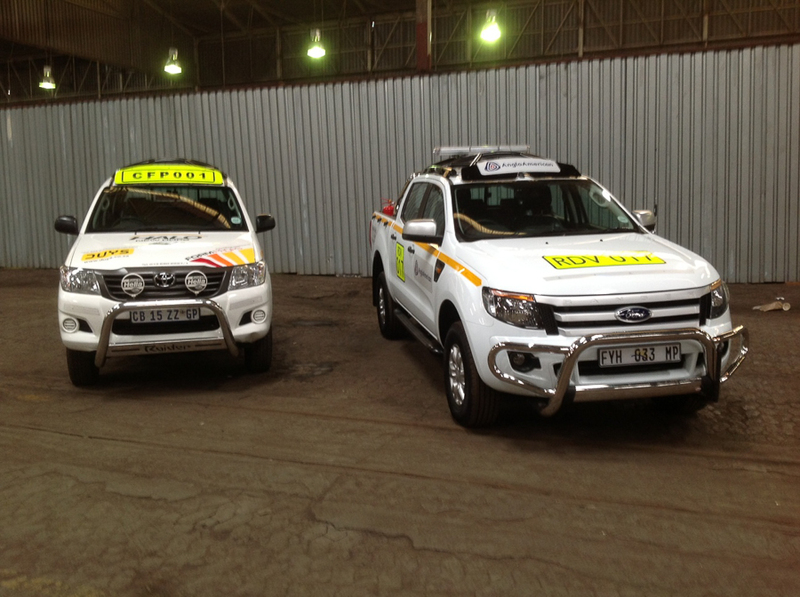 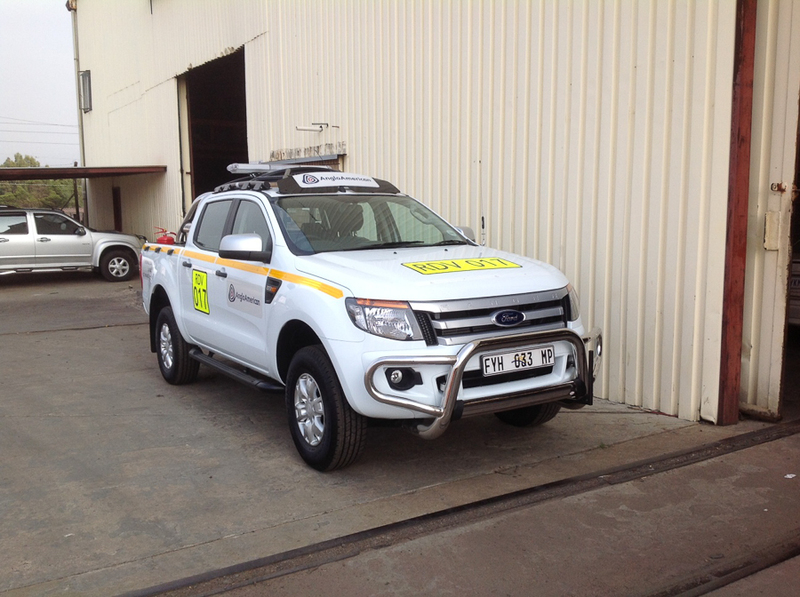 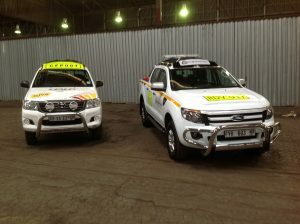 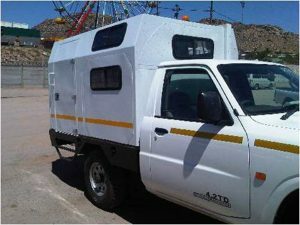 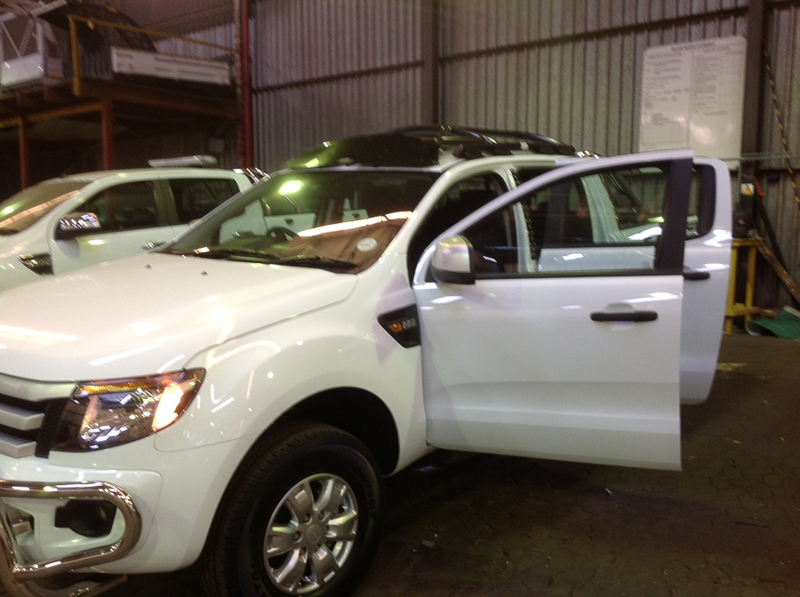 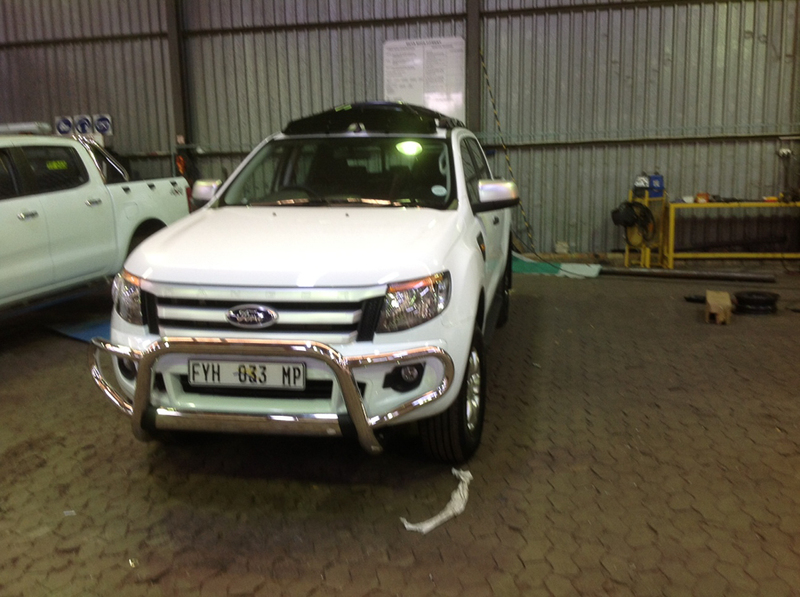 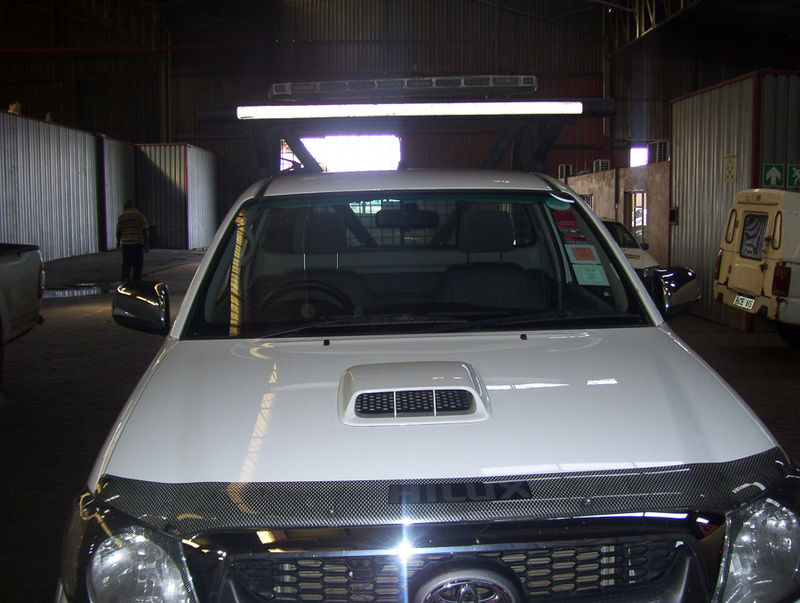 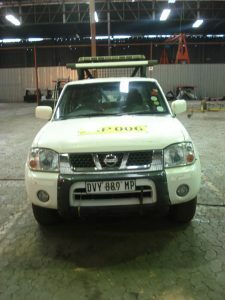 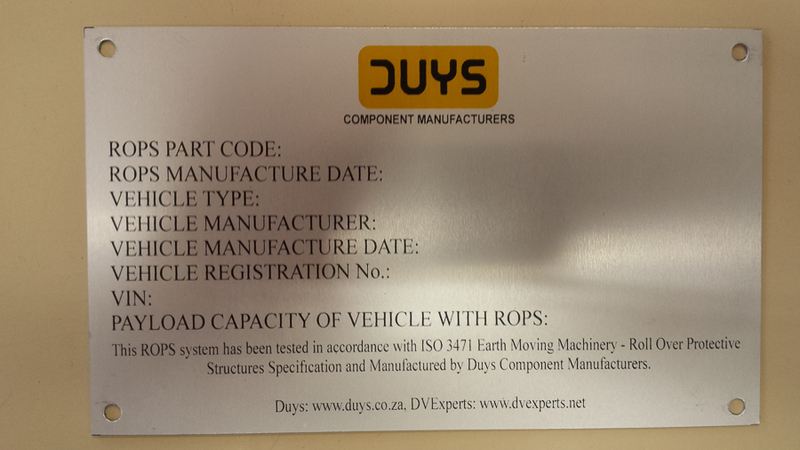 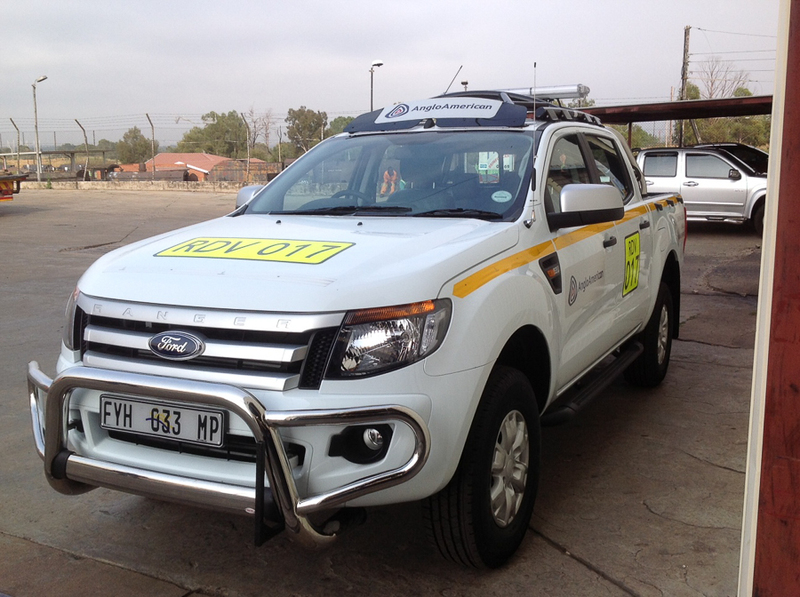 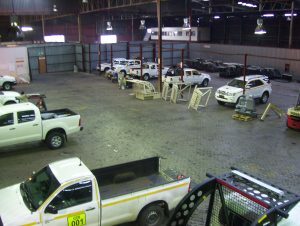 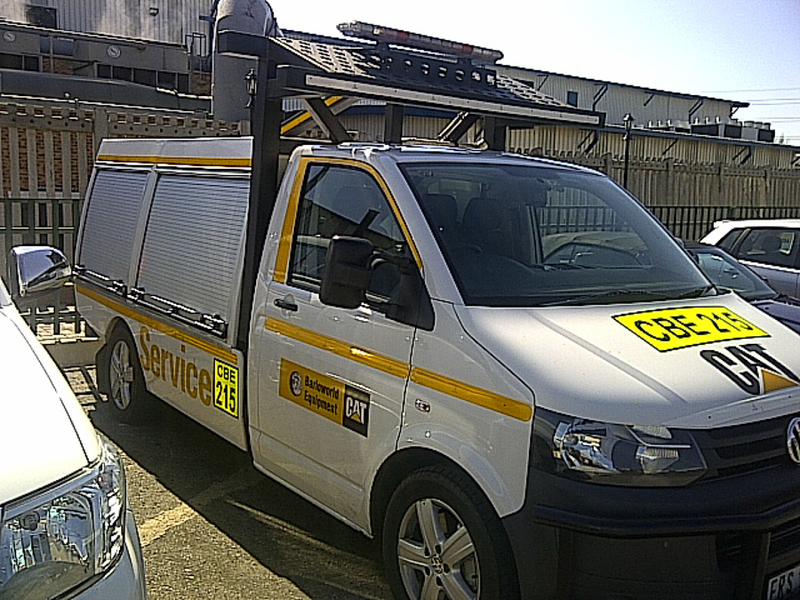 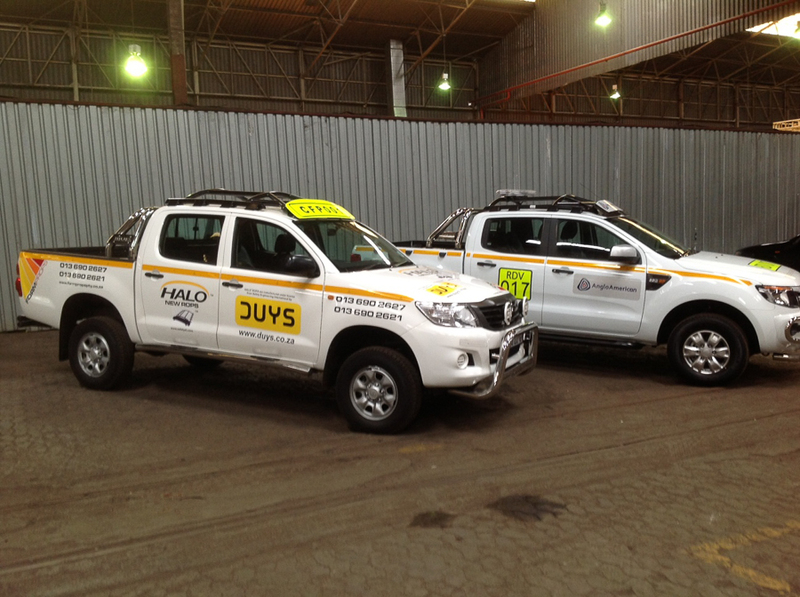 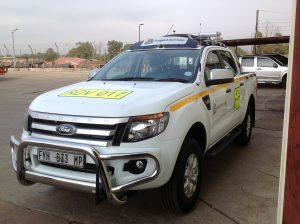 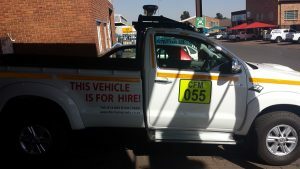 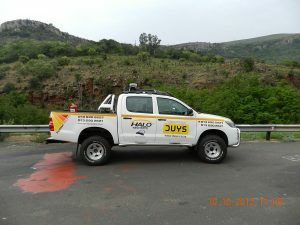 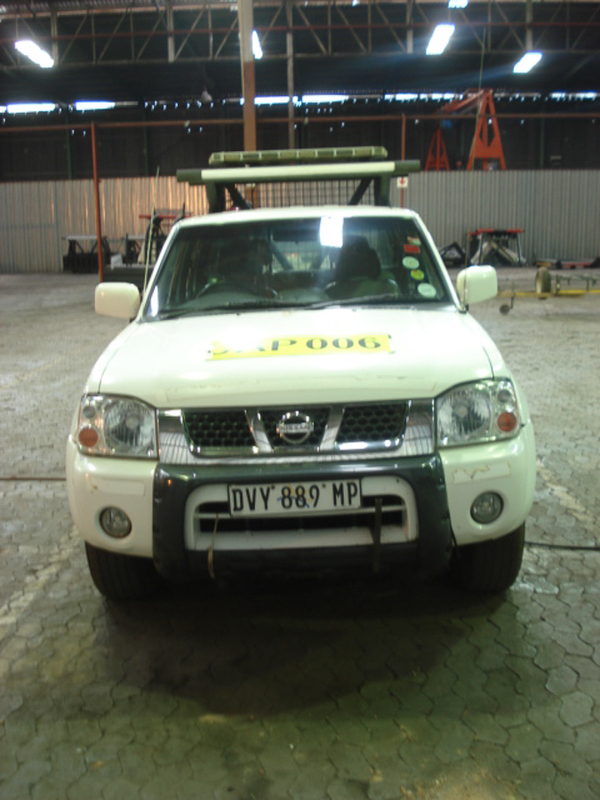 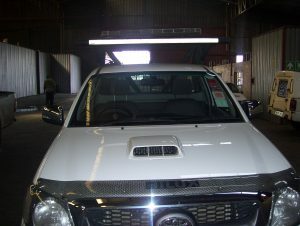 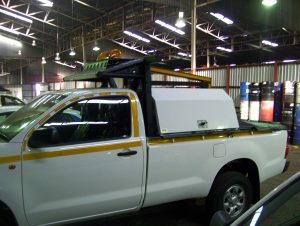 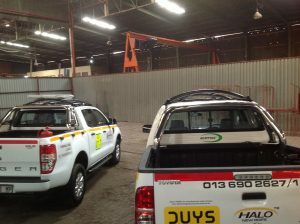 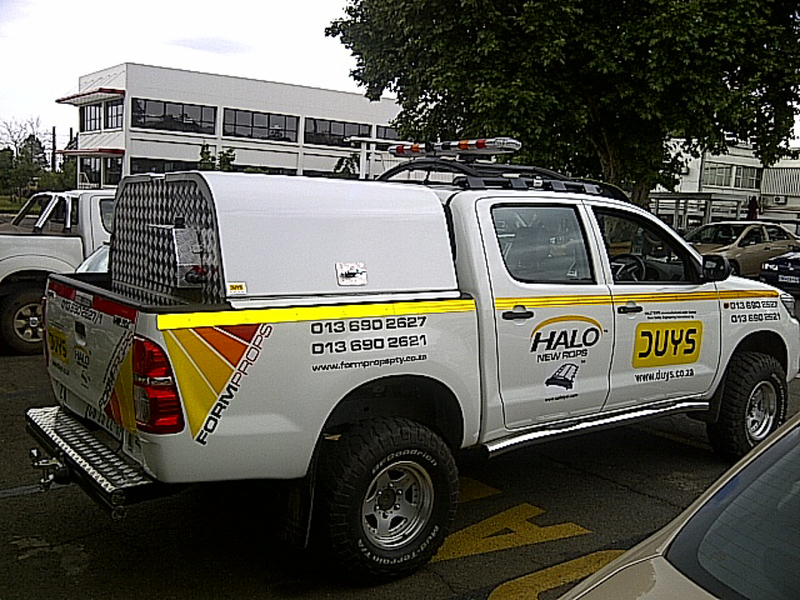 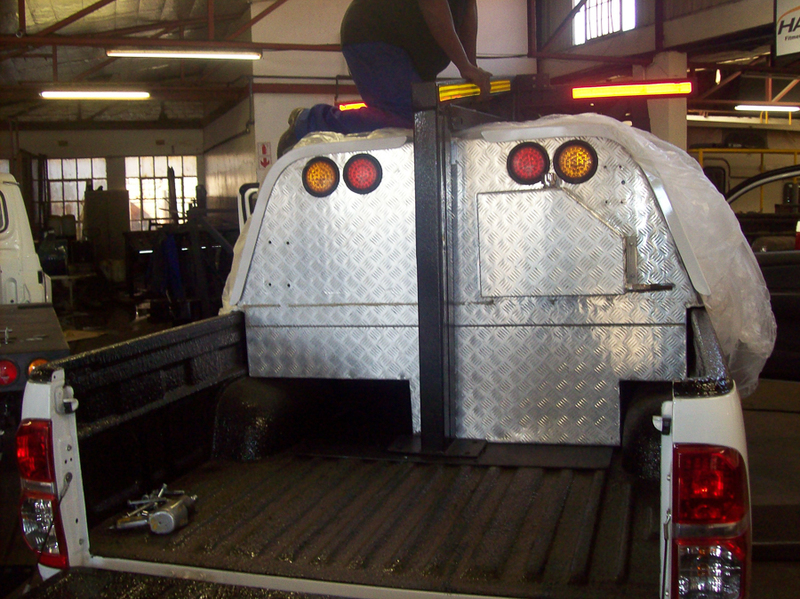 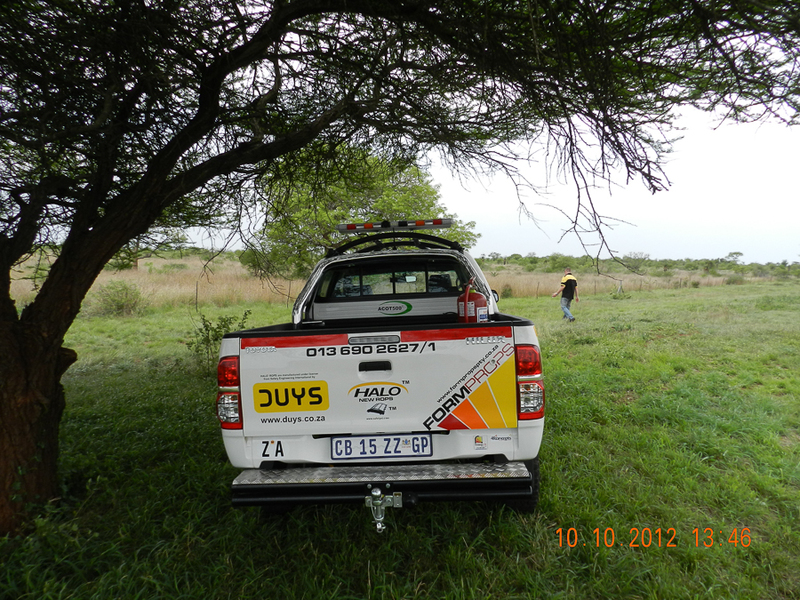 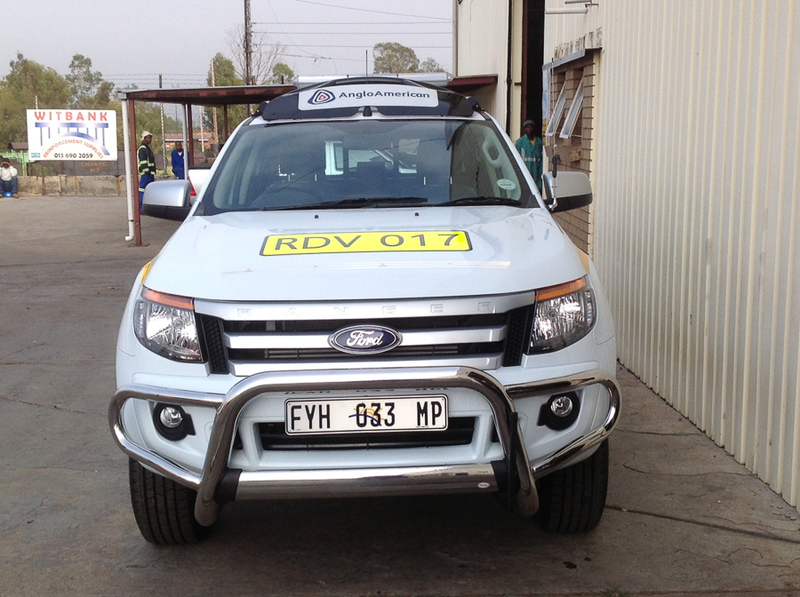 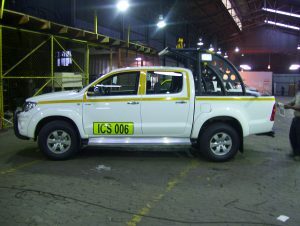 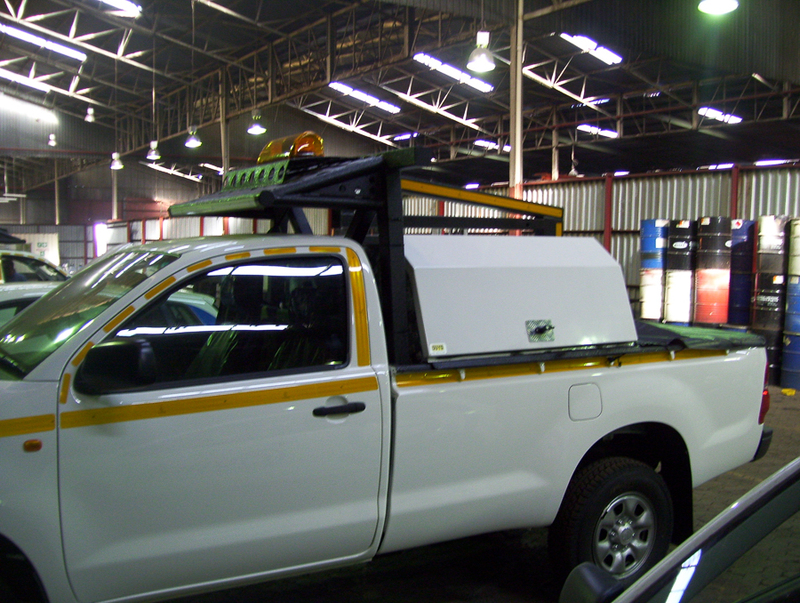 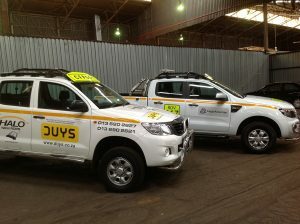 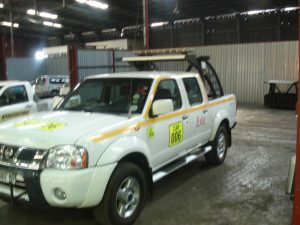 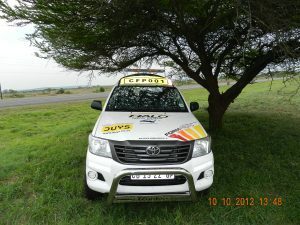 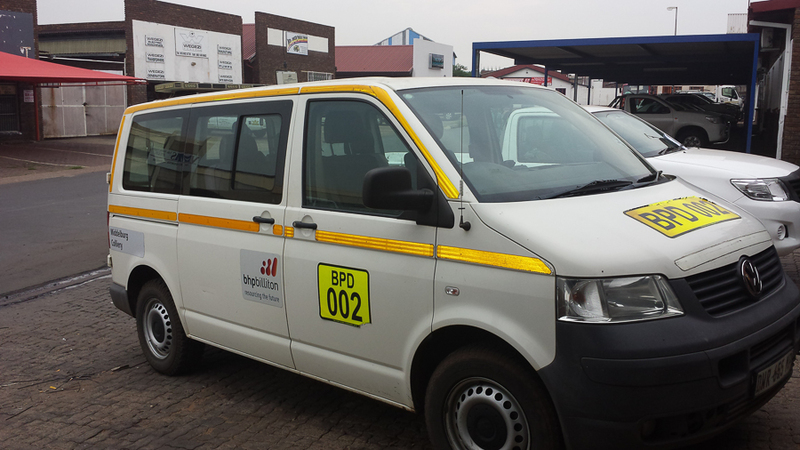 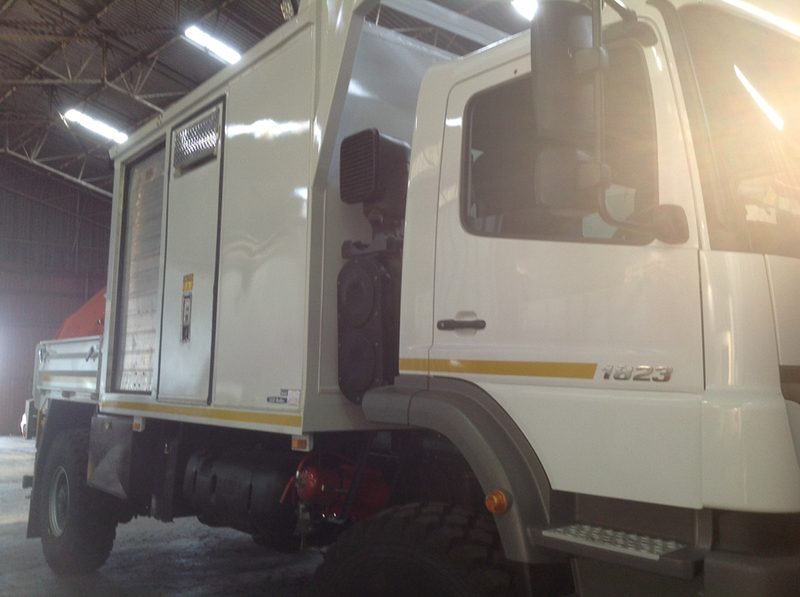 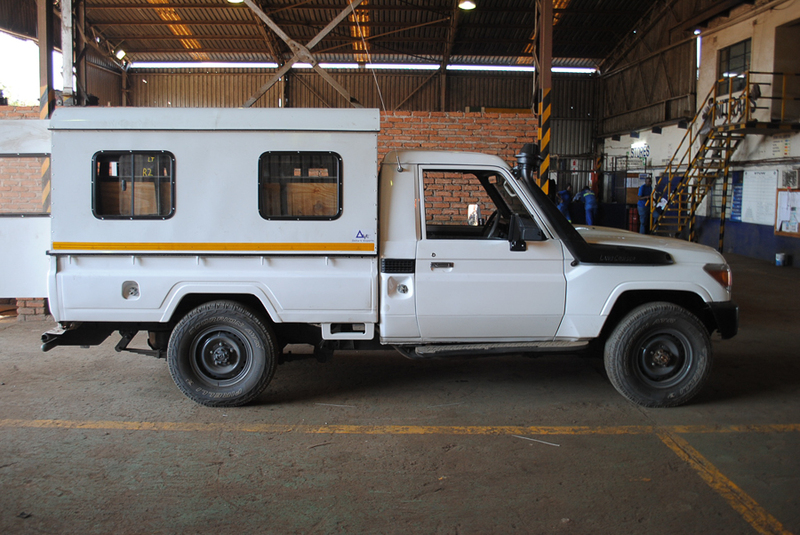 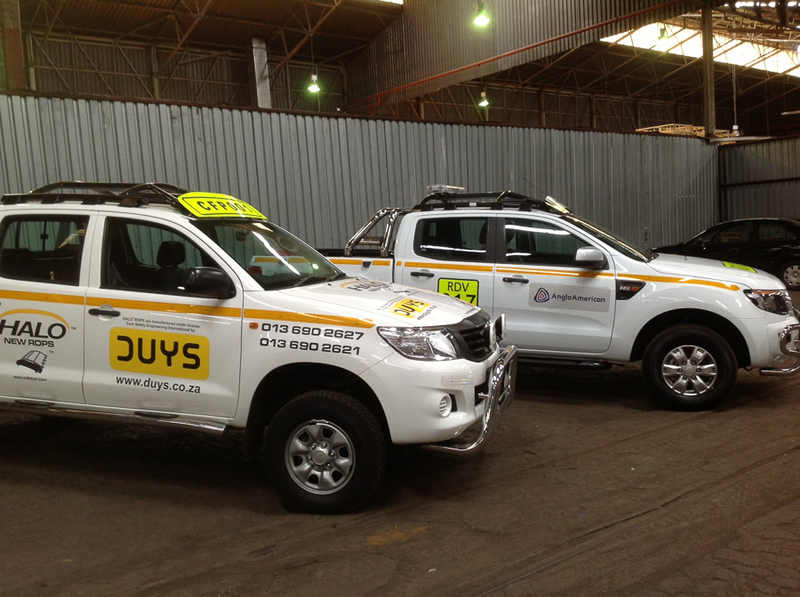 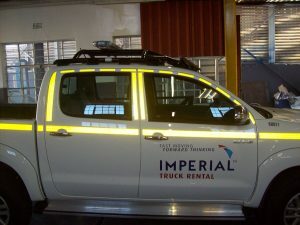 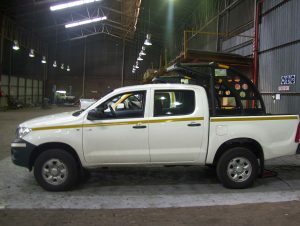 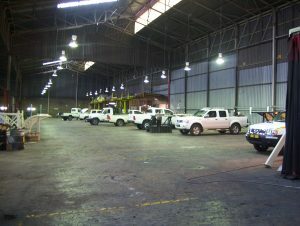 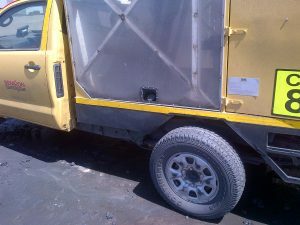 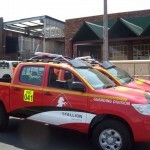 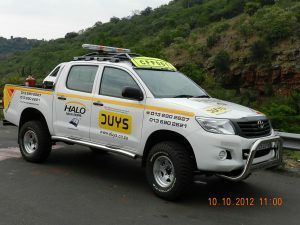 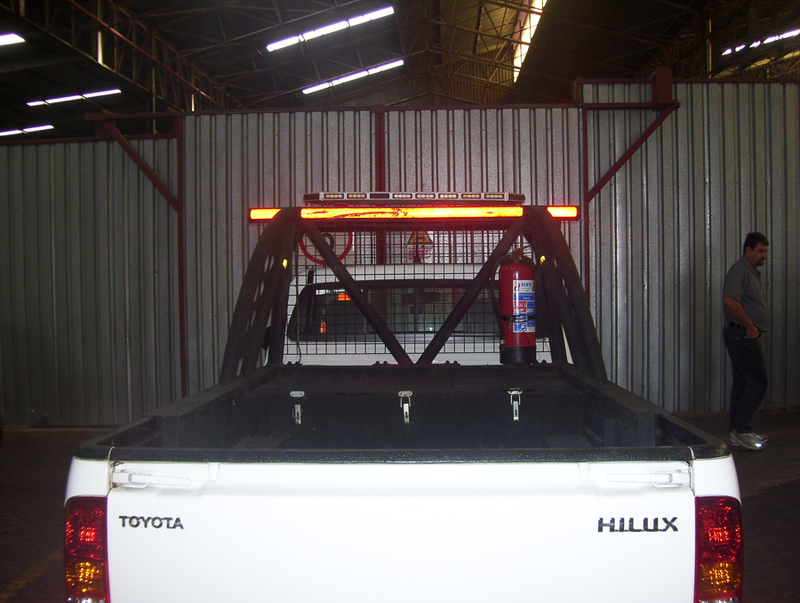 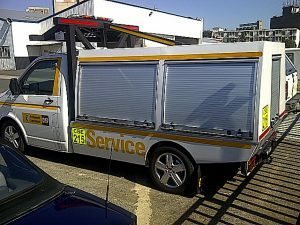 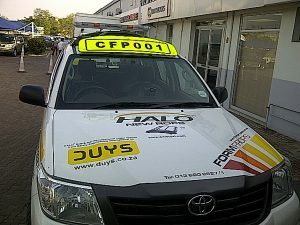 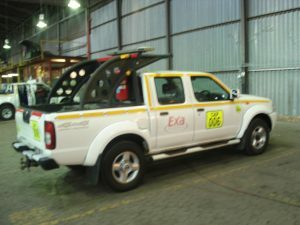 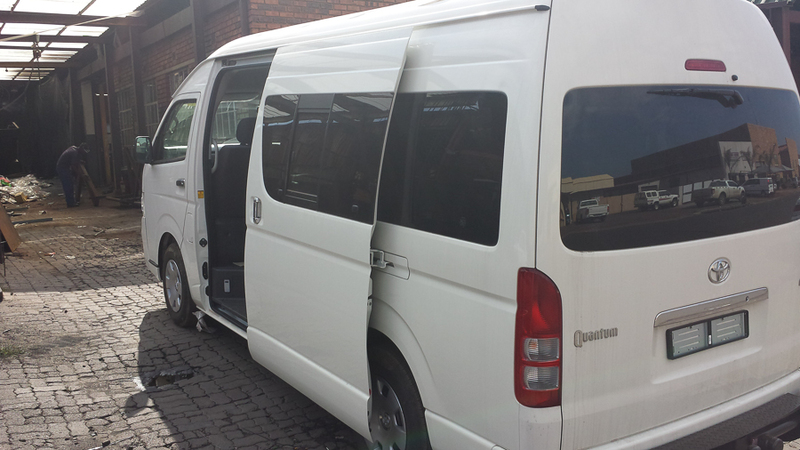 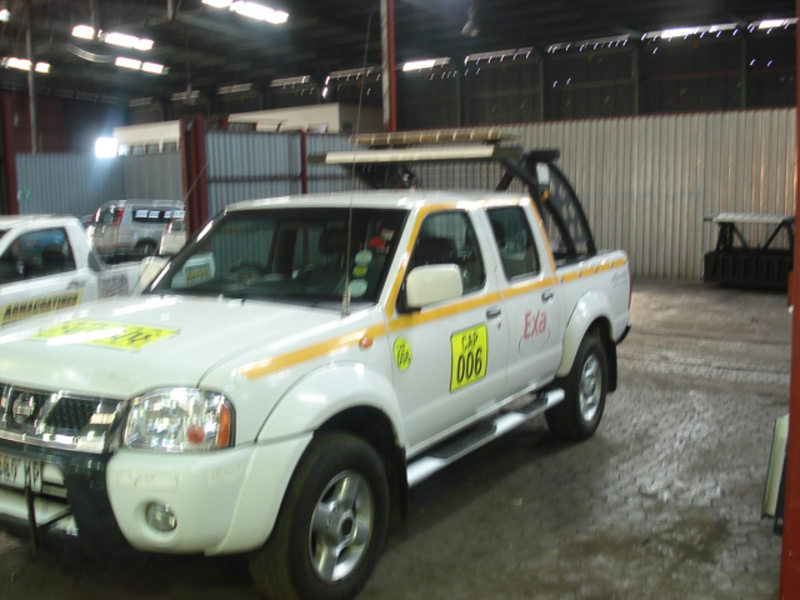 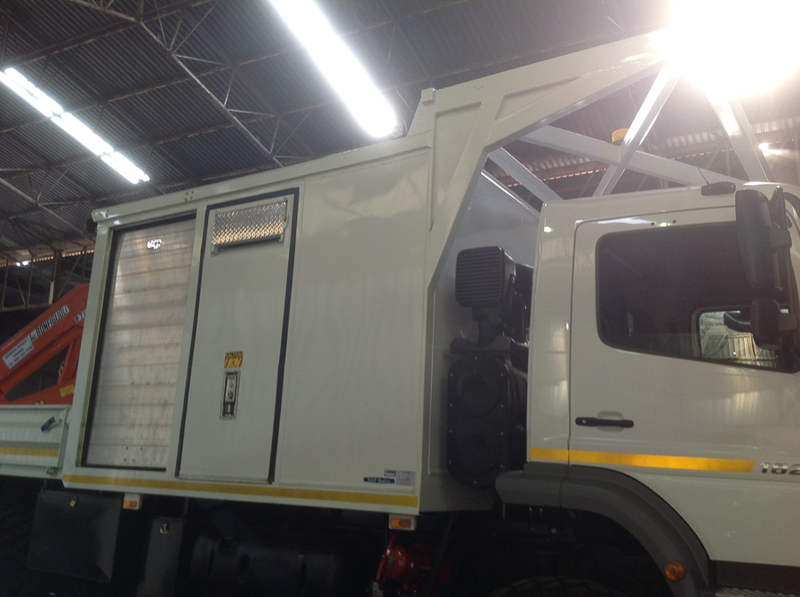 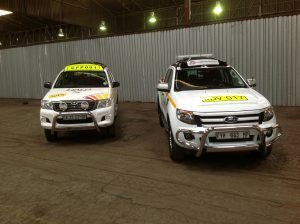 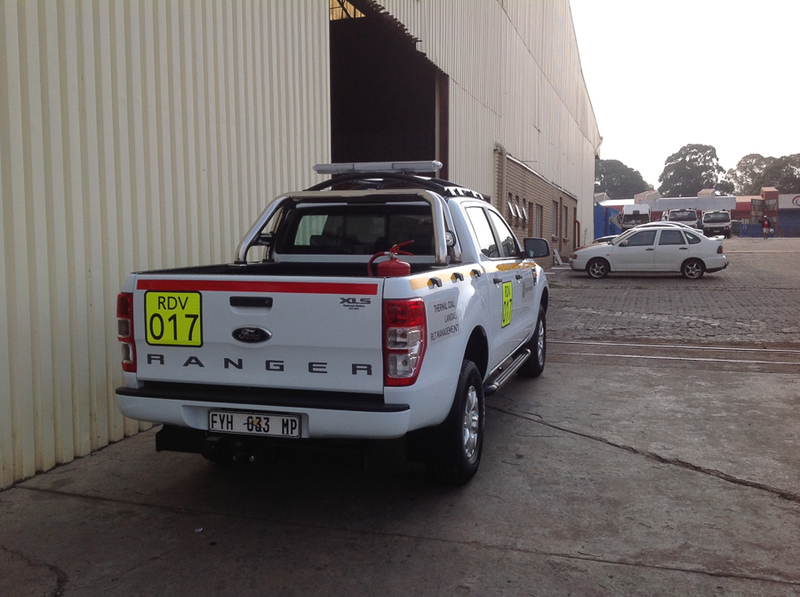 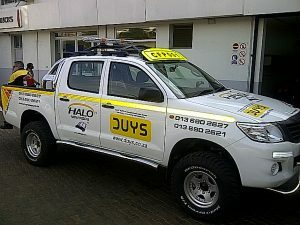 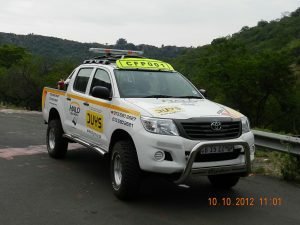 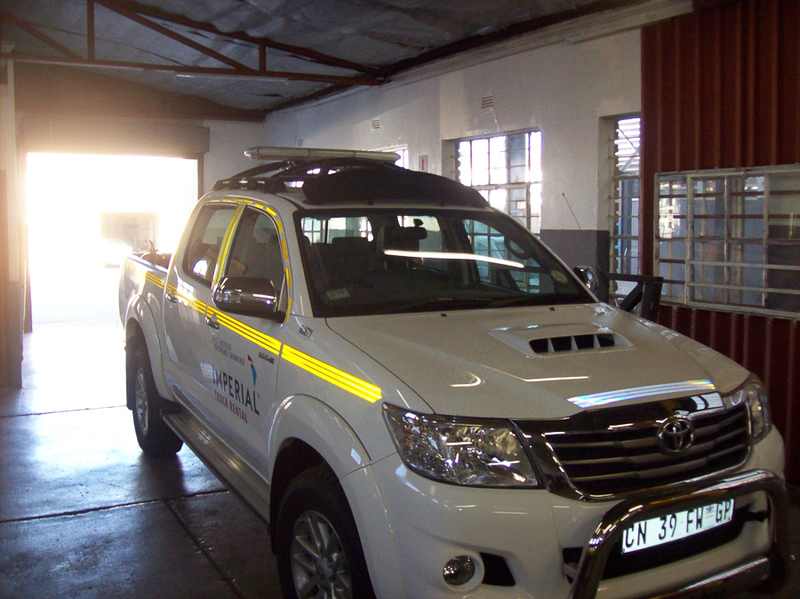 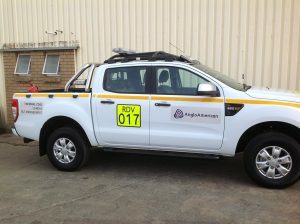 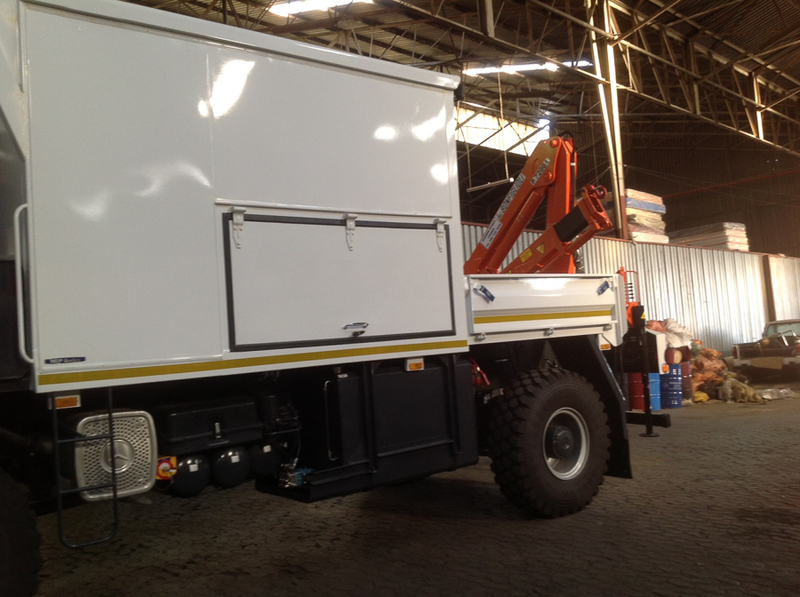 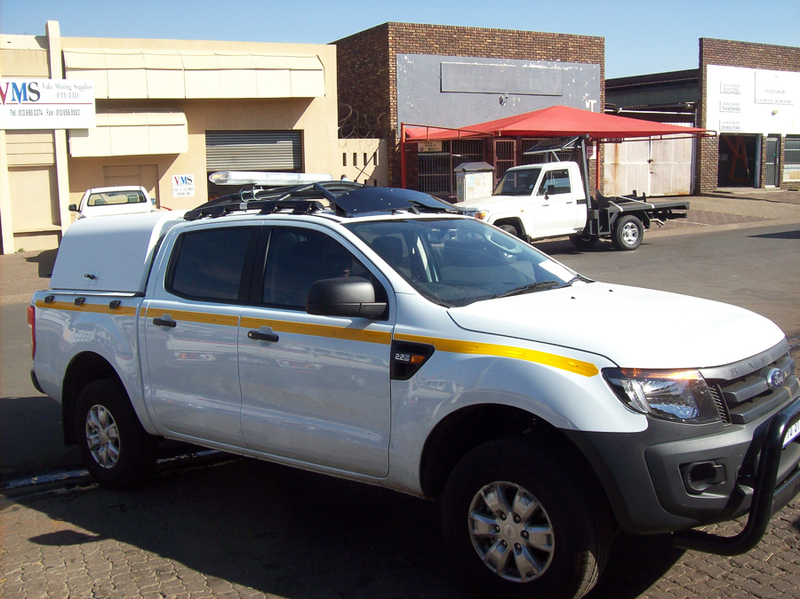 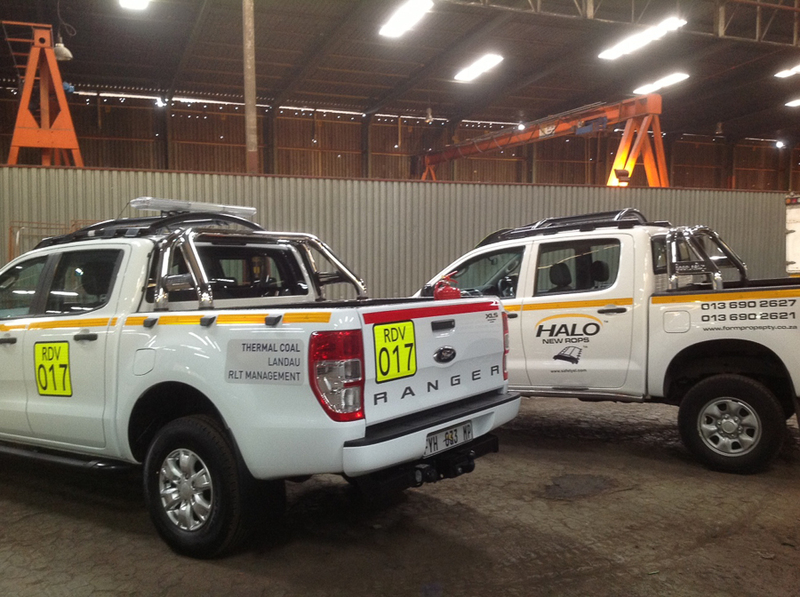 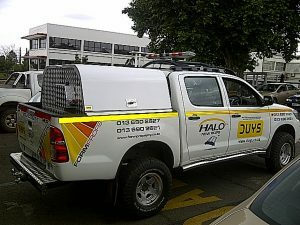 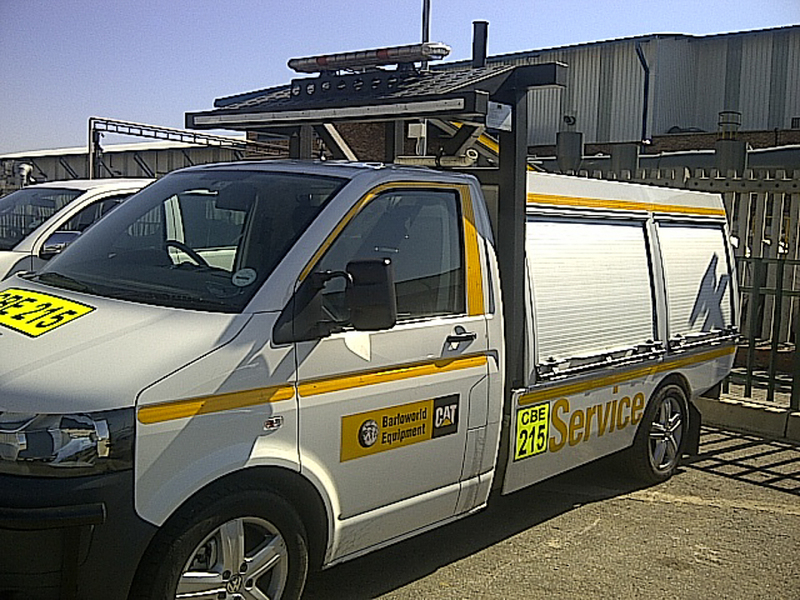 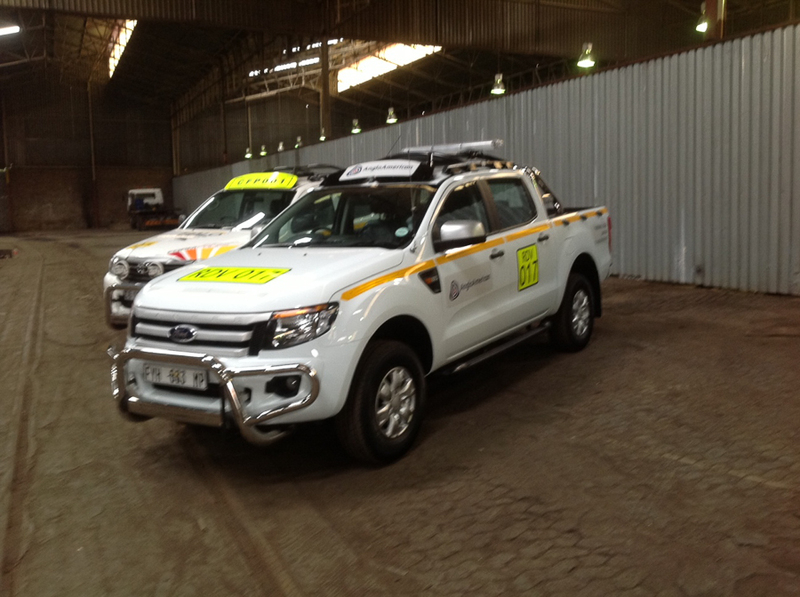 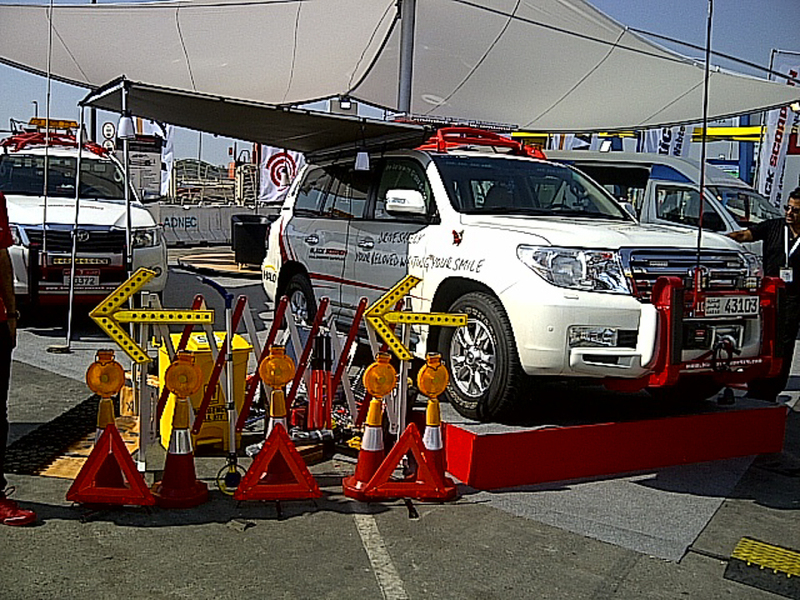 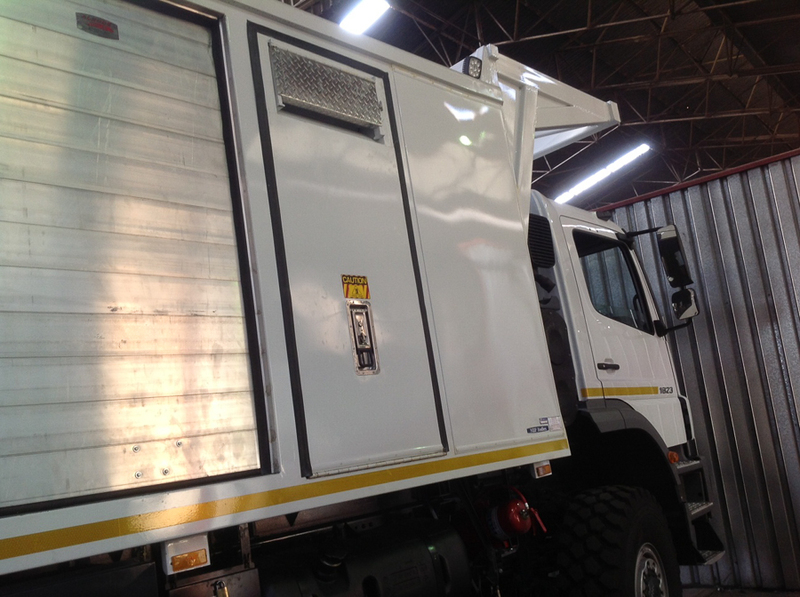 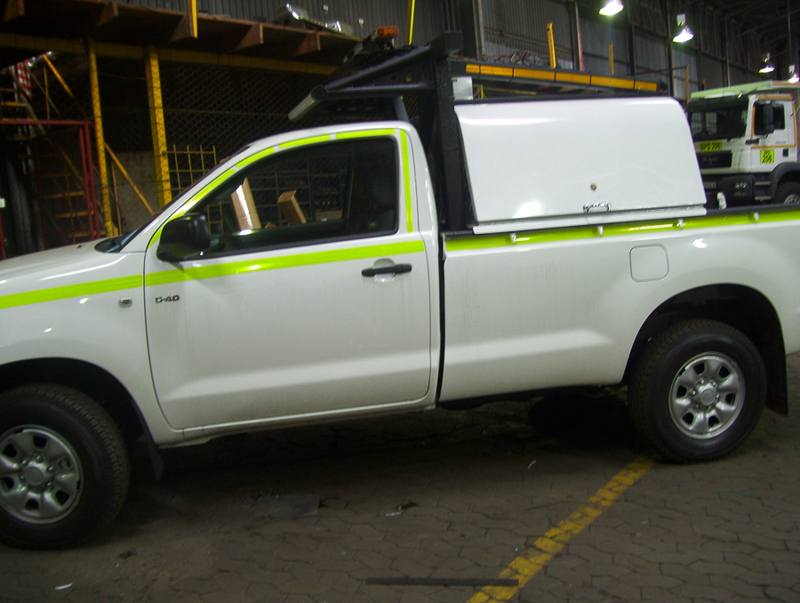 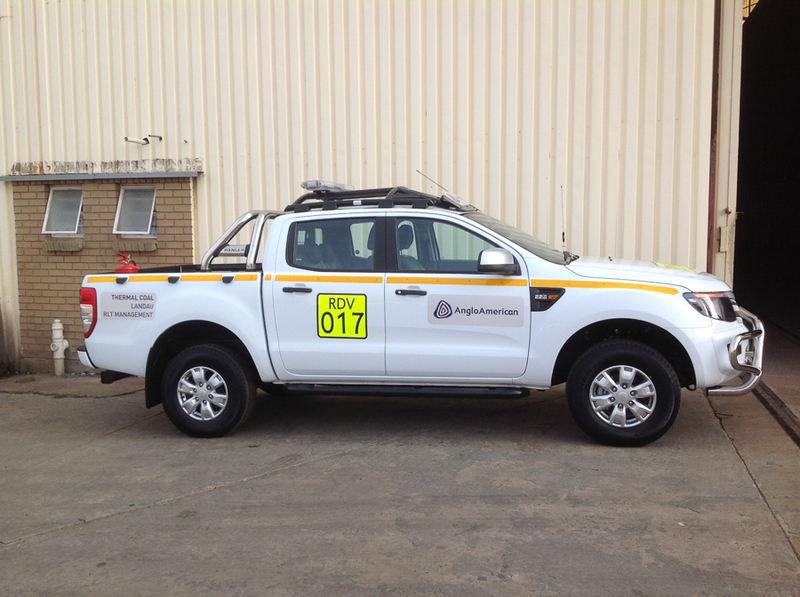 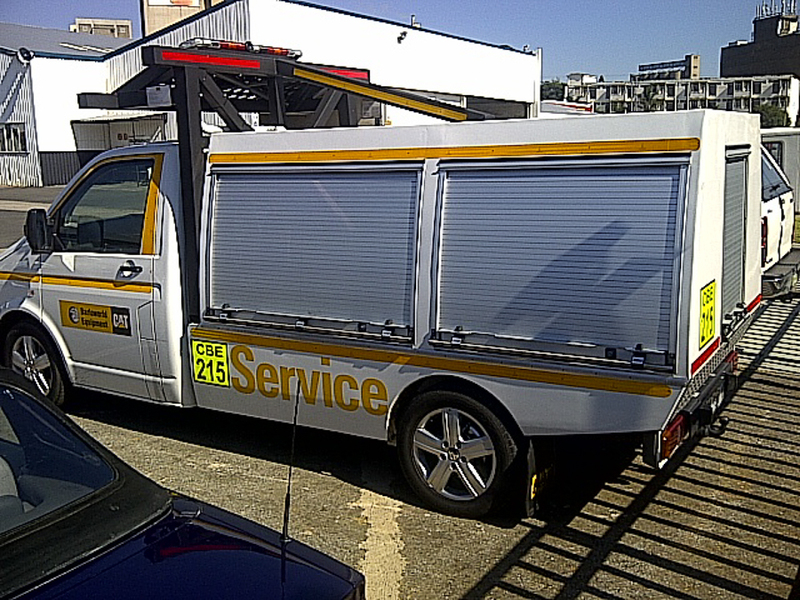 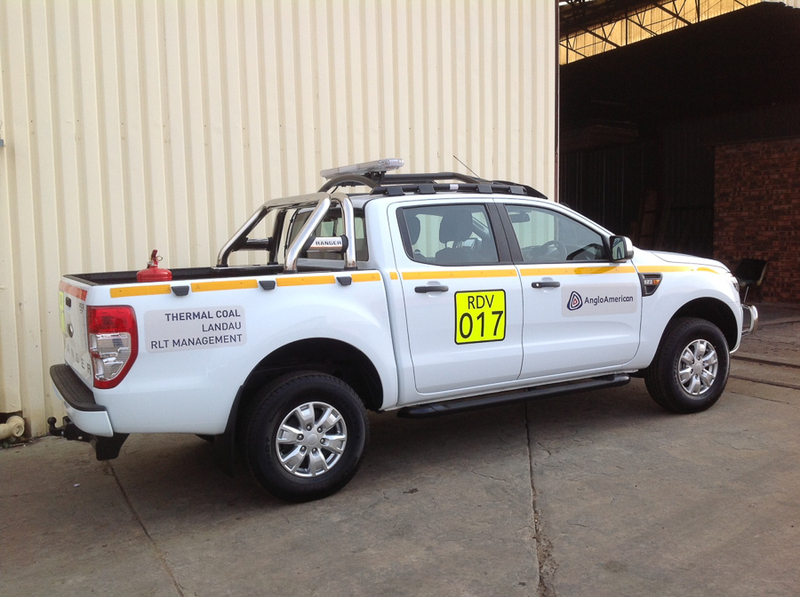 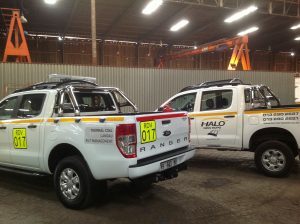 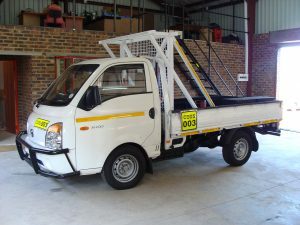 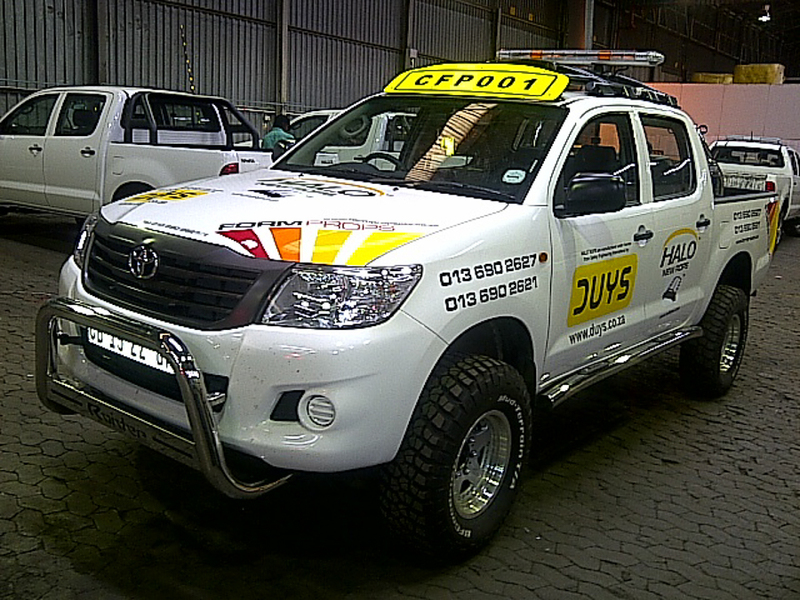 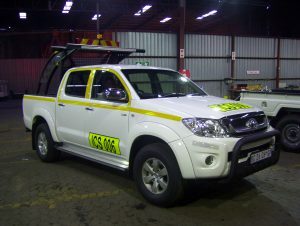 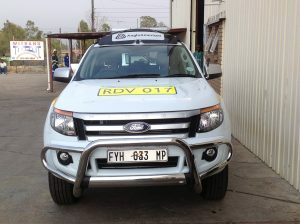 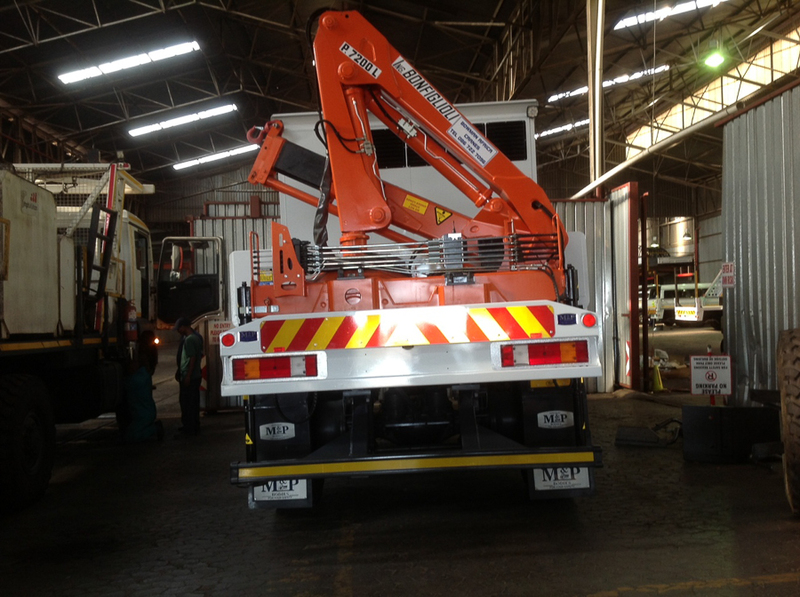 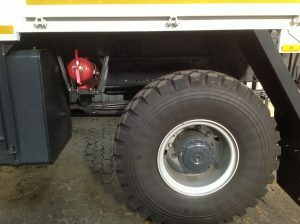 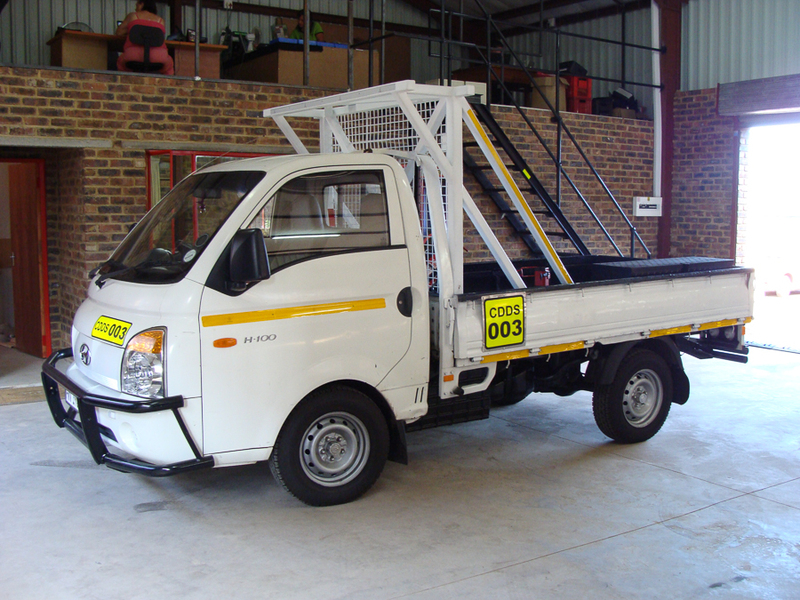 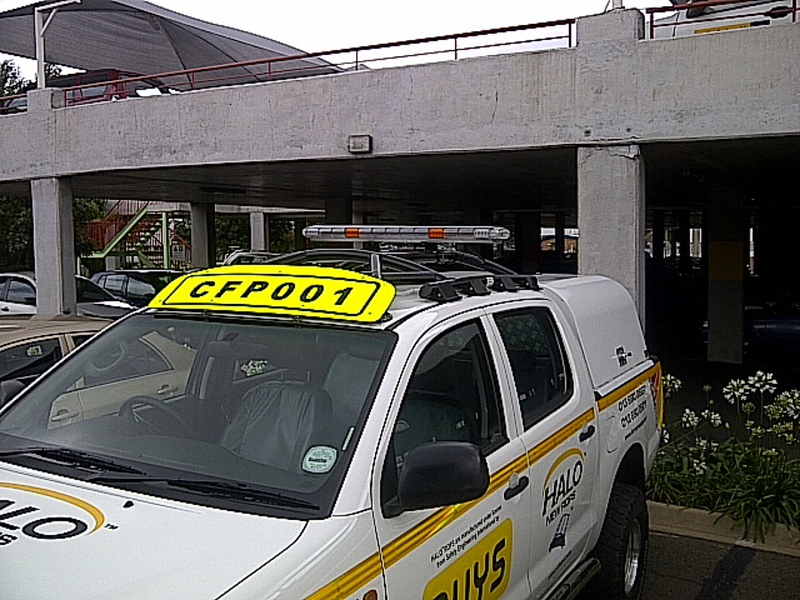 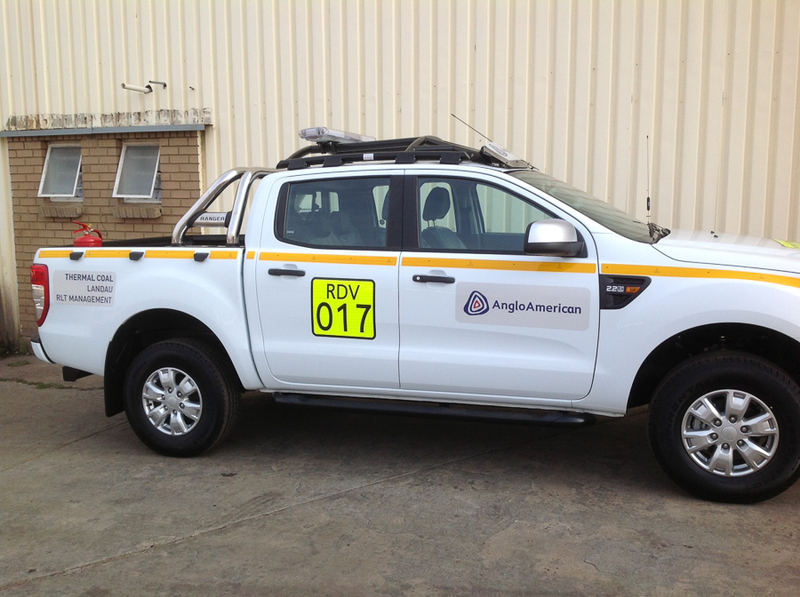 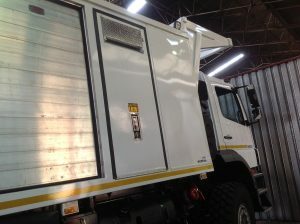 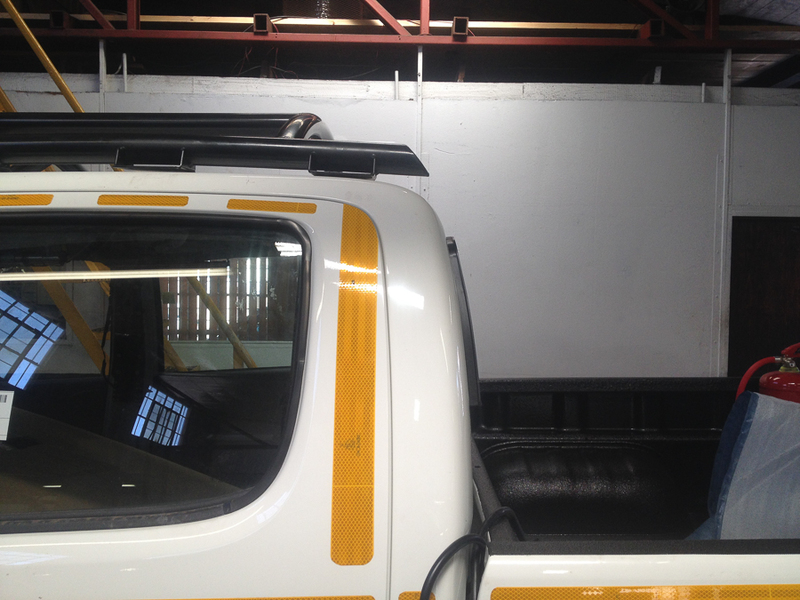 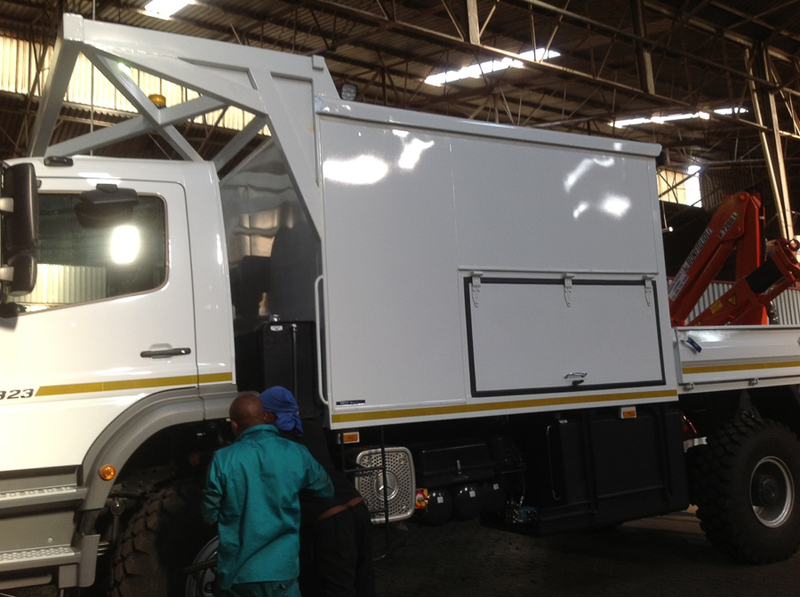 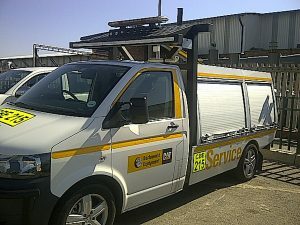 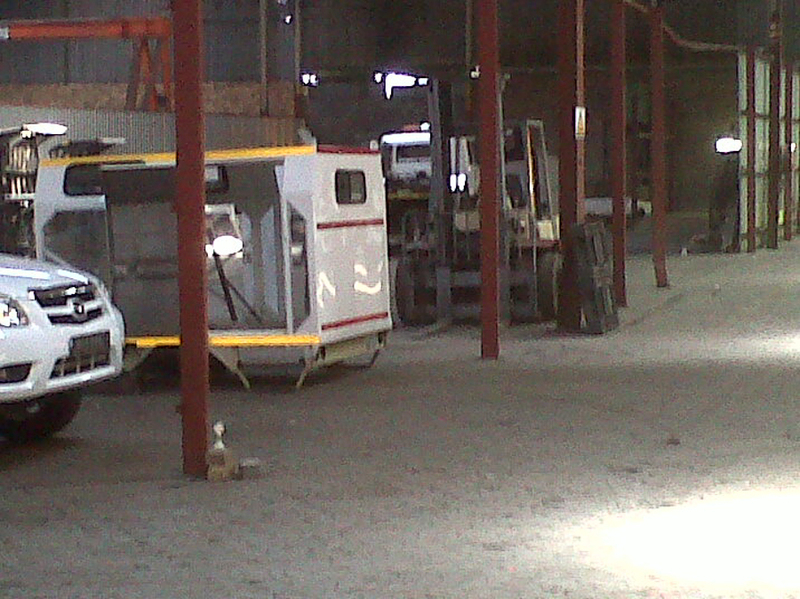 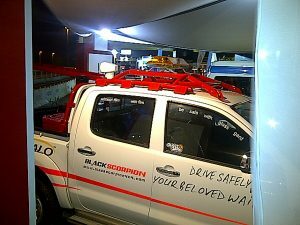 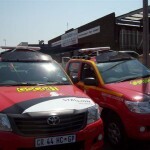 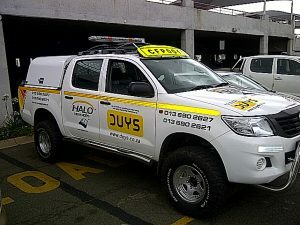 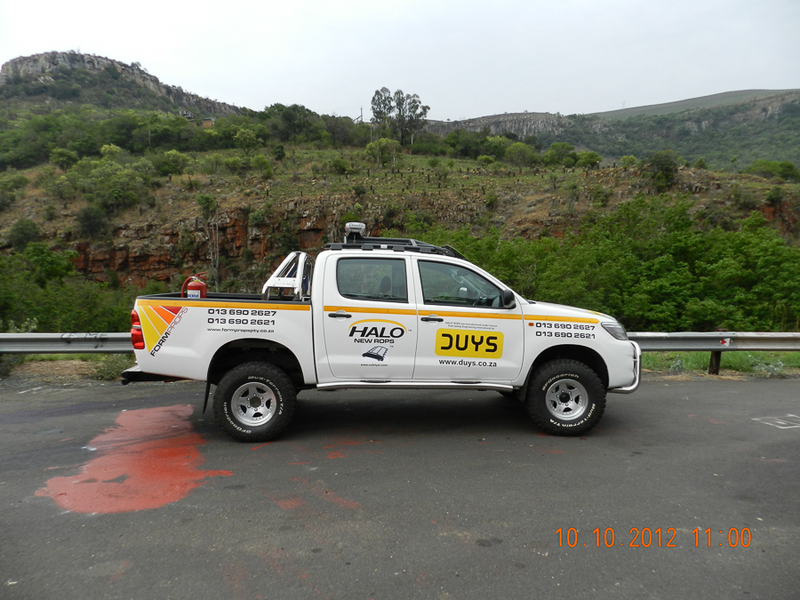 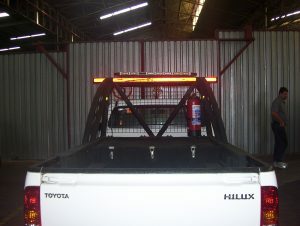 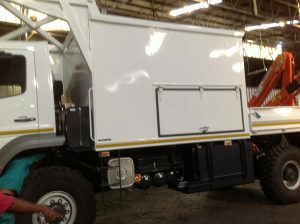 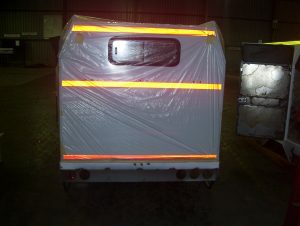 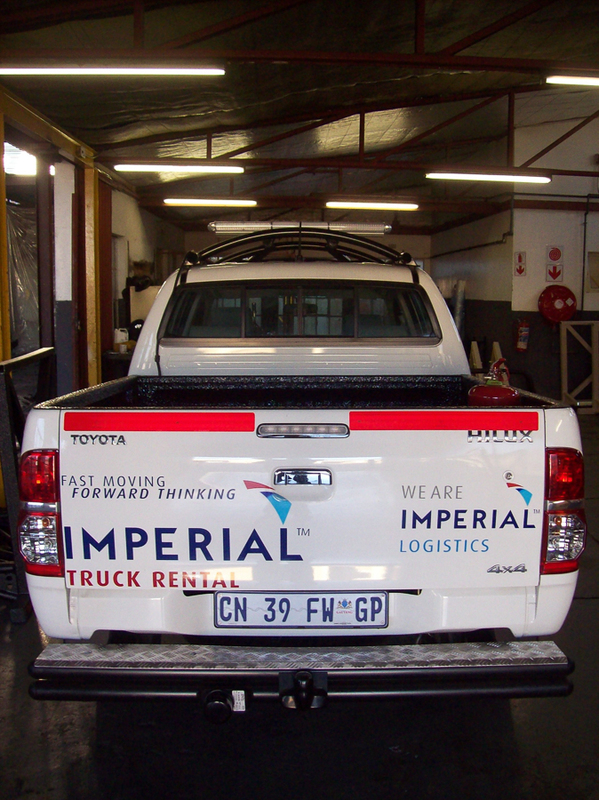 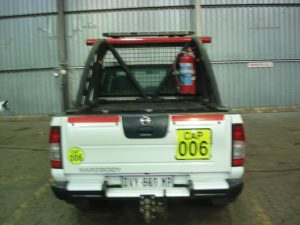 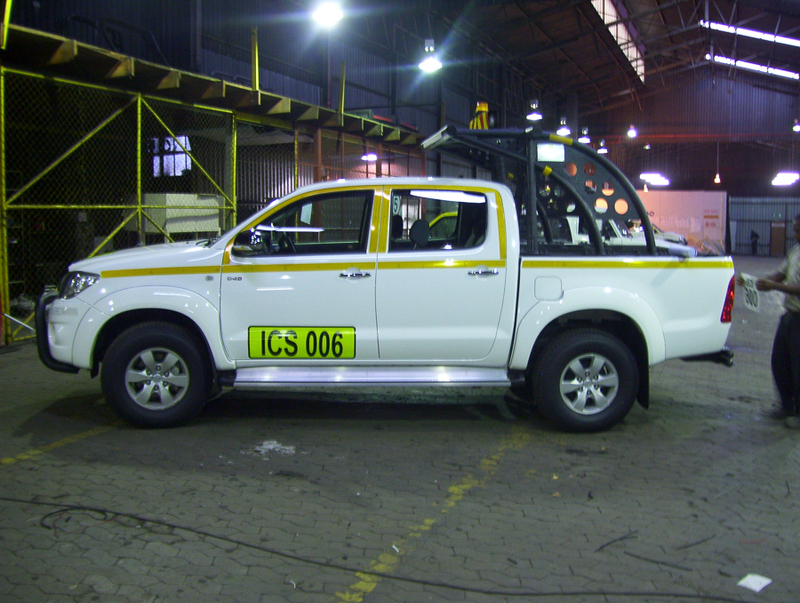 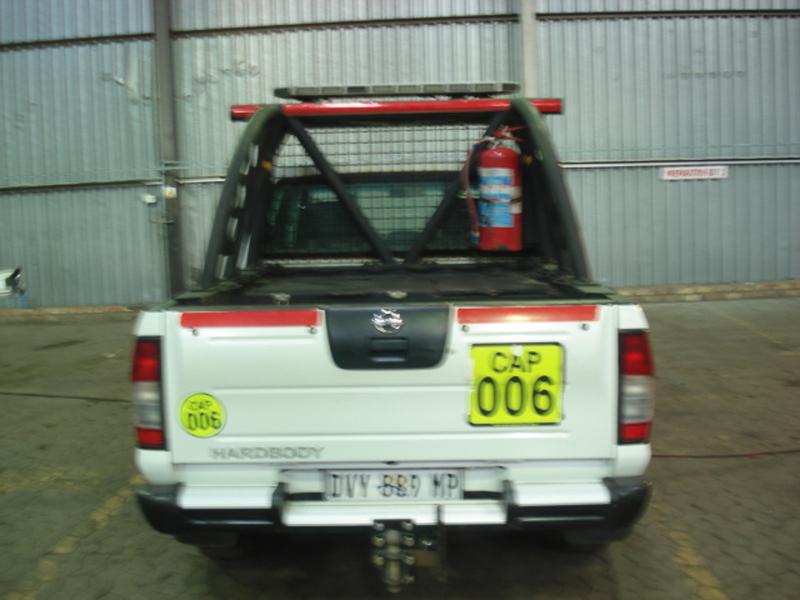 Mine Compliant vehicles are available for long and short term rental. 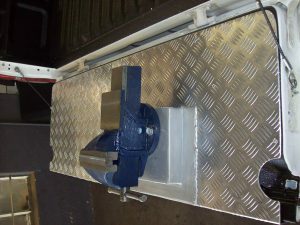 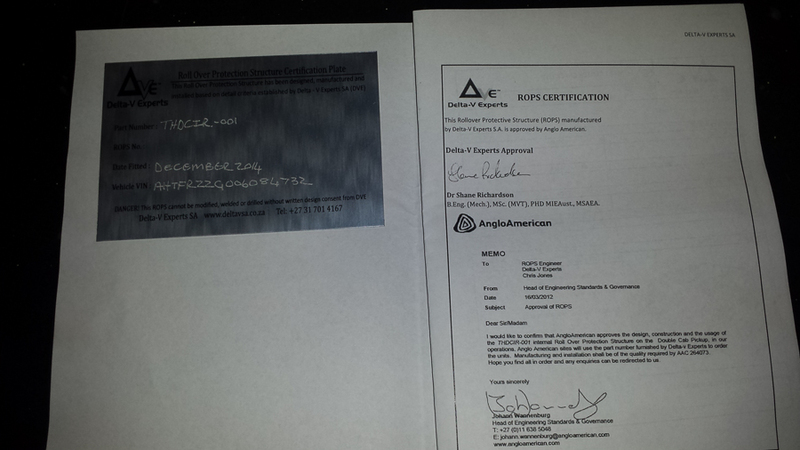 Formprops offers competitive rates and long term contracts are available. 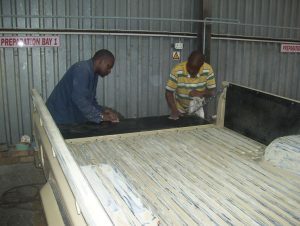 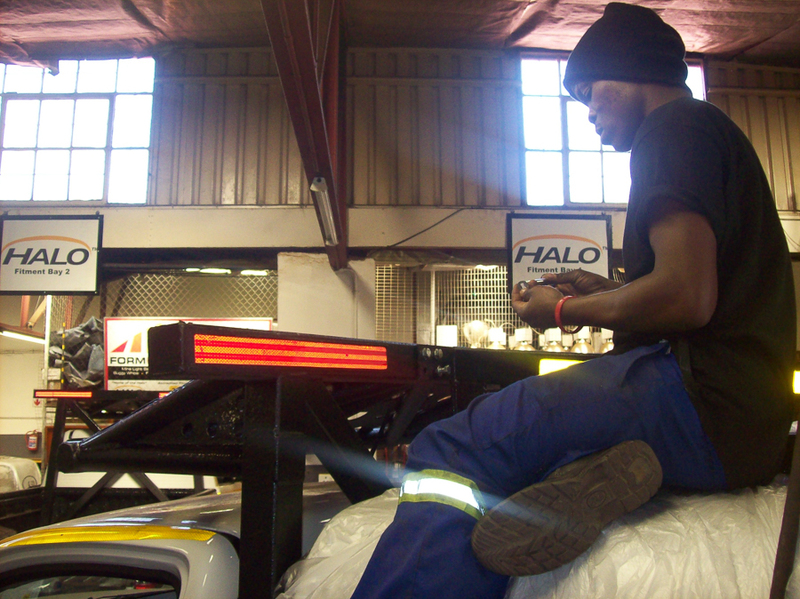 Our aim is to provide skills development, create labour opportunities and provide a quality and reliable service. 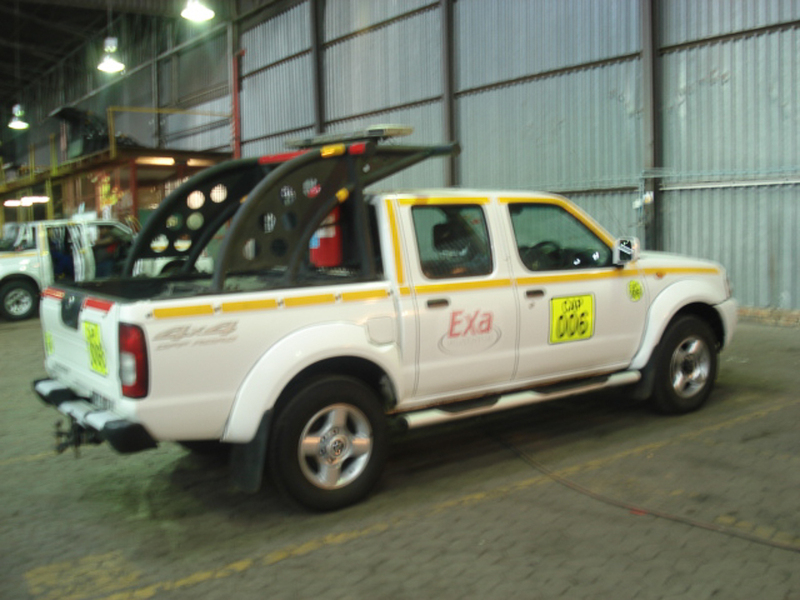 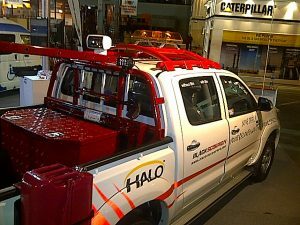 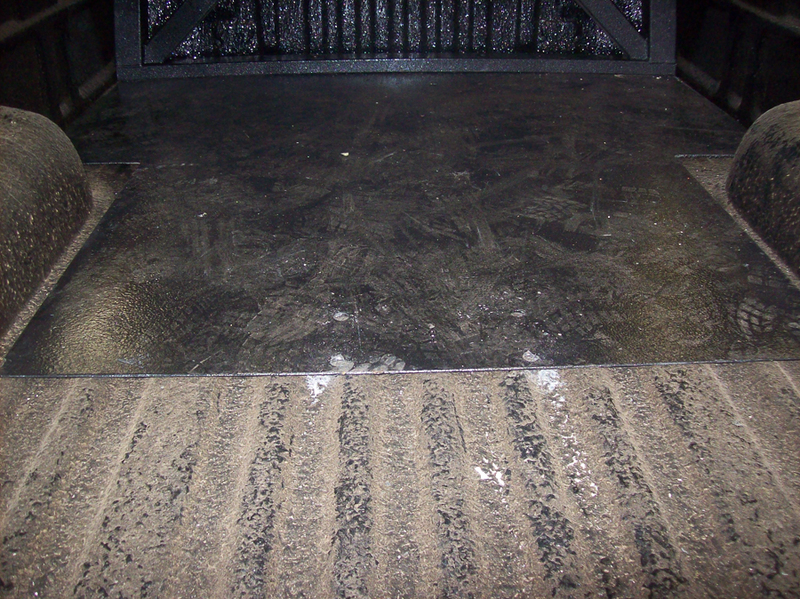 The potential for vehicle roll over and associated risks within the mining and heavy industry sectors is very real. 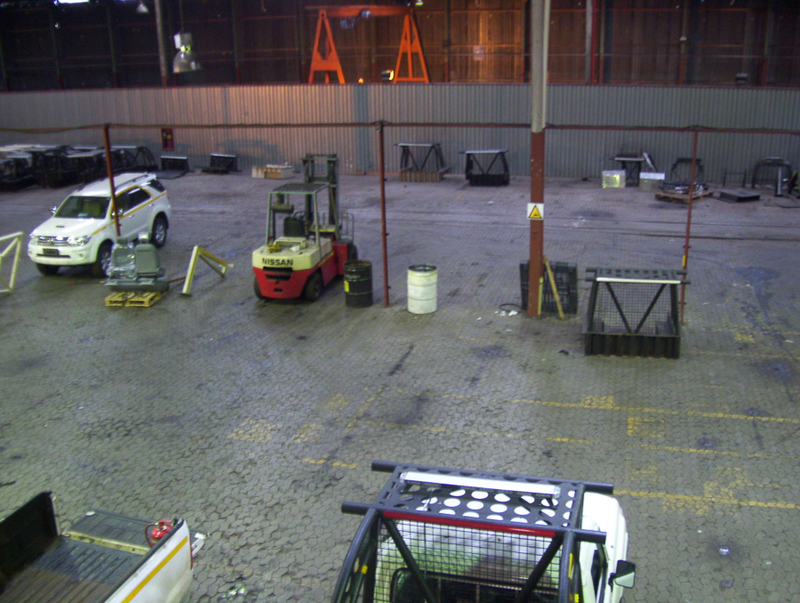 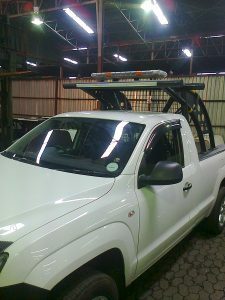 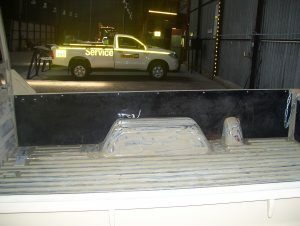 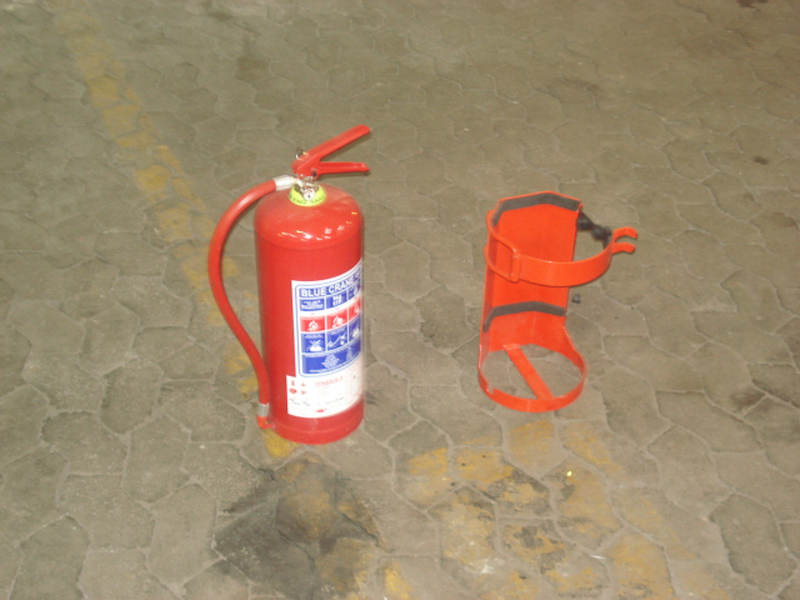 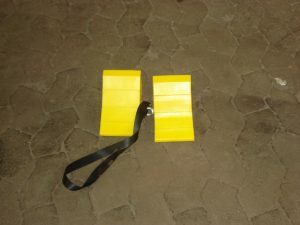 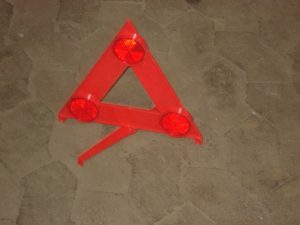 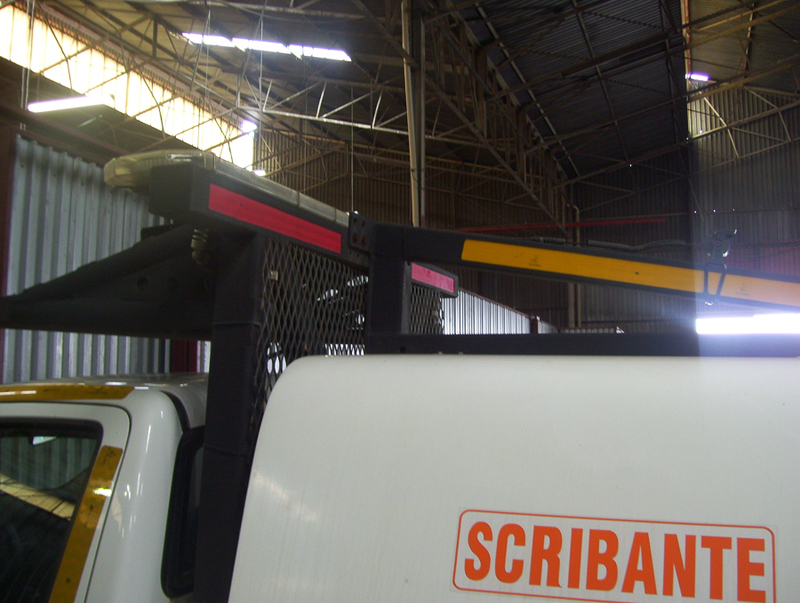 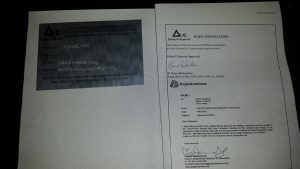 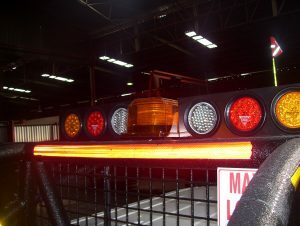 A ROPS is no different to any other piece of safety equipment in that it is an investment in life and asset protection. 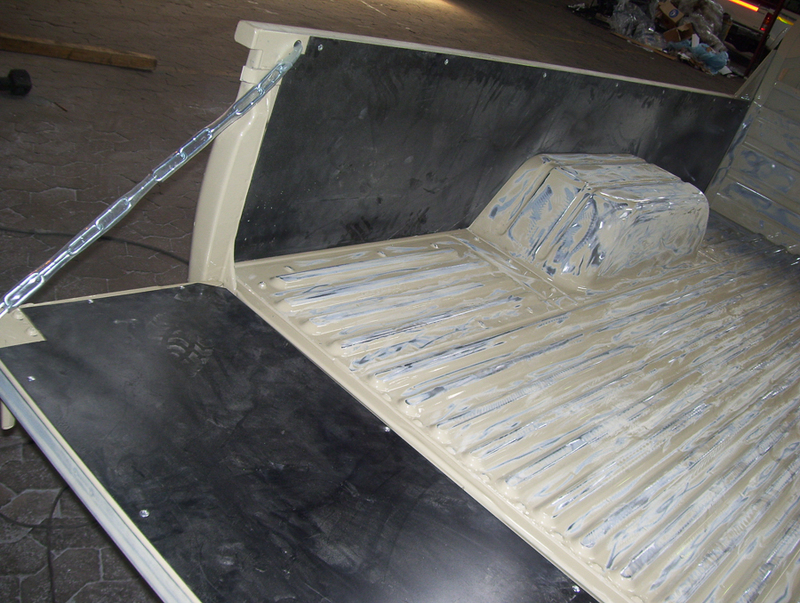 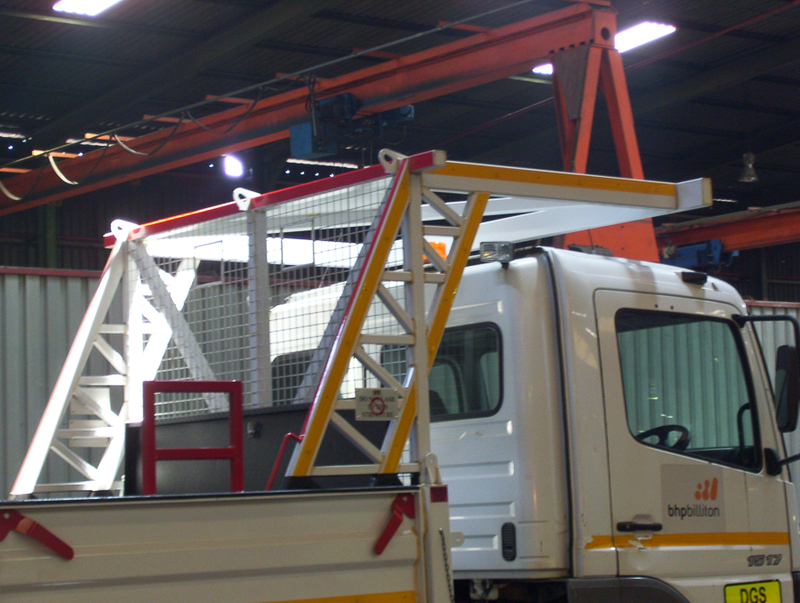 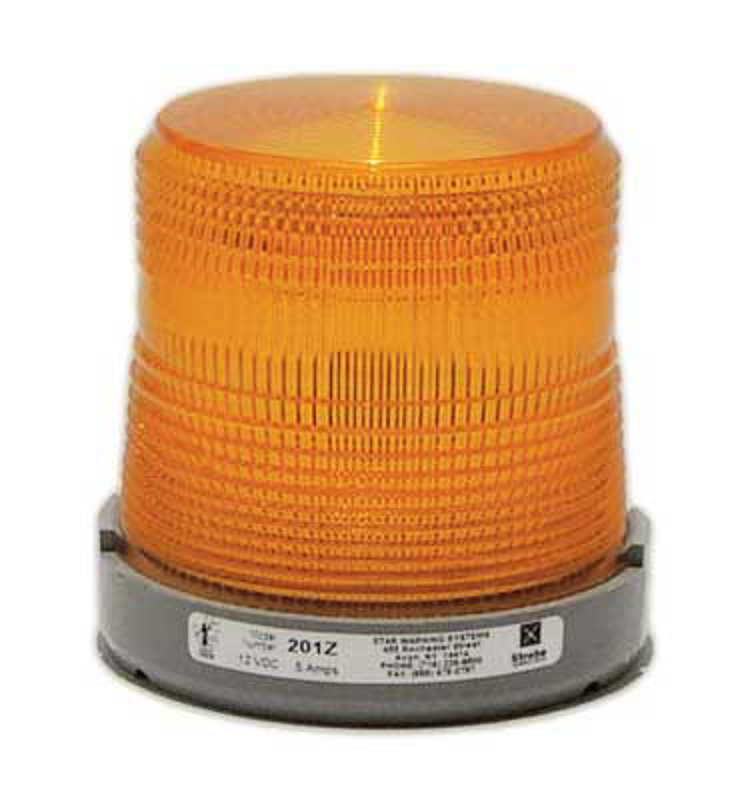 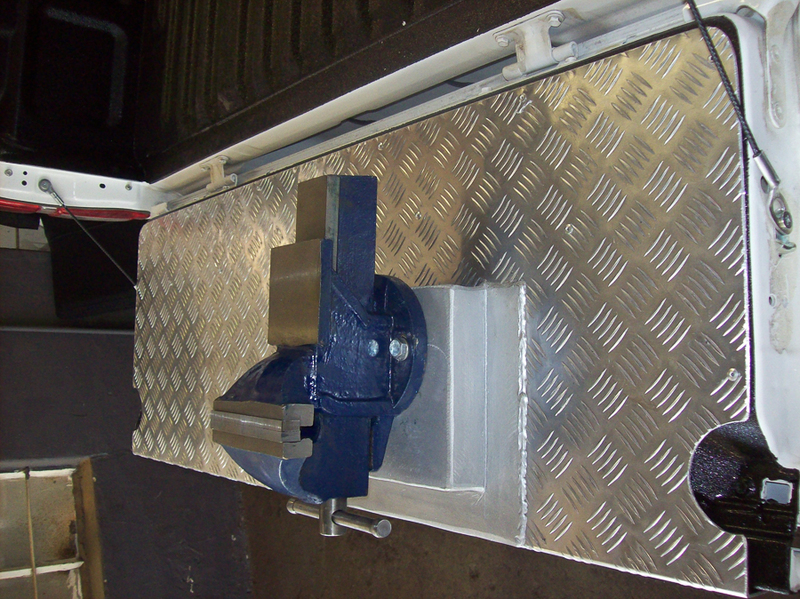 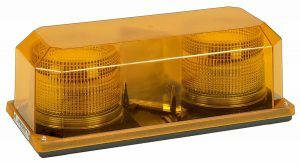 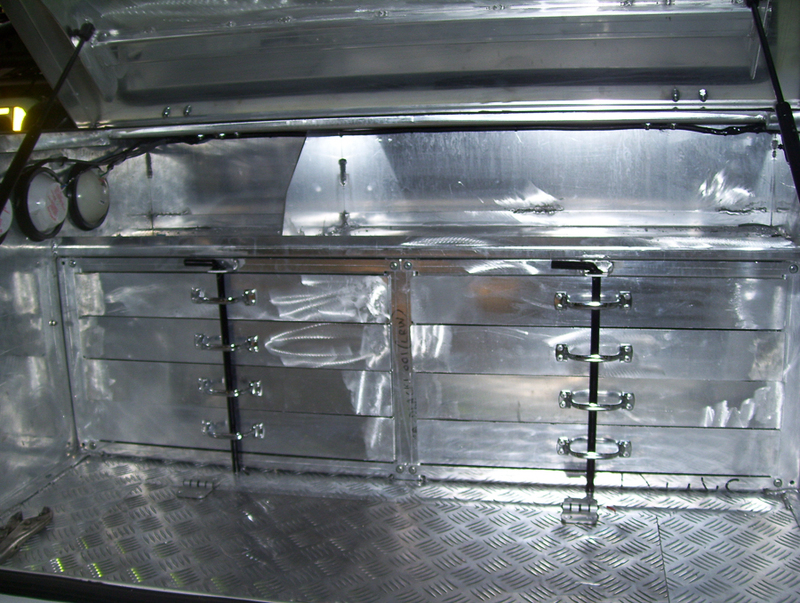 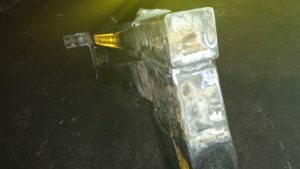 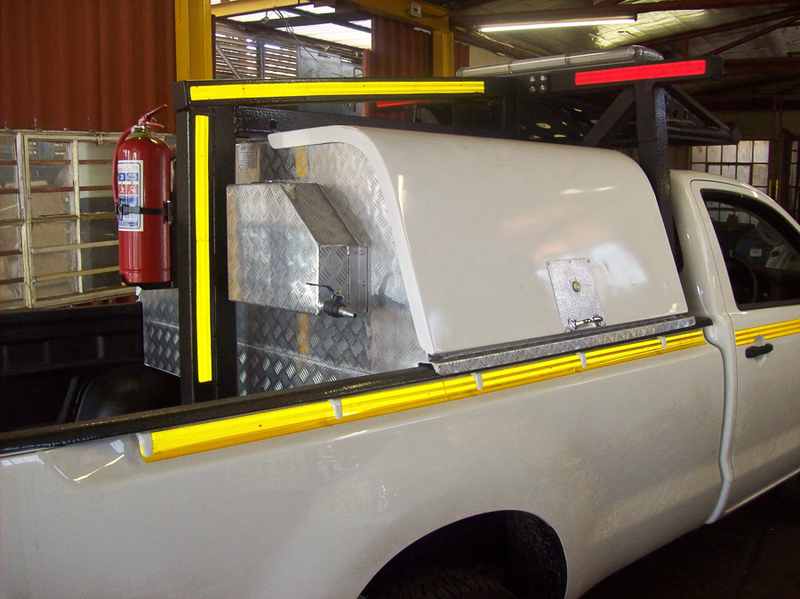 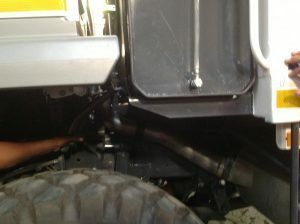 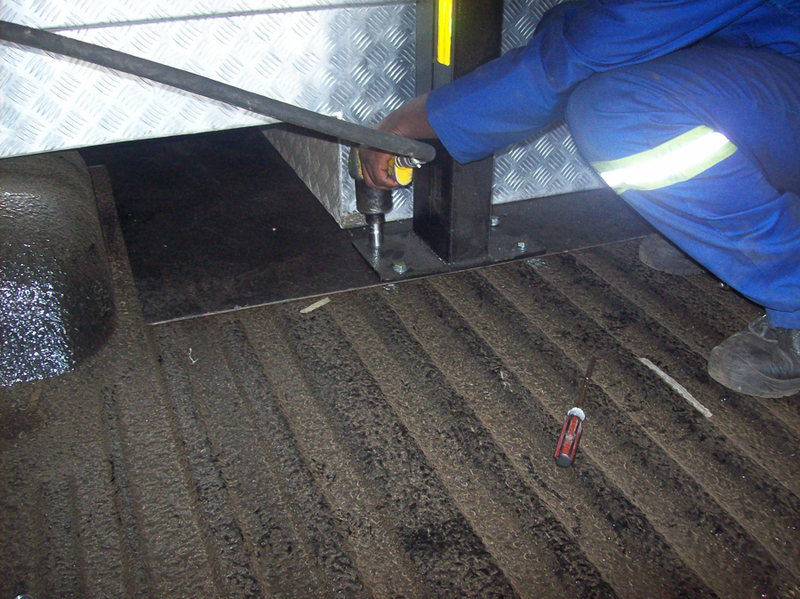 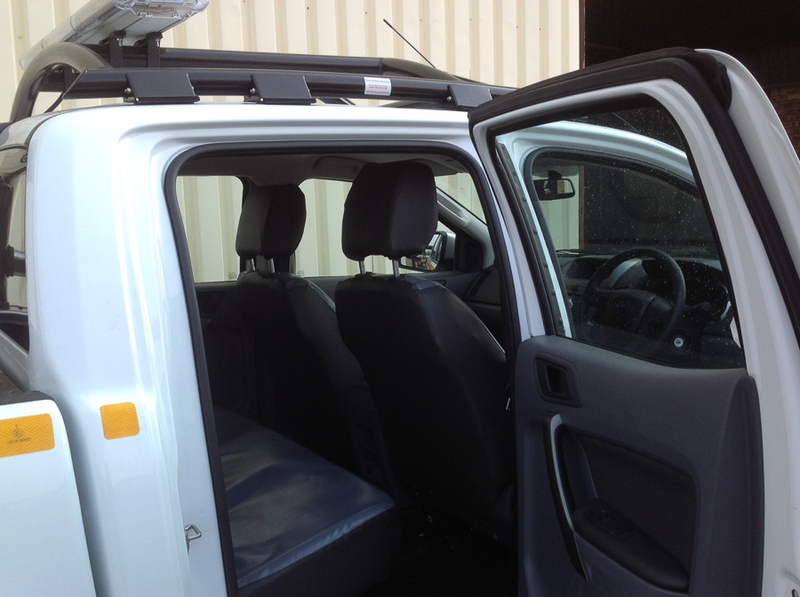 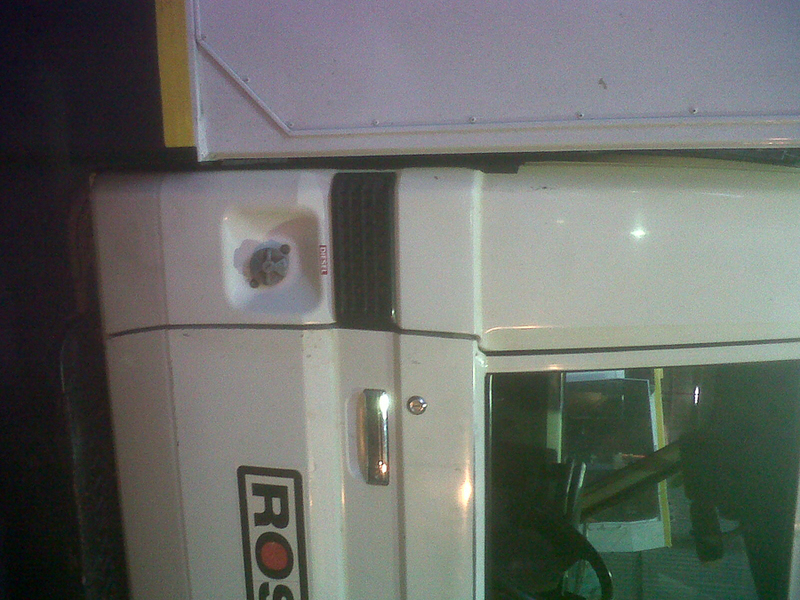 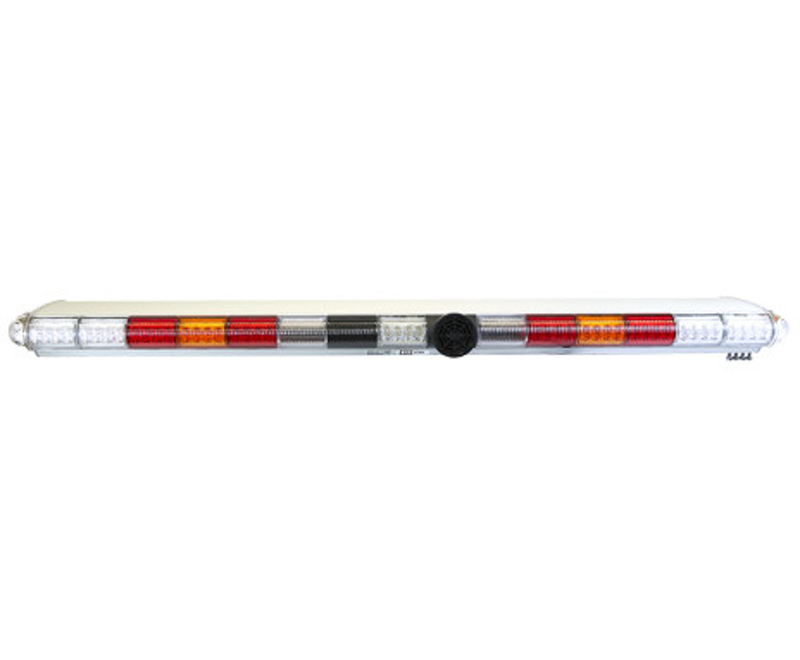 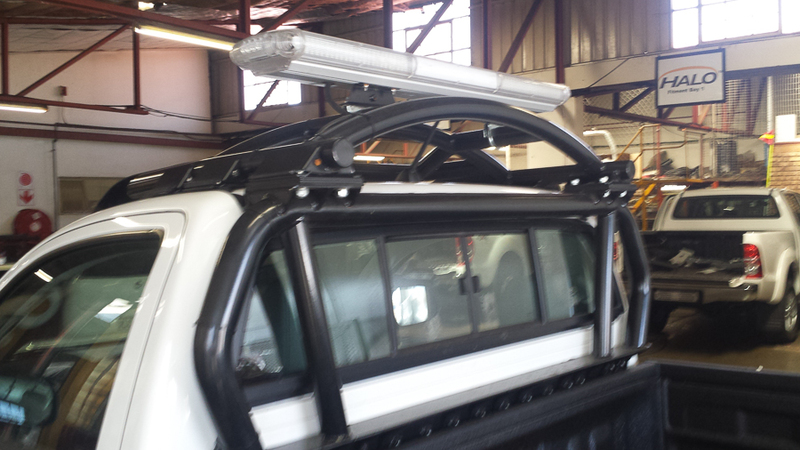 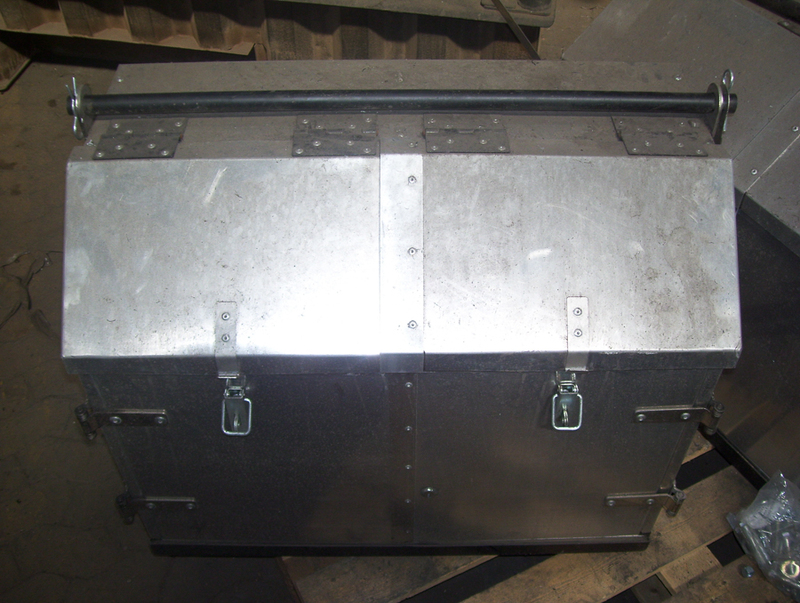 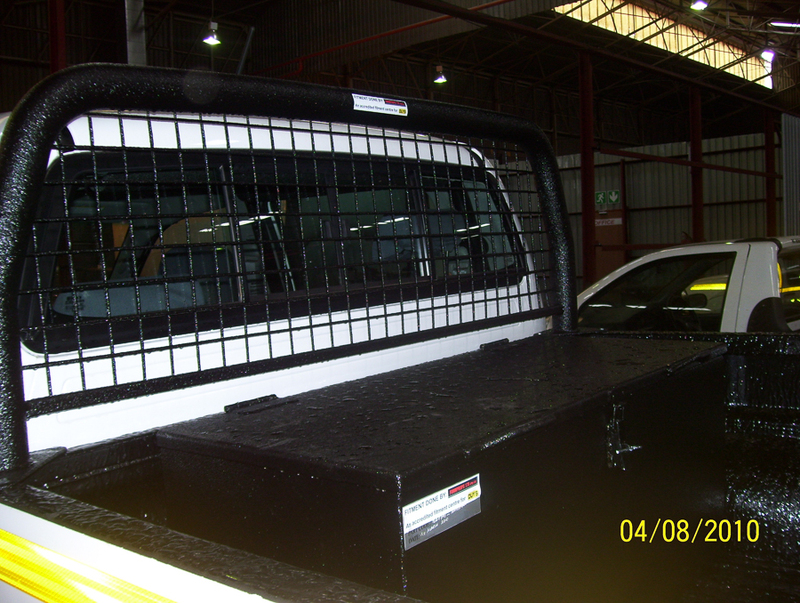 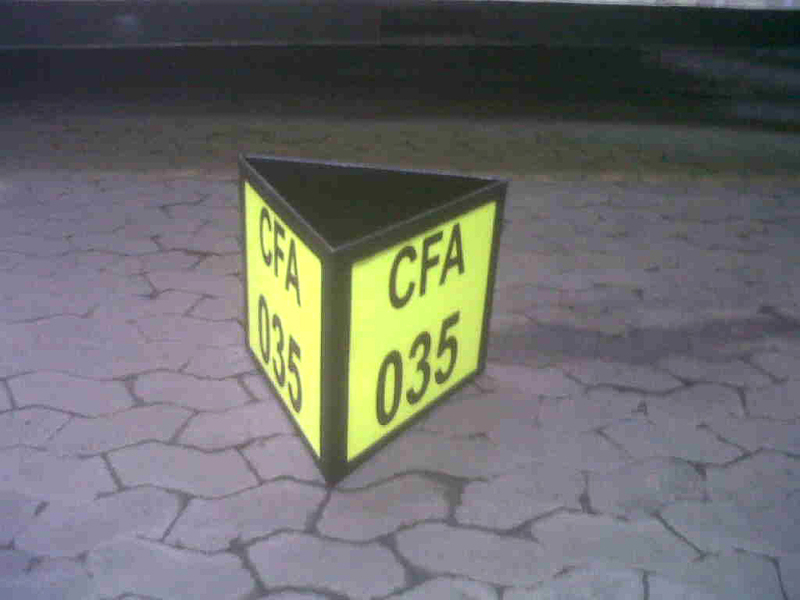 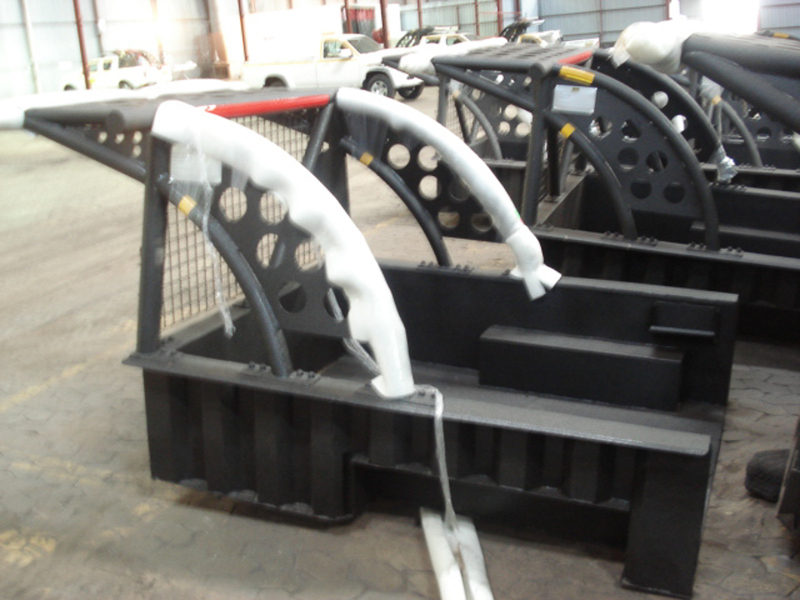 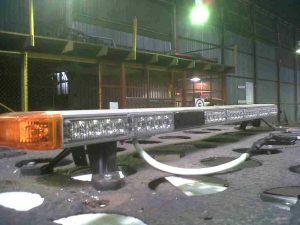 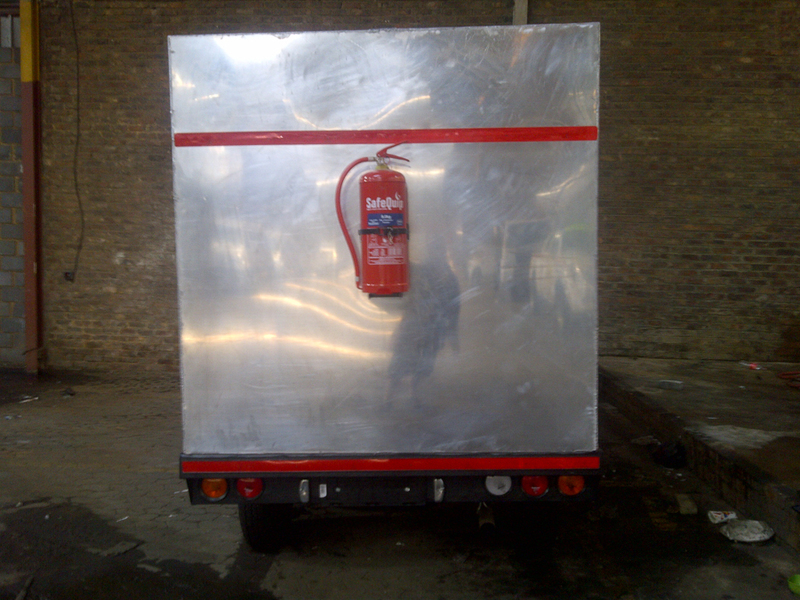 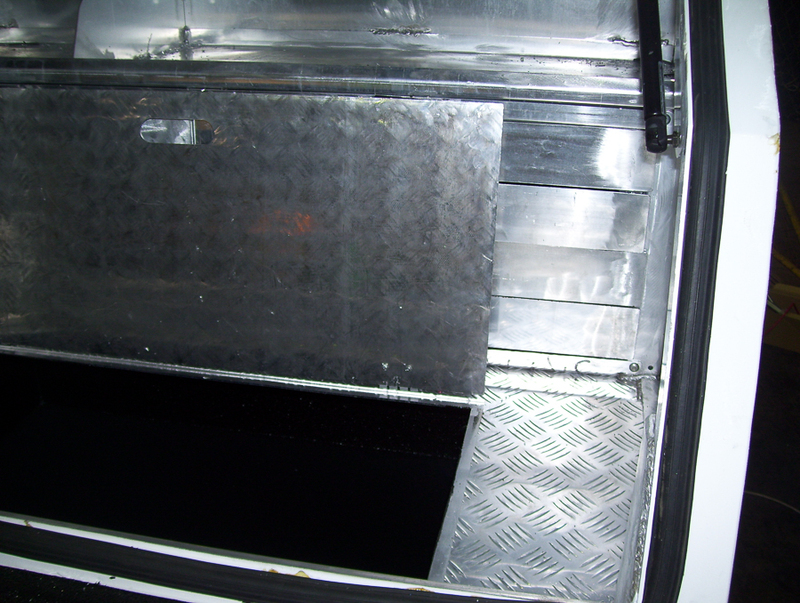 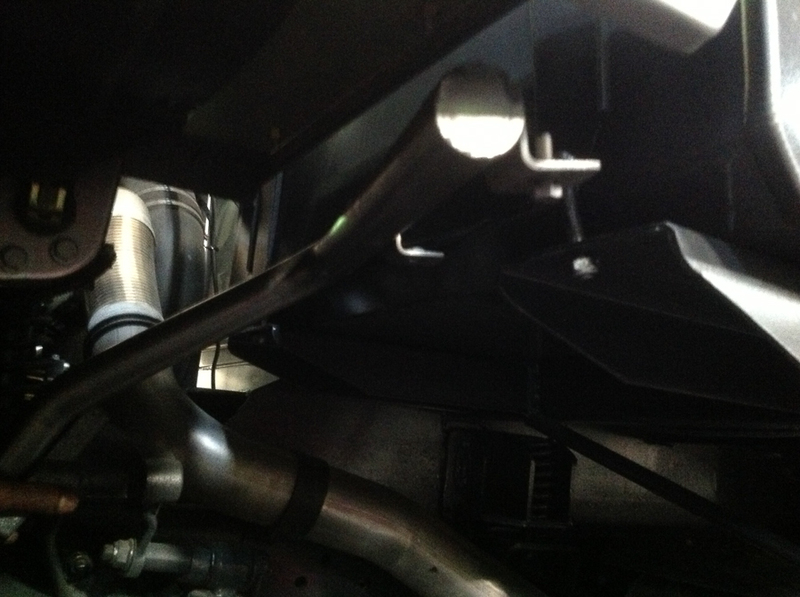 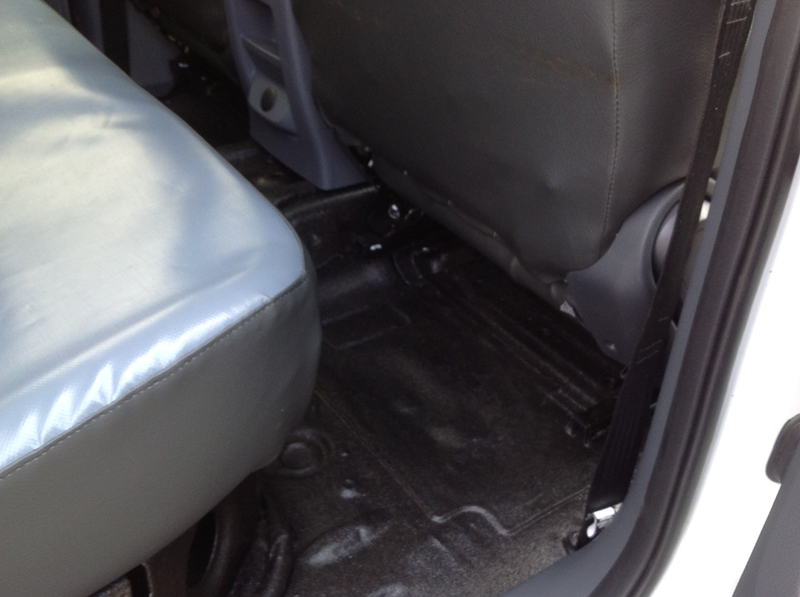 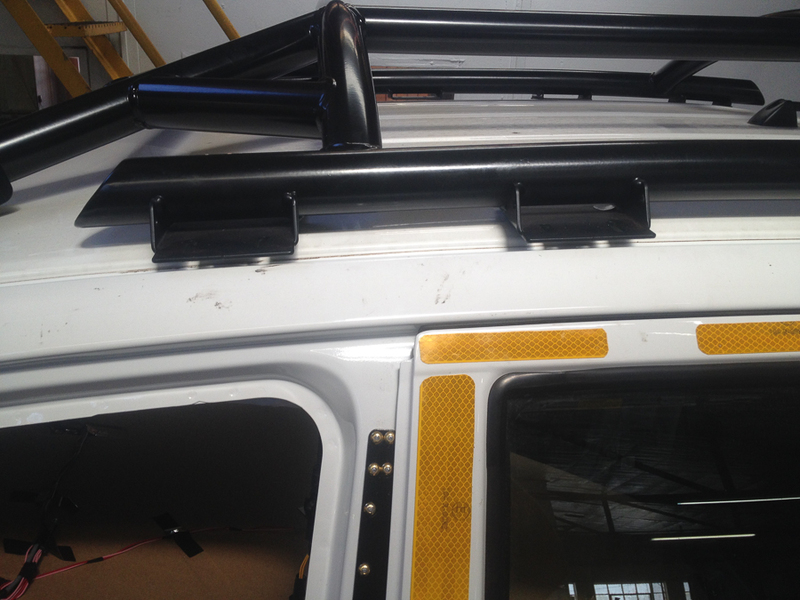 FORMPROPS provides leading safety improvements for any vehicle working within the mining or heavy industry sector. Protection of operators is an important aspect of any site and increasingly ROPS are being viewed as essential components of responsible and prepared operations. 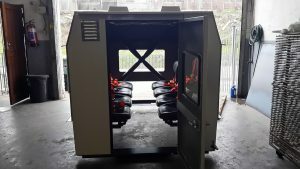 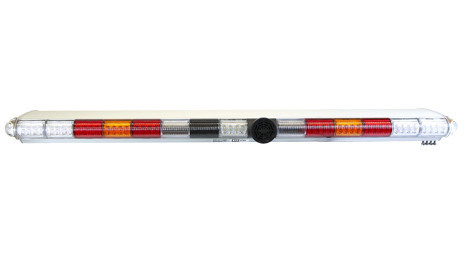 View our photographs below by clicking through the gallery or you can view our range of testing videos by clicking here.